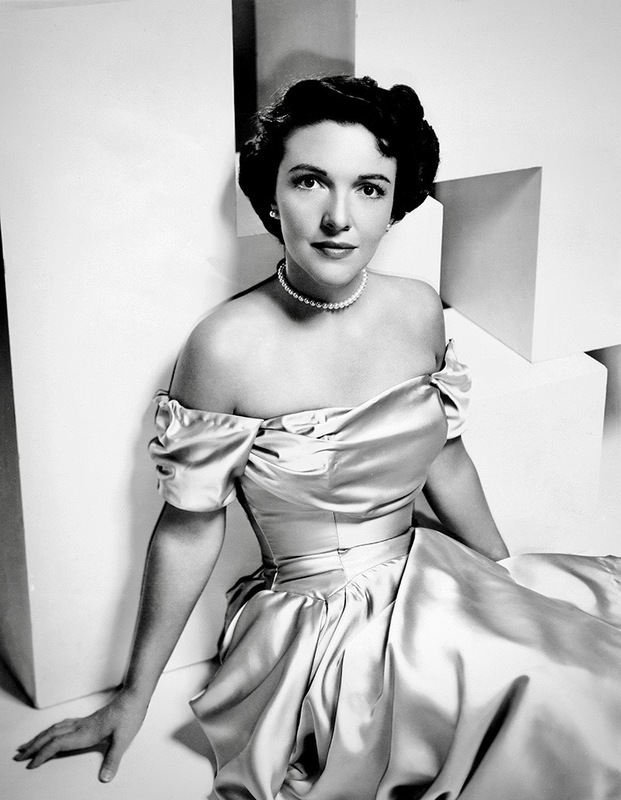 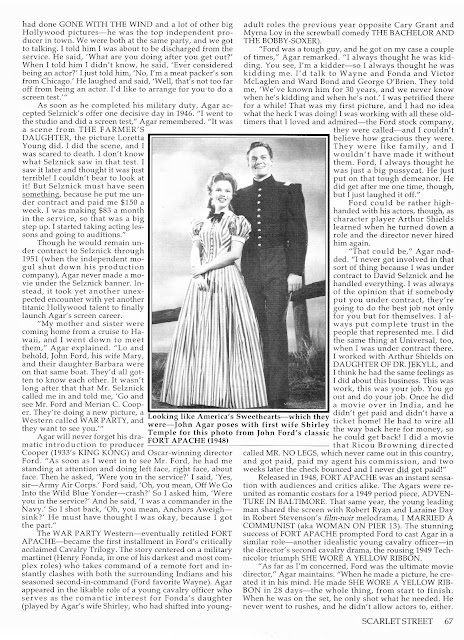 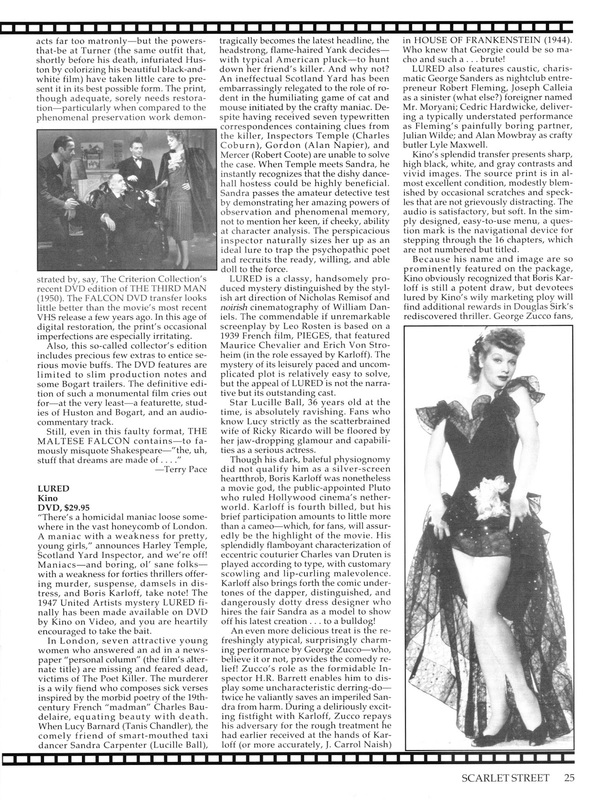 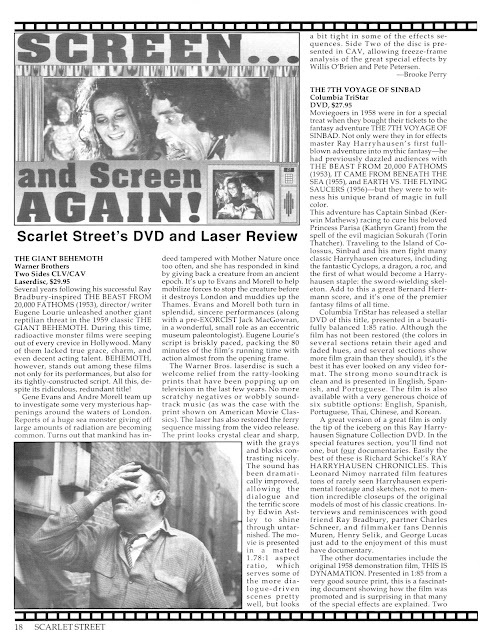 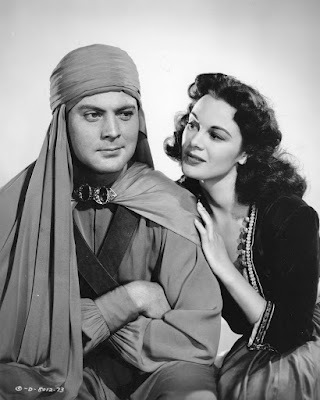 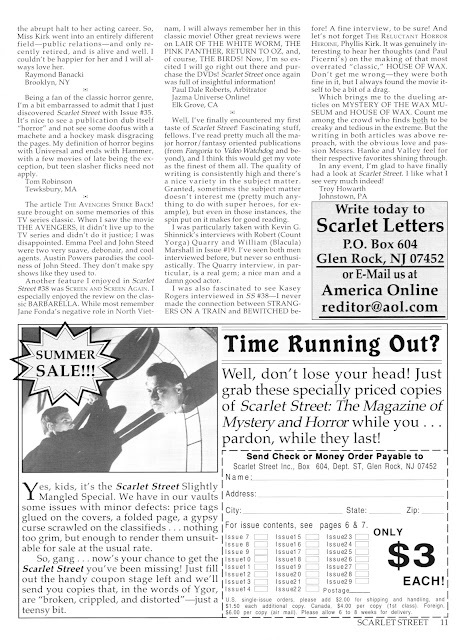 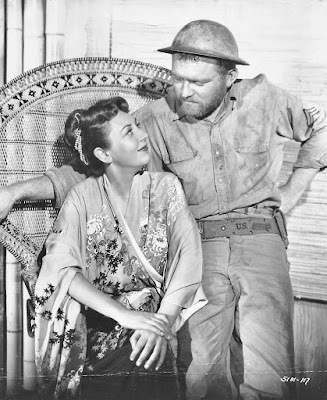 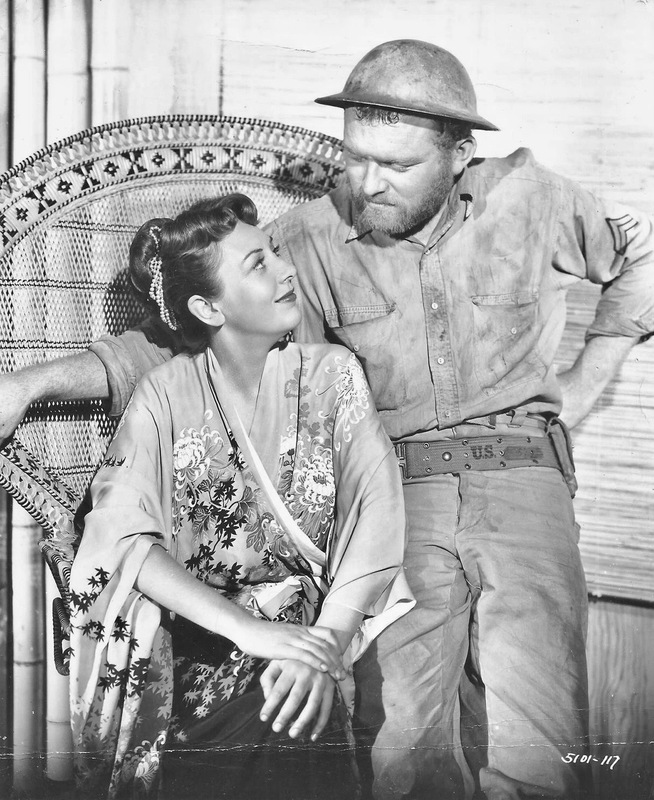 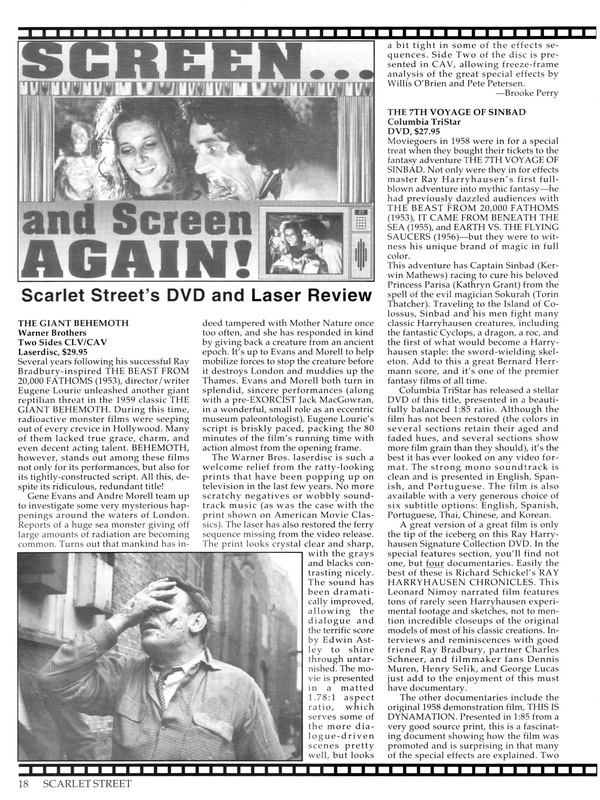 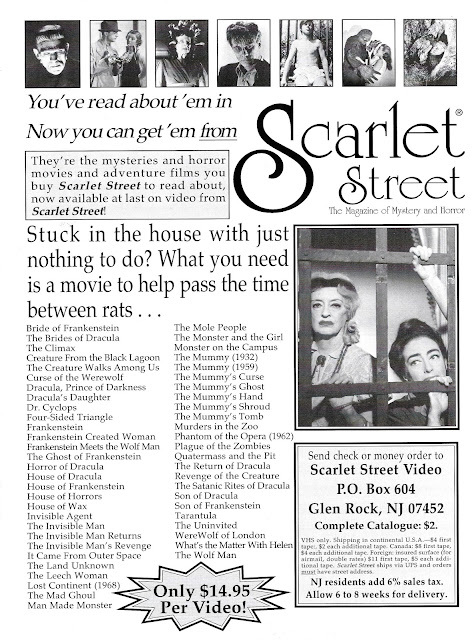 As the Summer rolls, so it goes with my Scarlet Street Summer & American Independence Day post! 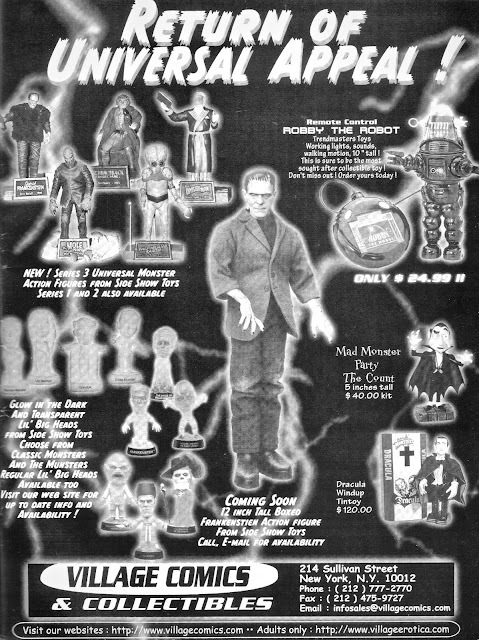 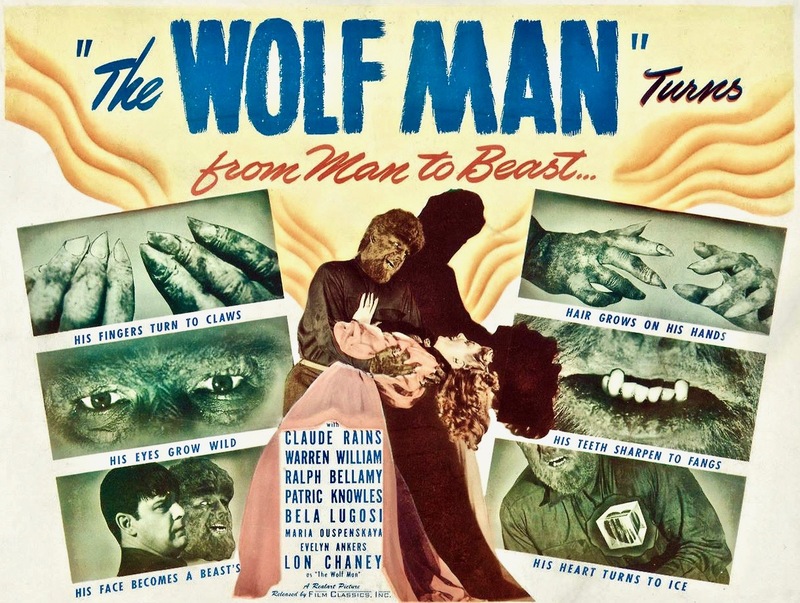 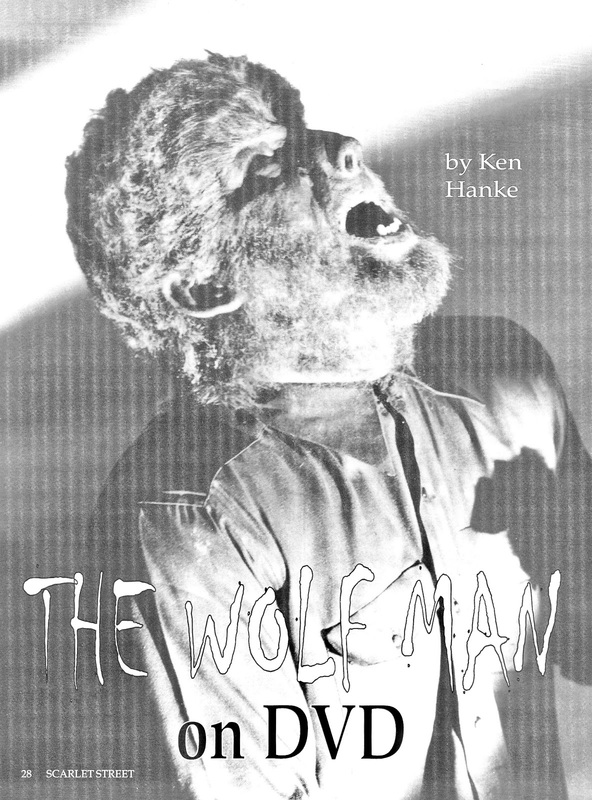 What could be hotter than bringing together the two titans of terror, Frankenstein's Monster and the Wolf Man. 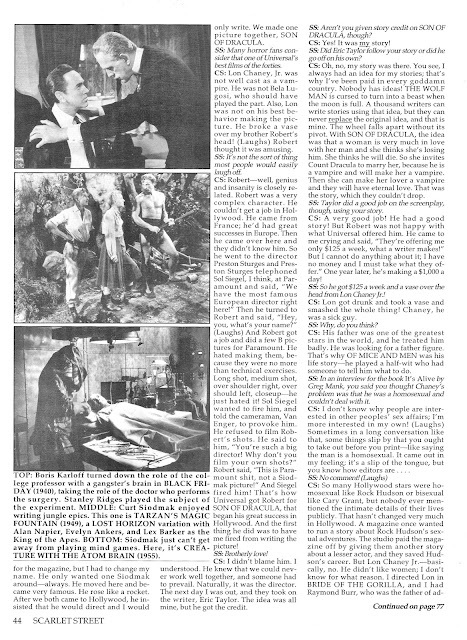 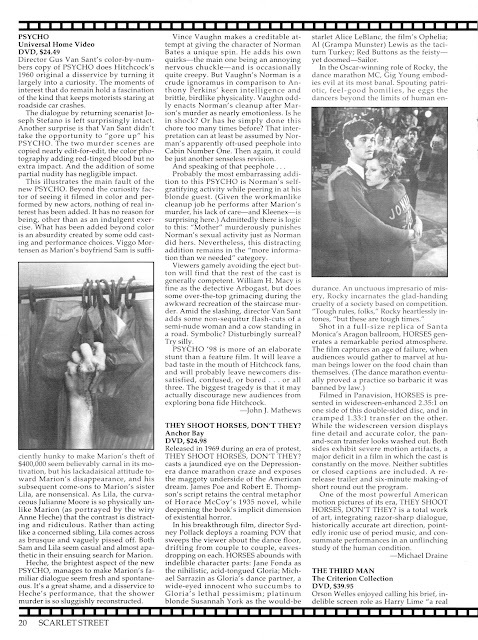 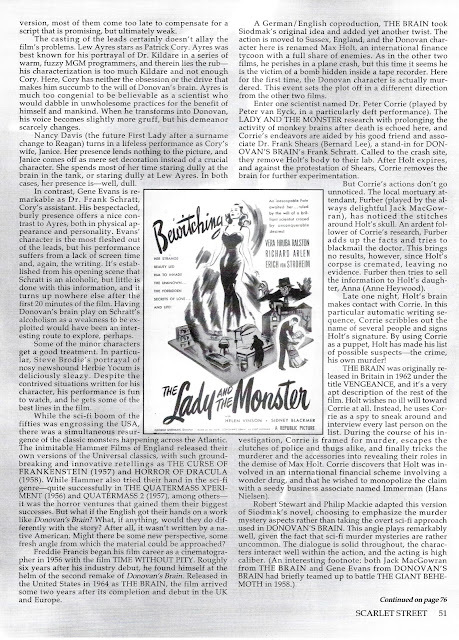 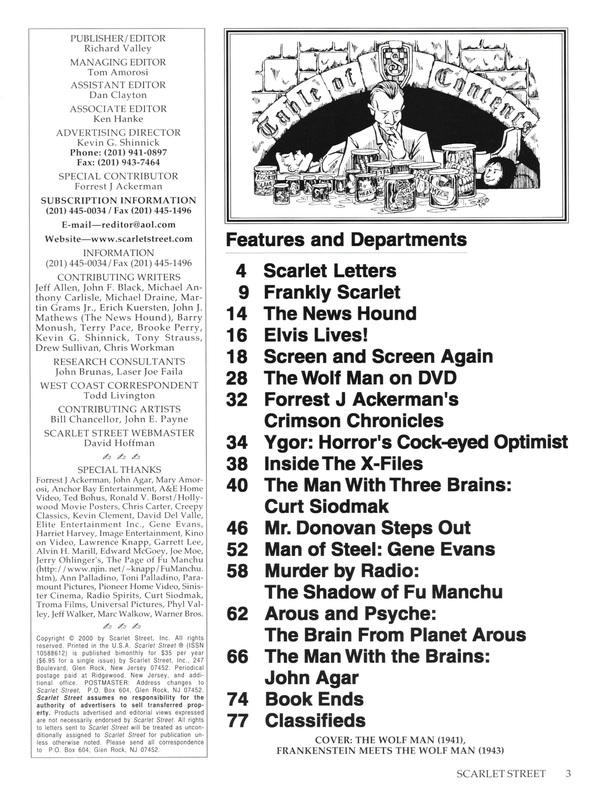 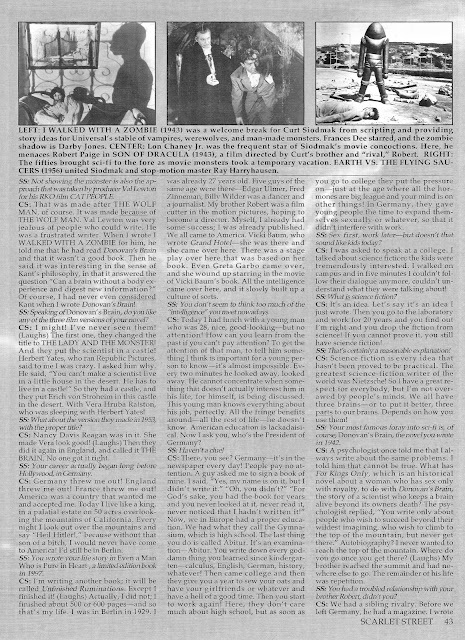 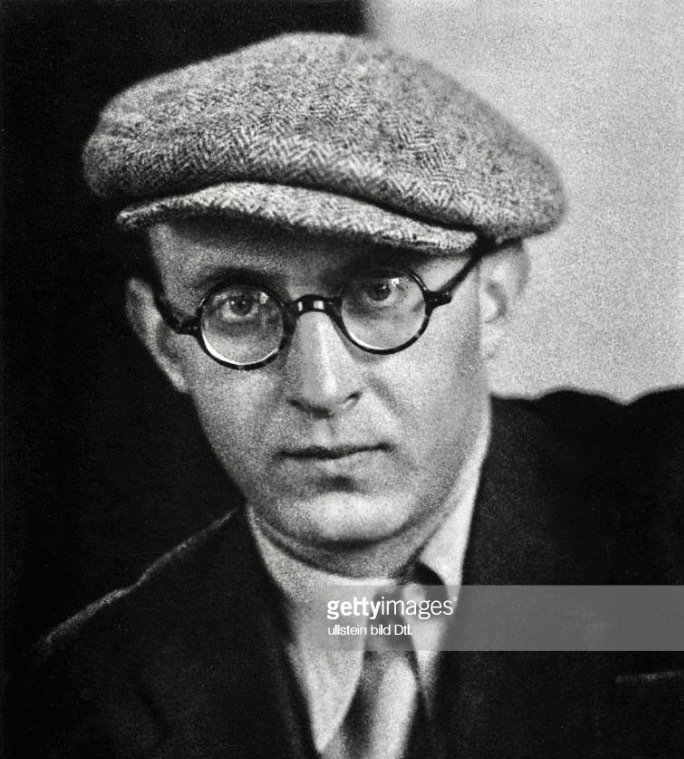 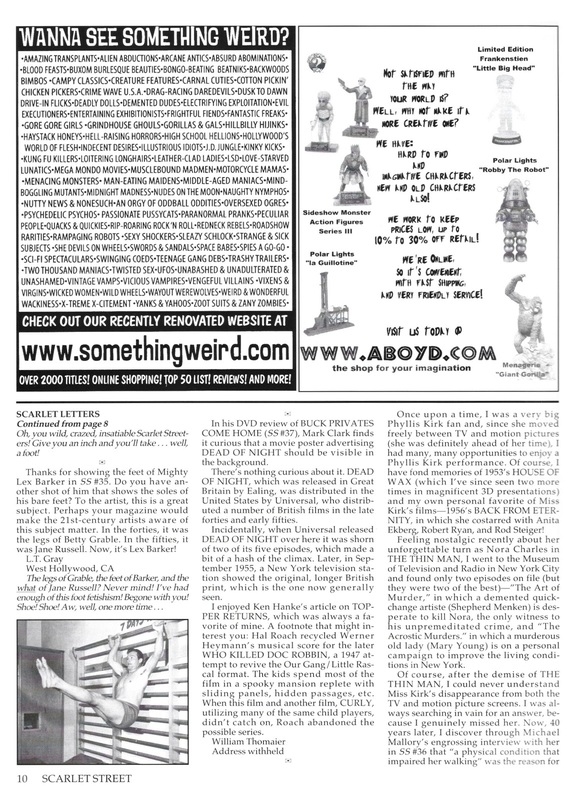 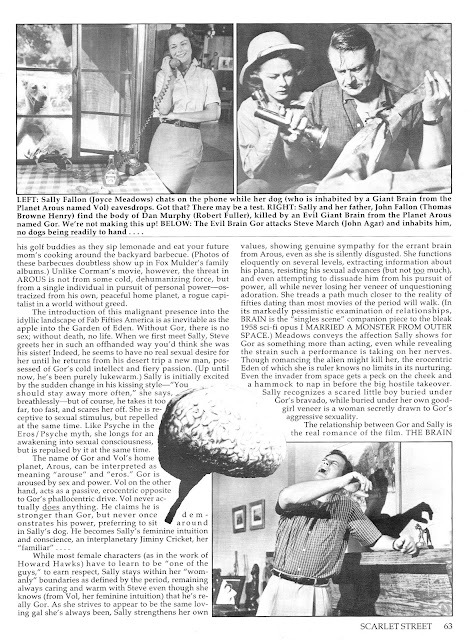 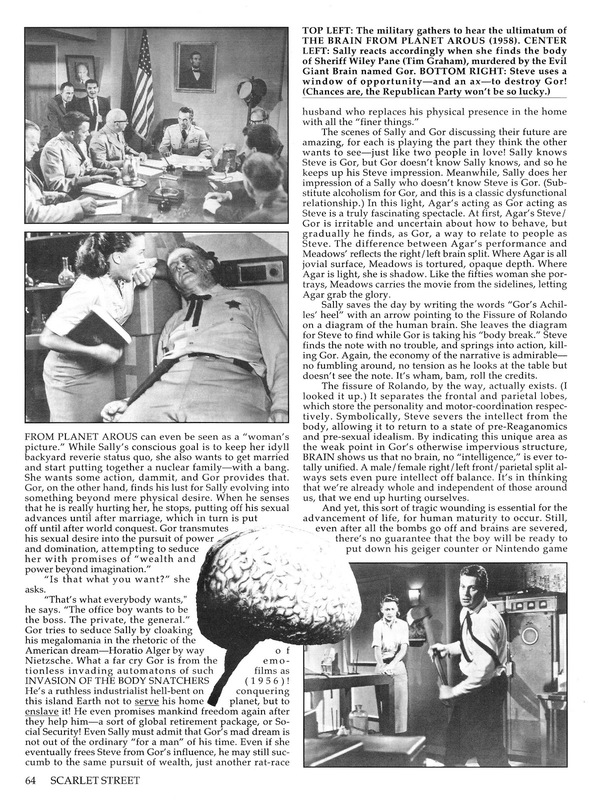 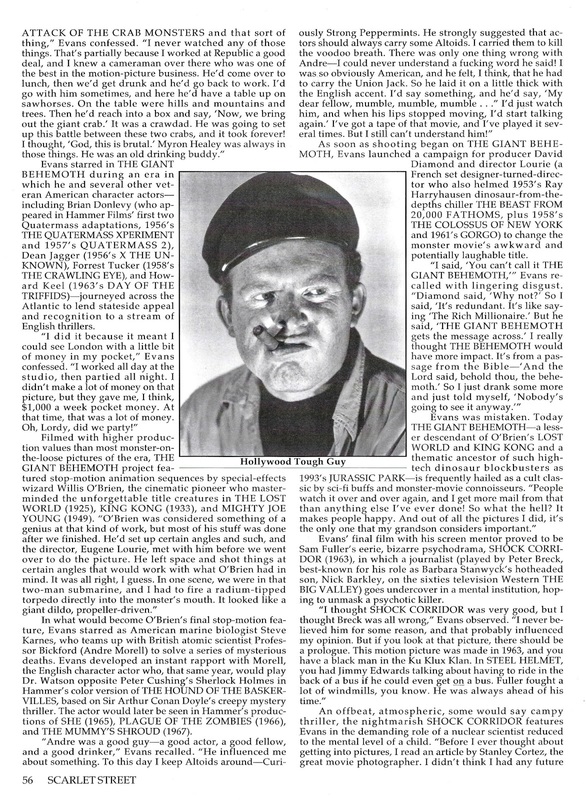 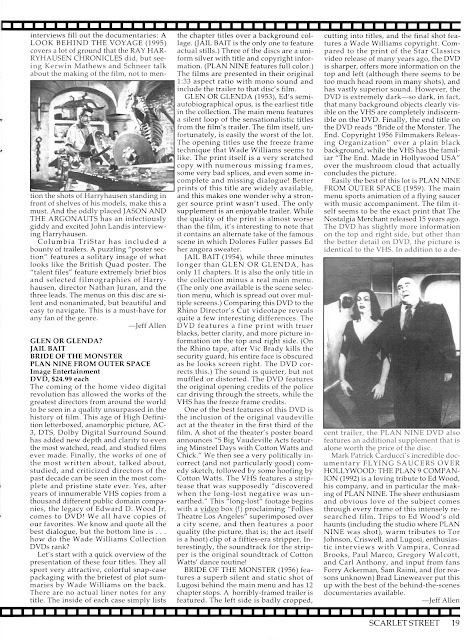 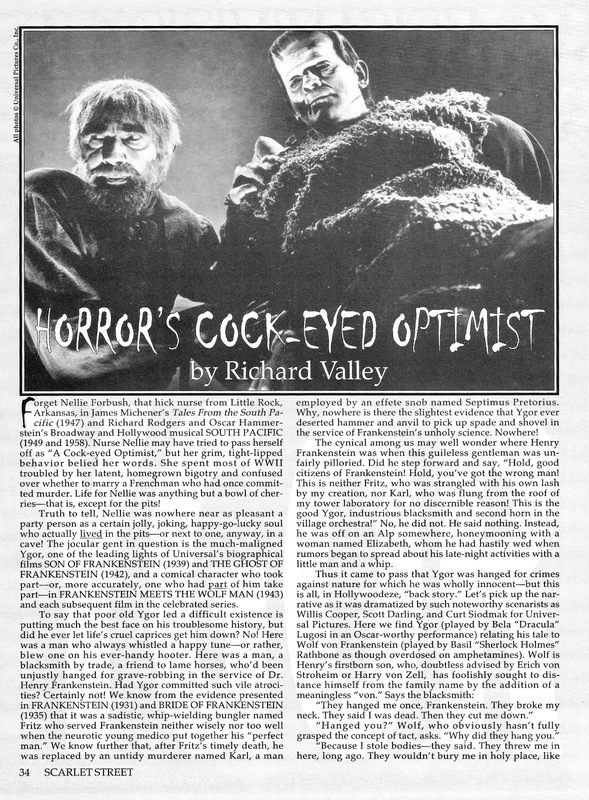 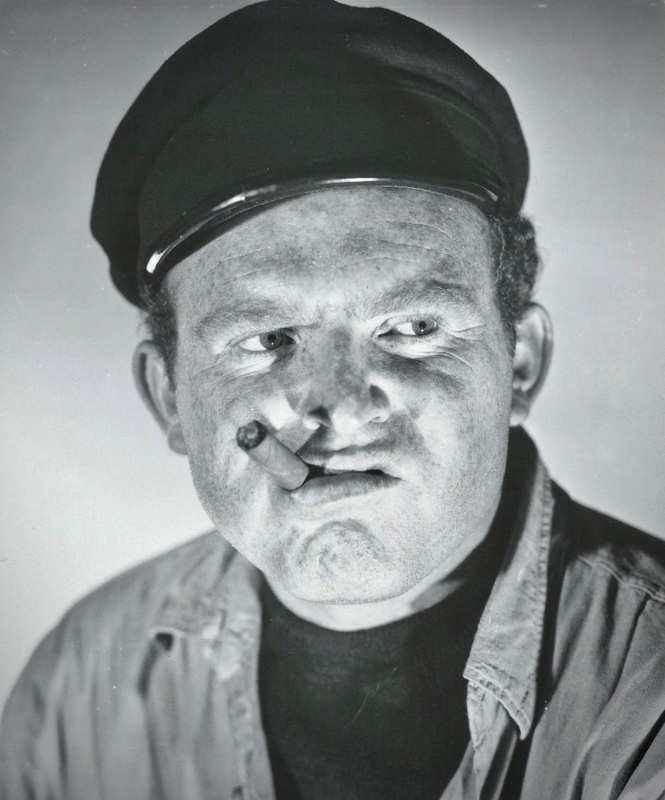 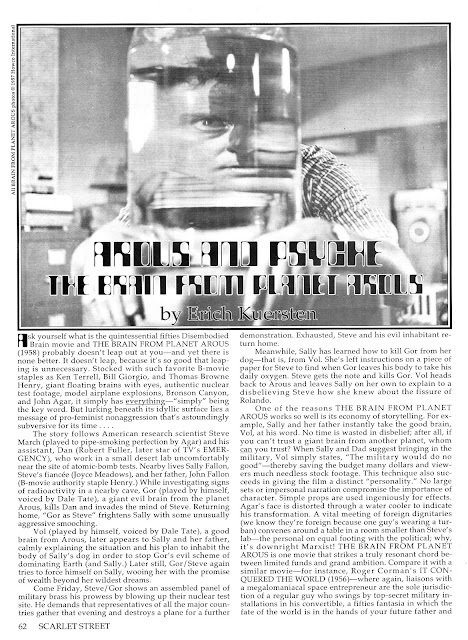 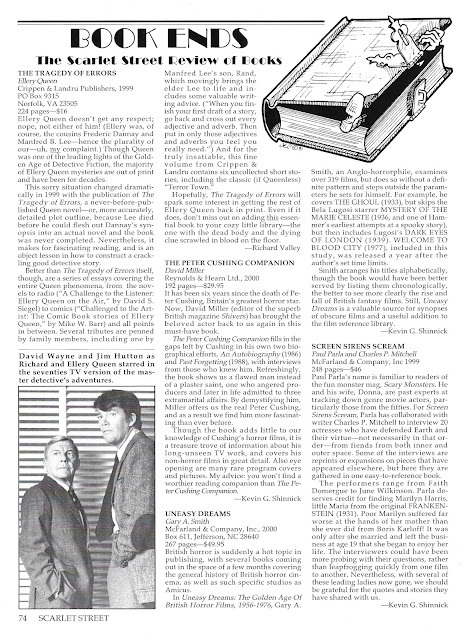 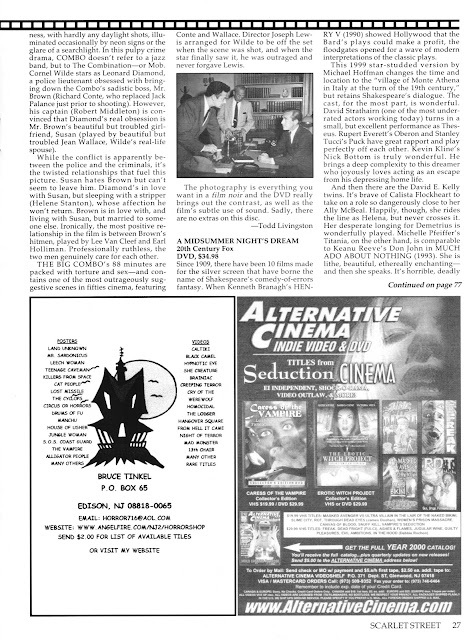 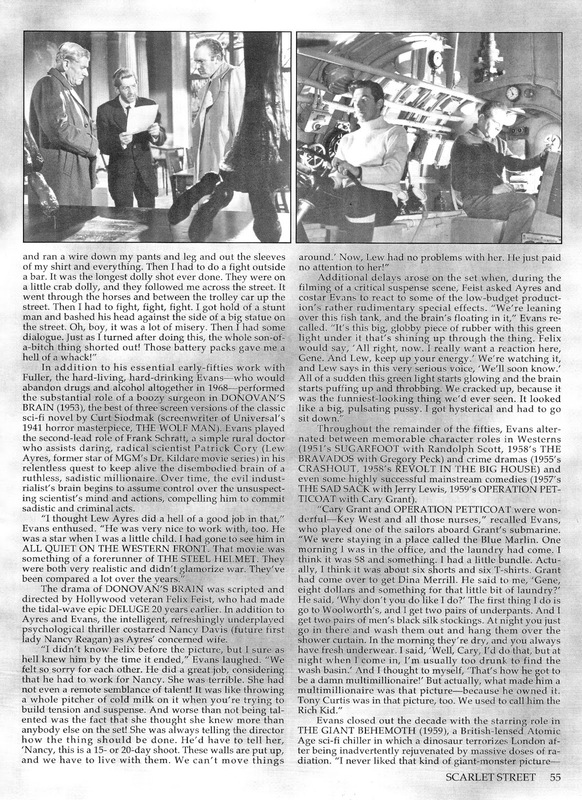 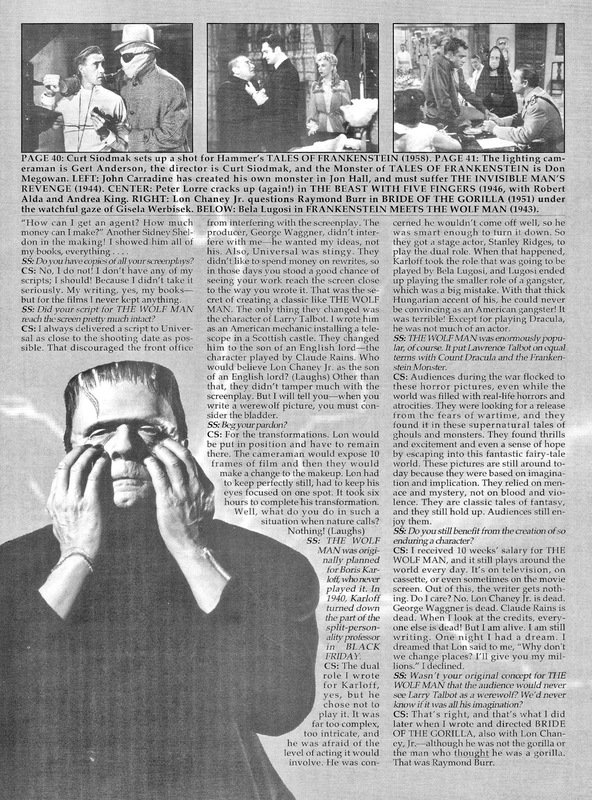 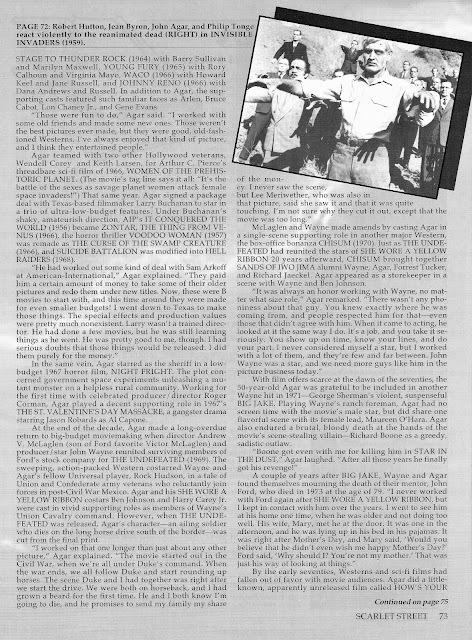 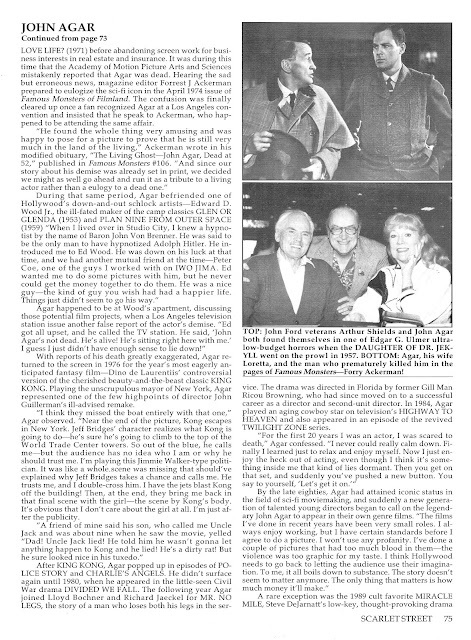 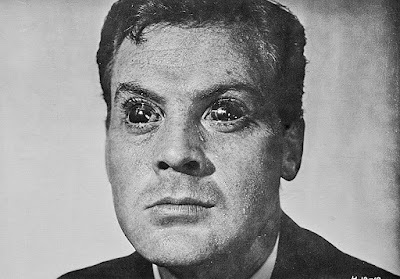 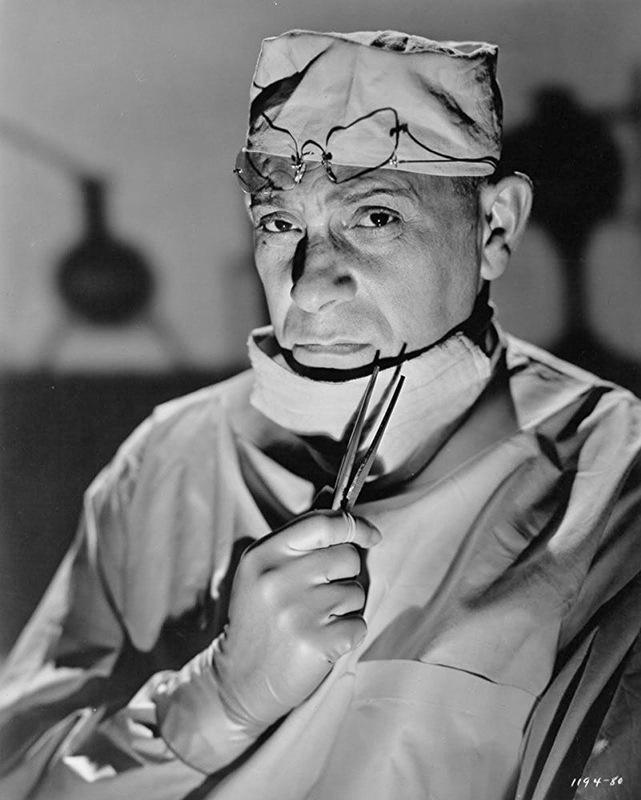 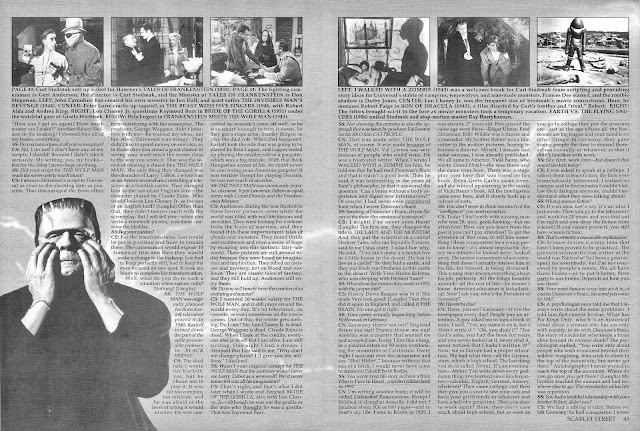 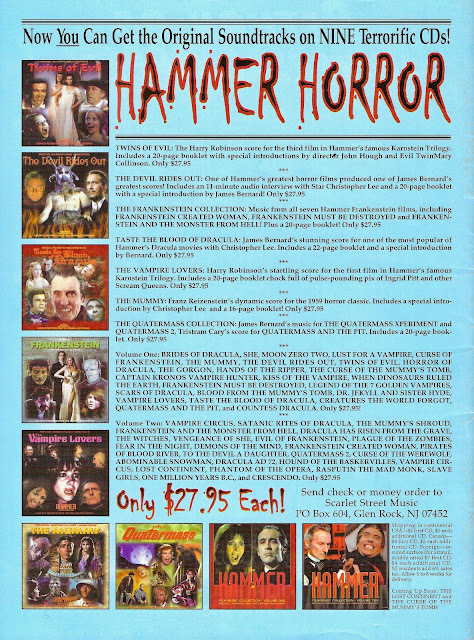 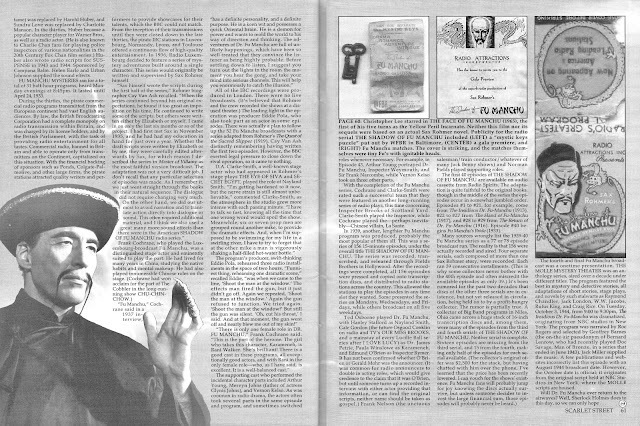 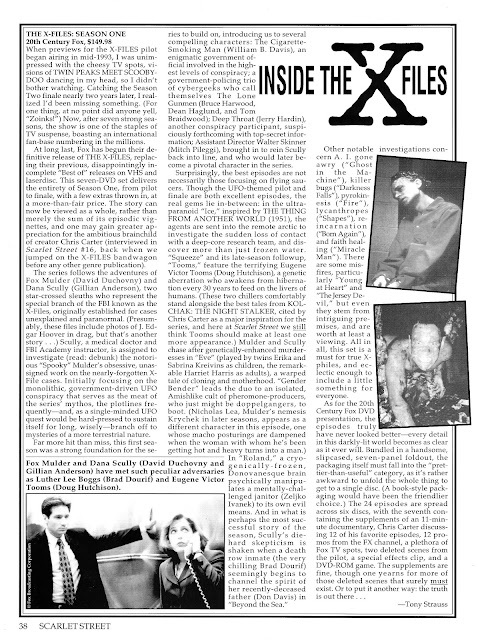 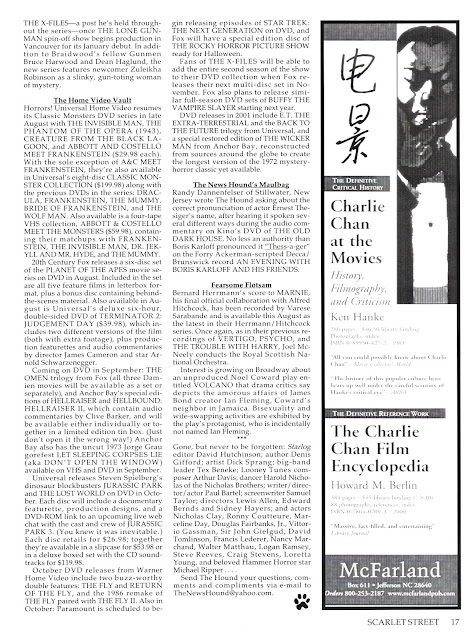 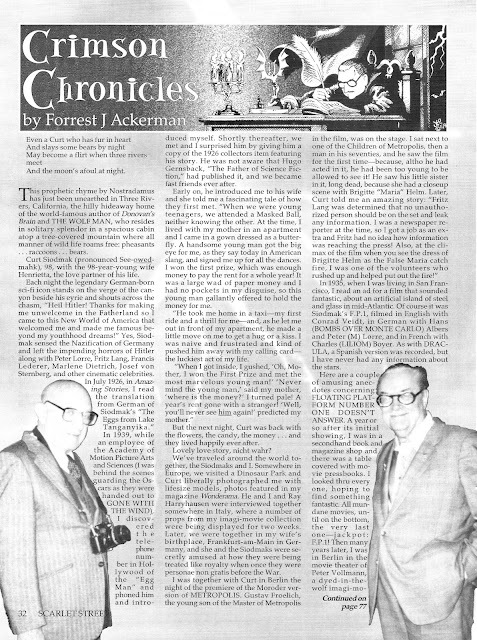 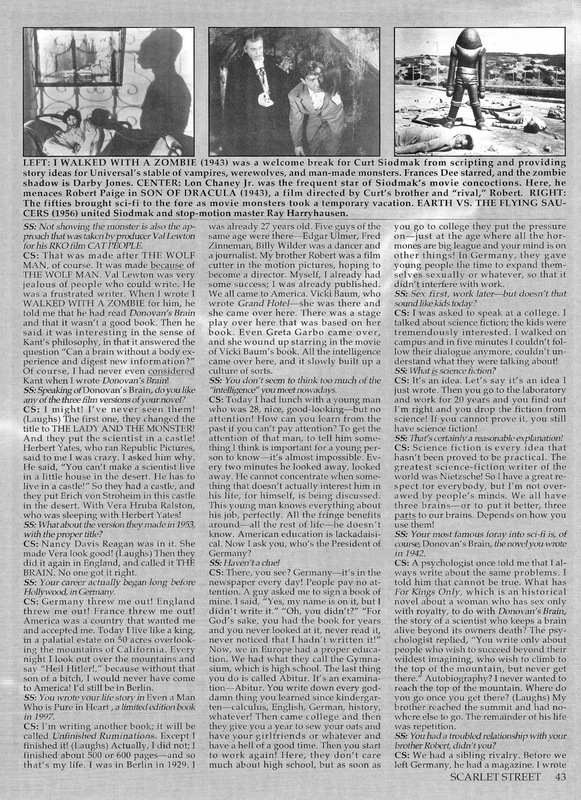 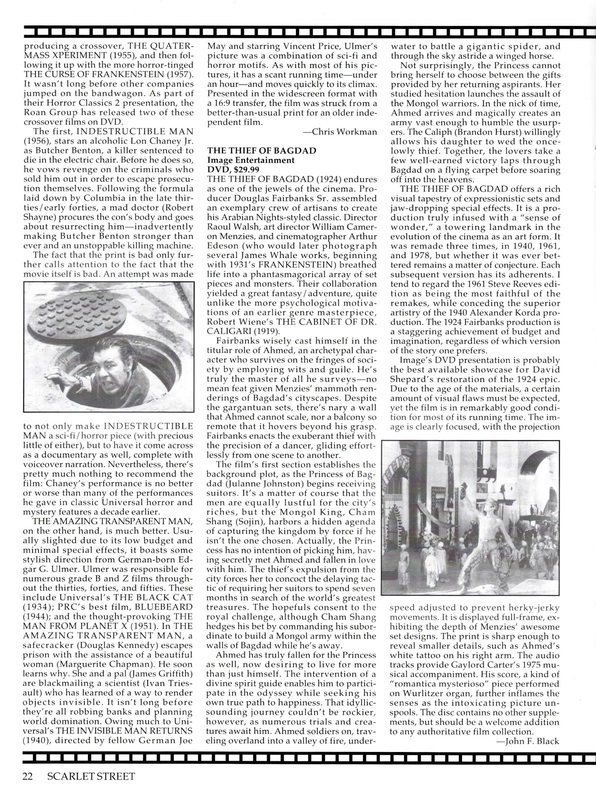 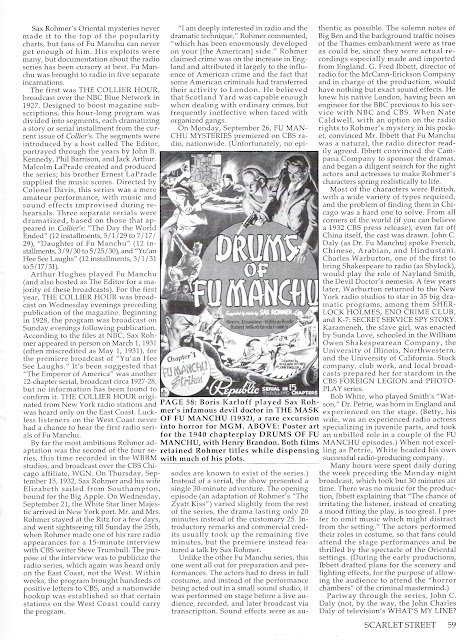 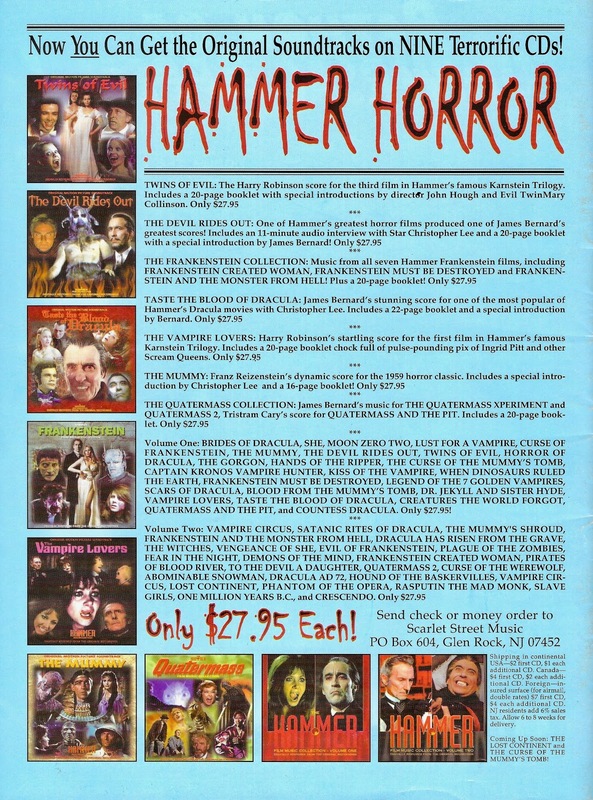 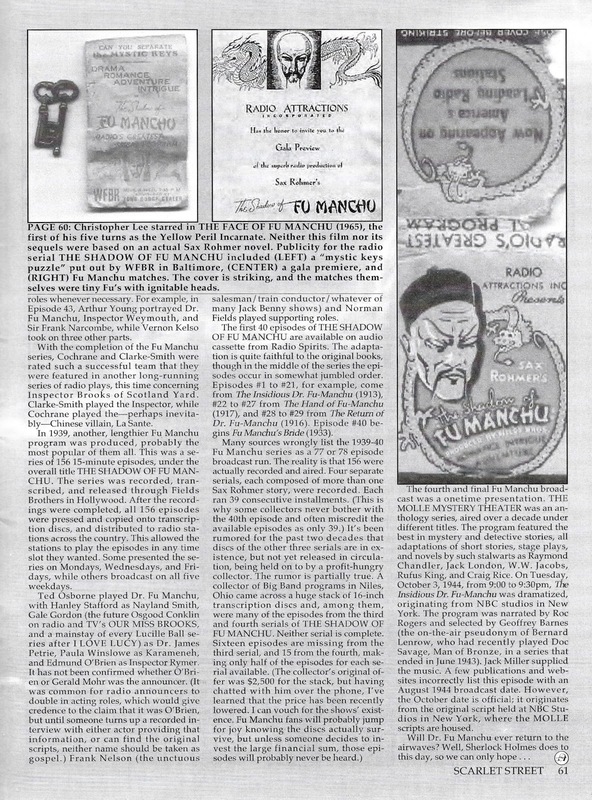 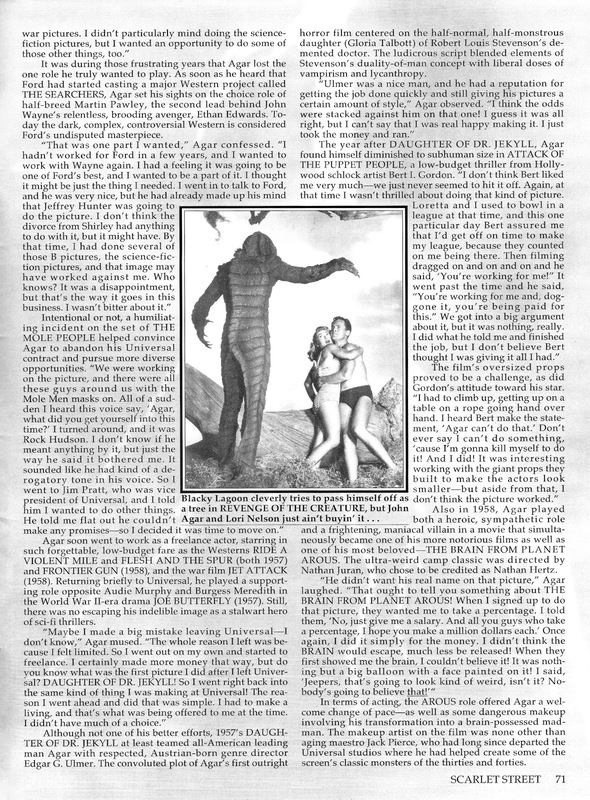 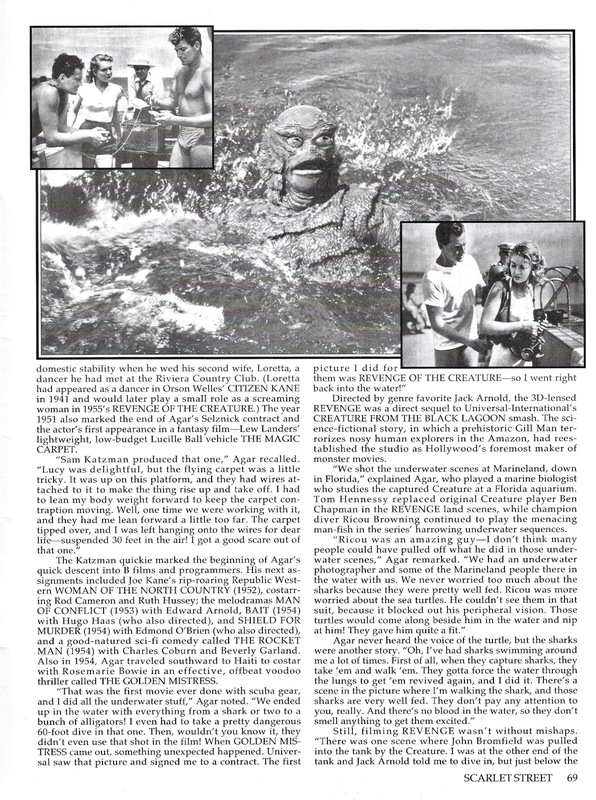 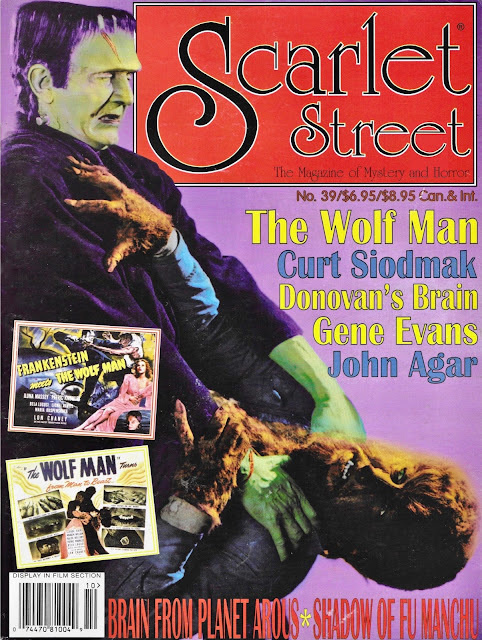 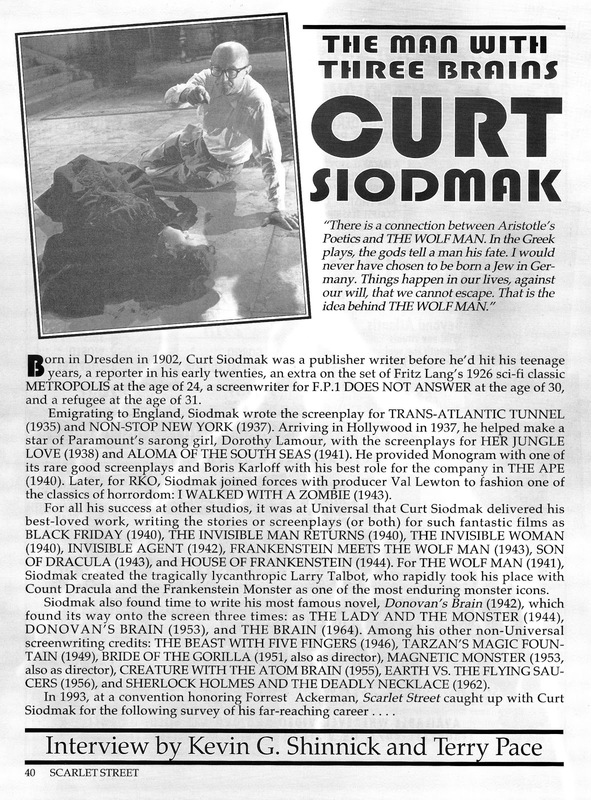 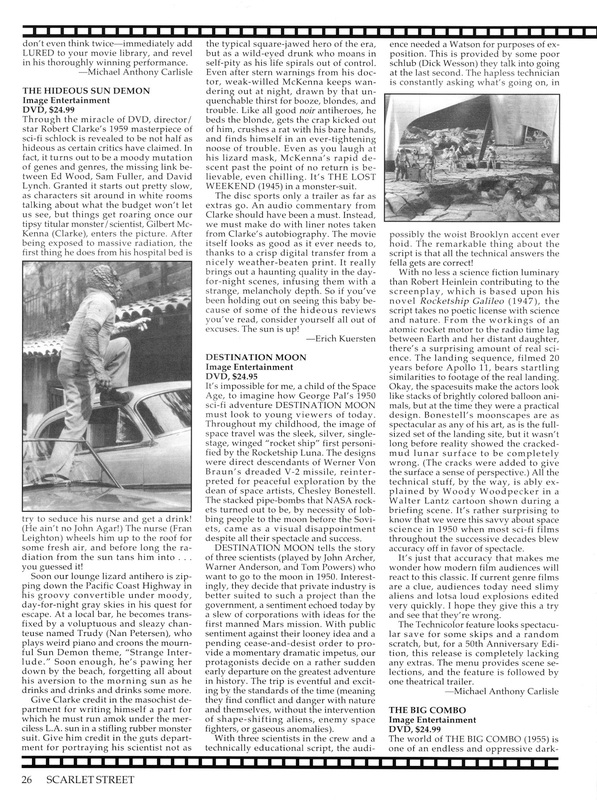 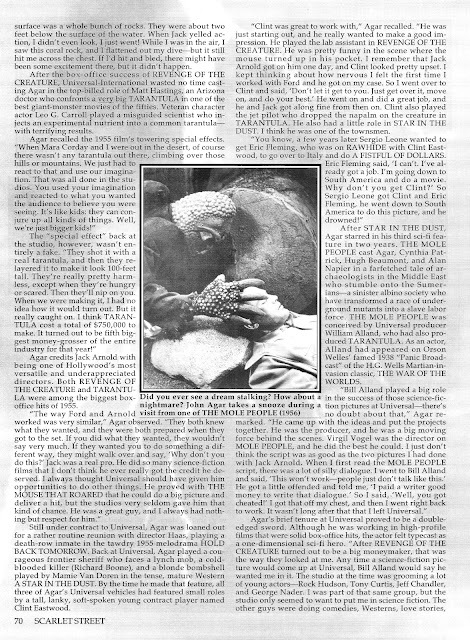 Actually, don't get too mislead as the real hero with the spotlight on him this issue is Curt Siodmak, the 'Brain' behind the paring of those two lovable creations, and of course the author of "Donovan's Brain", that most famous of all disembodied organs. 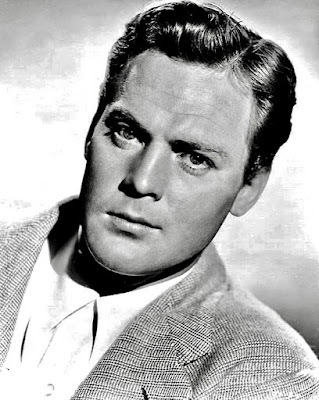 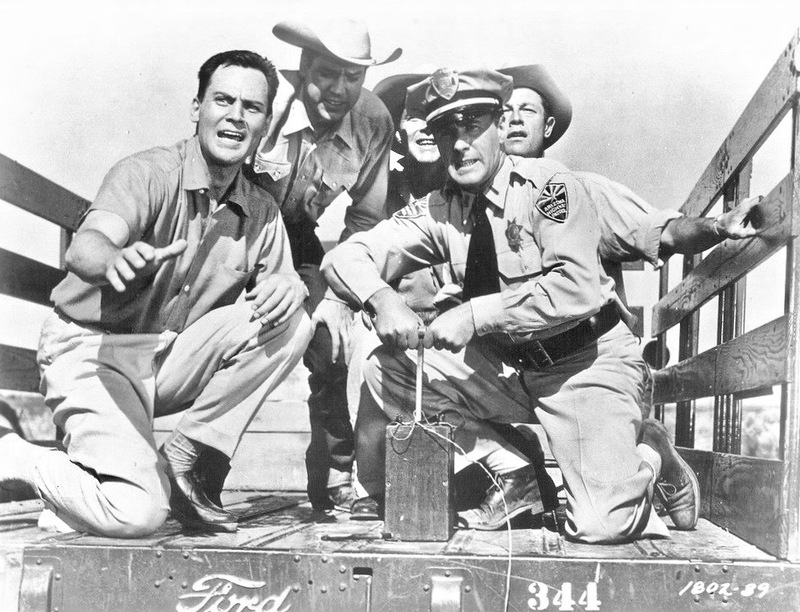 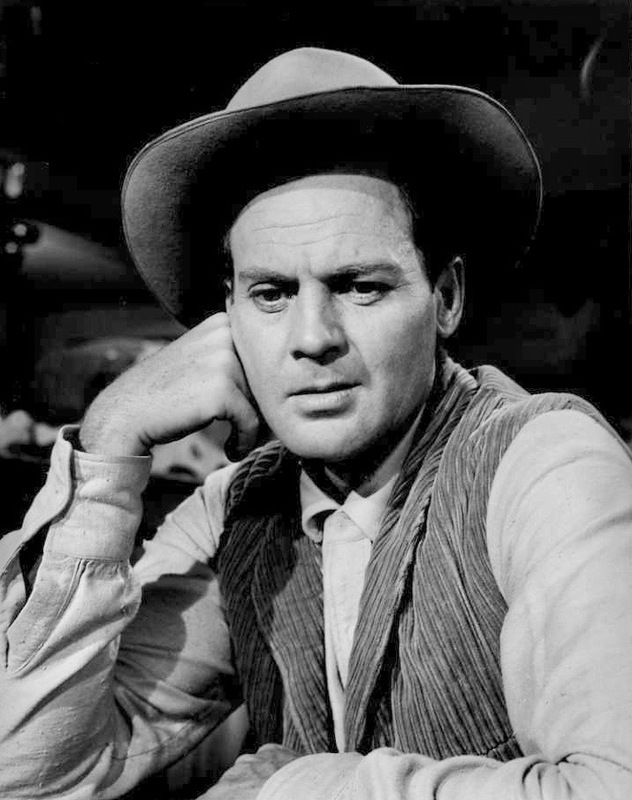 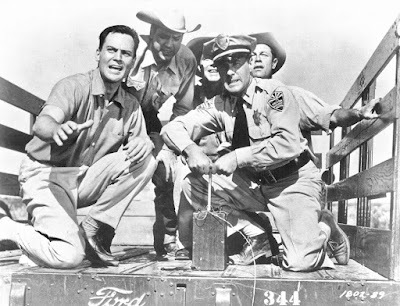 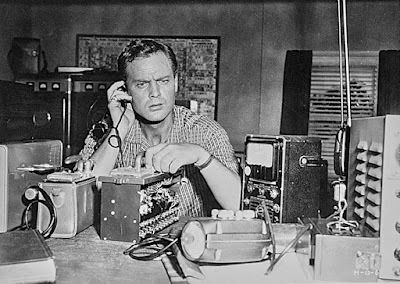 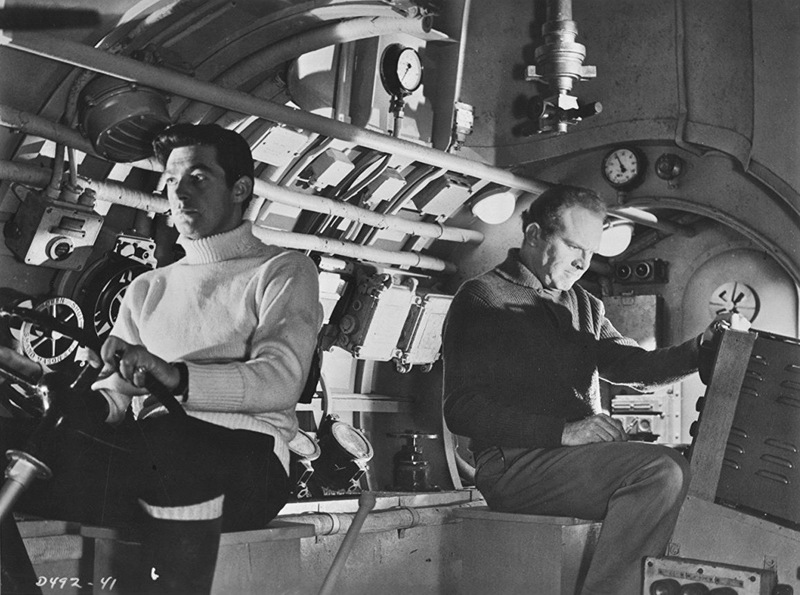 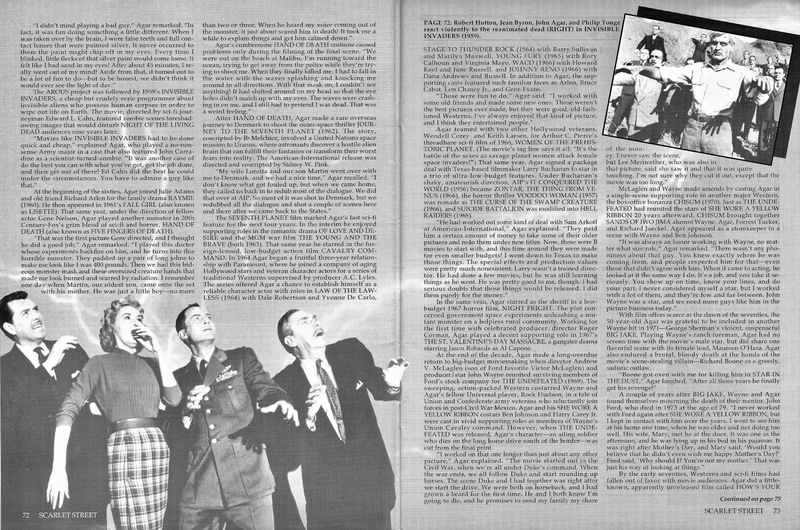 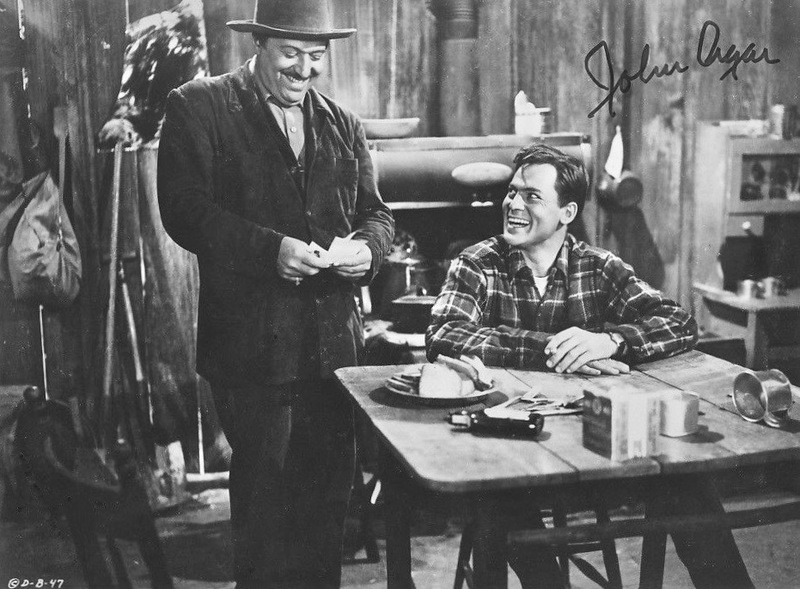 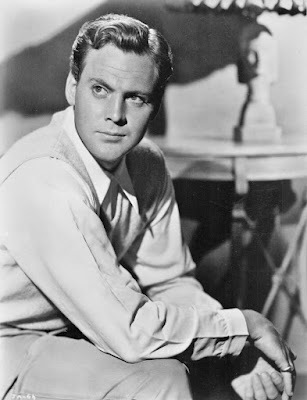 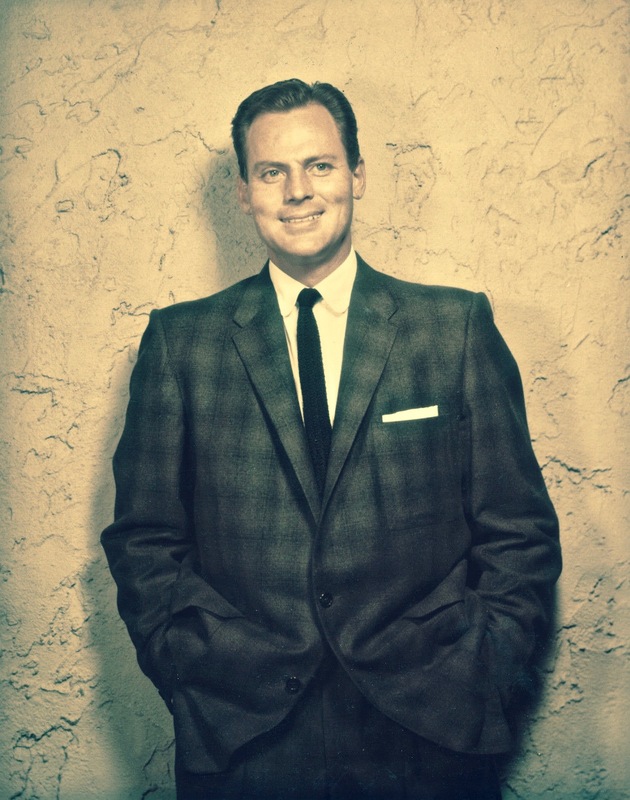 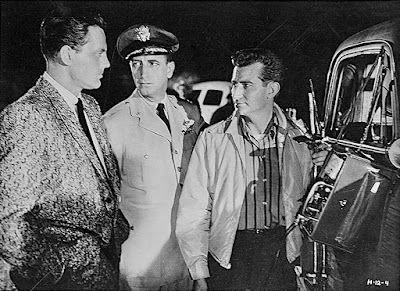 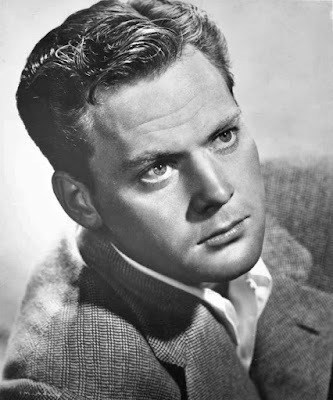 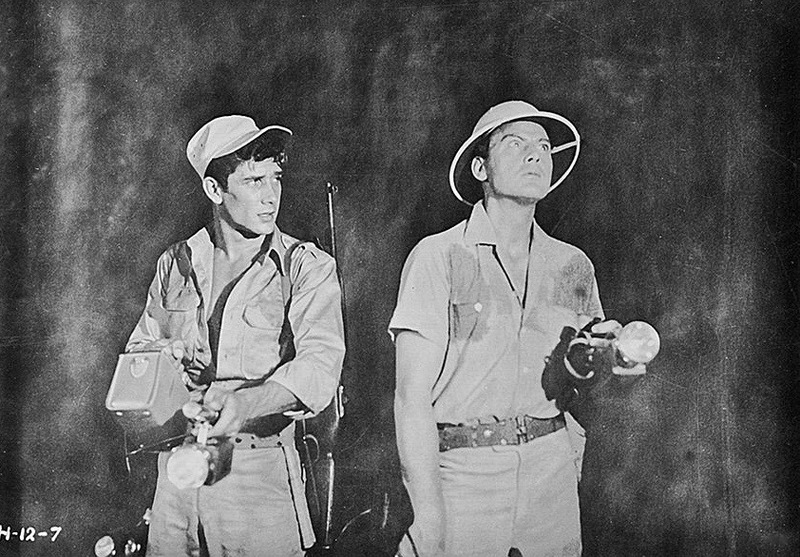 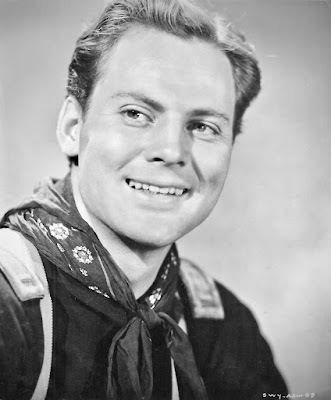 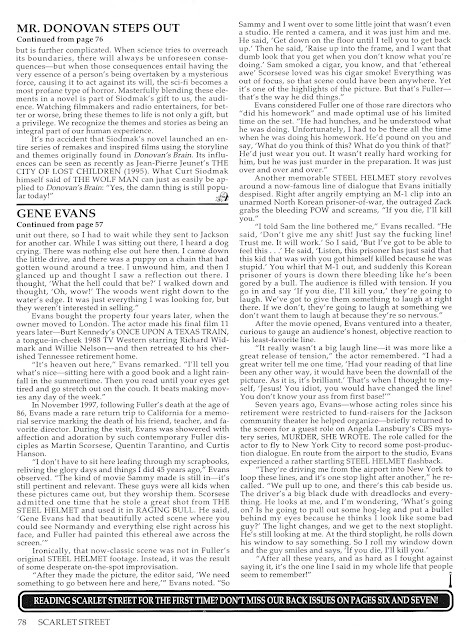 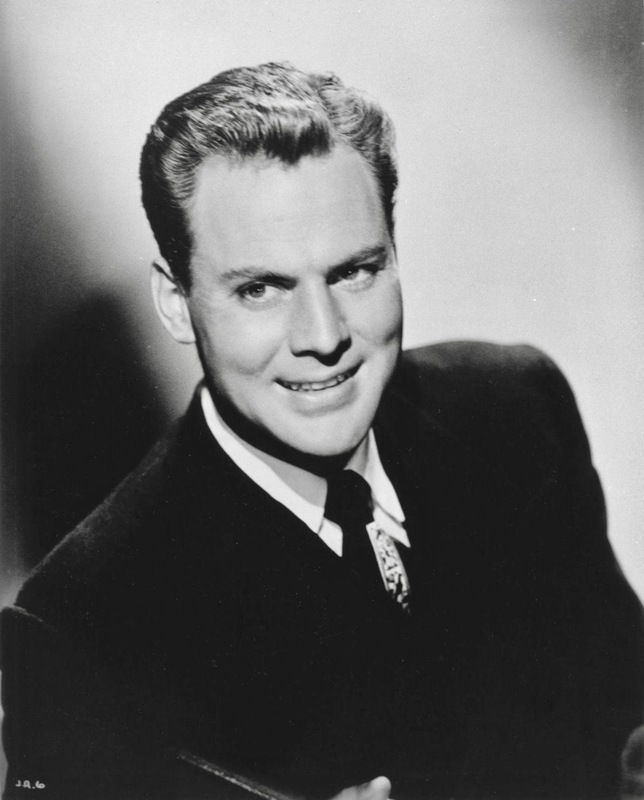 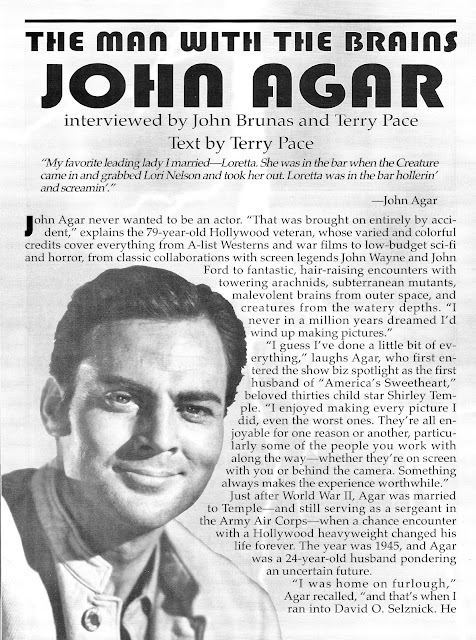 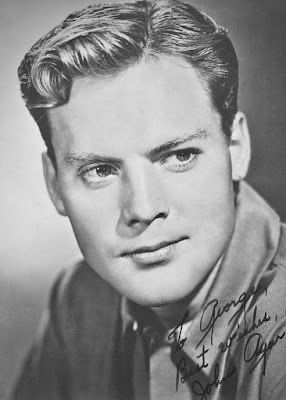 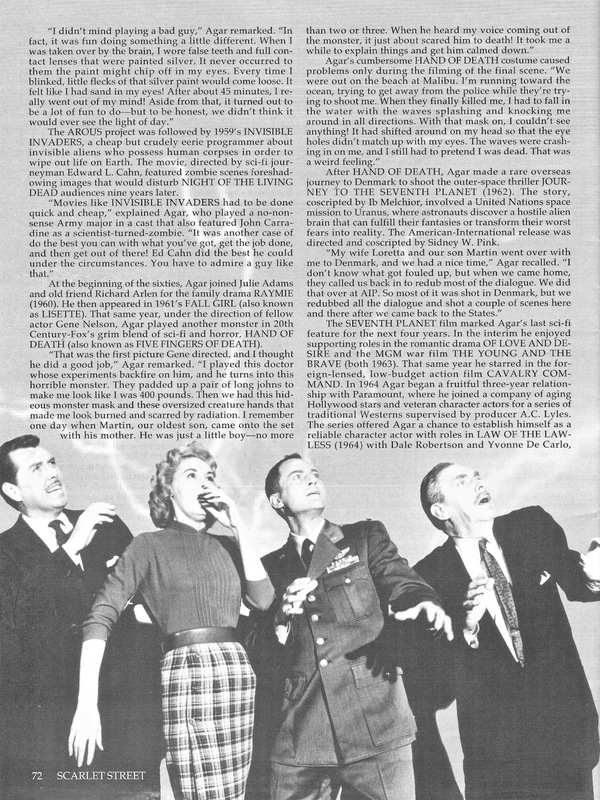 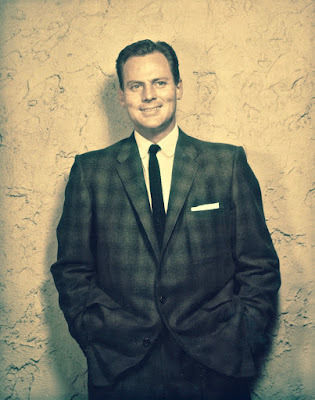 Sharing equal time with Curt are Gene Evans and John Agar. 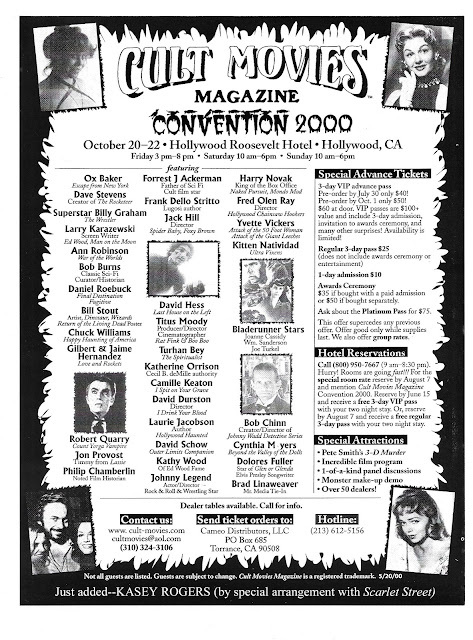 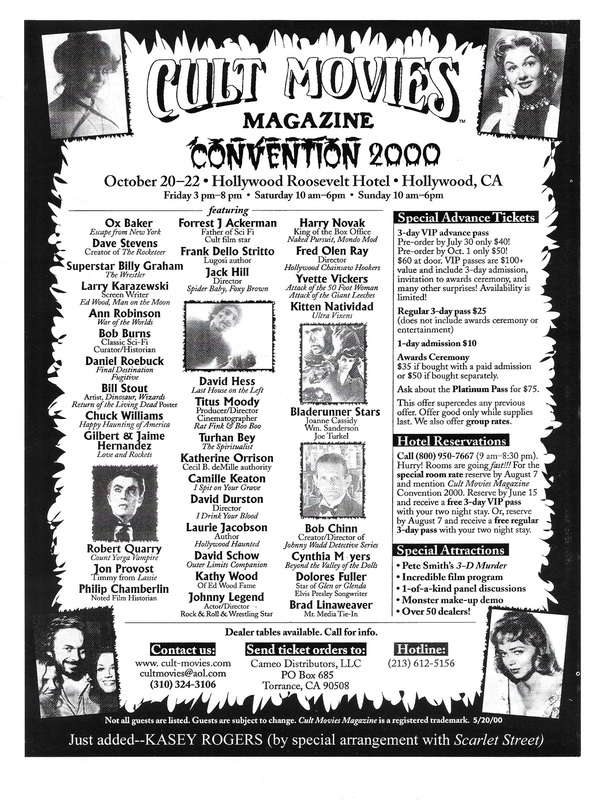 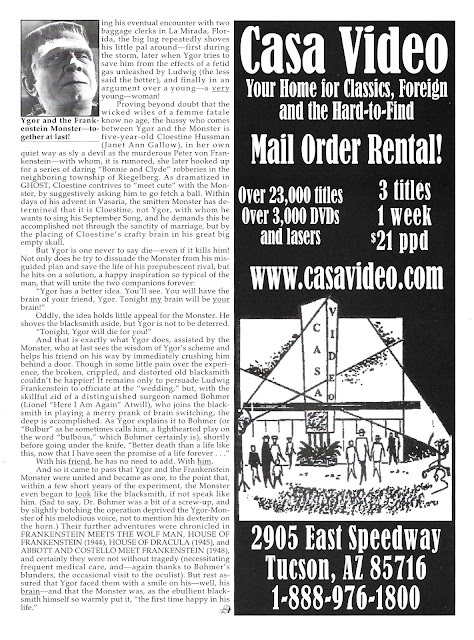 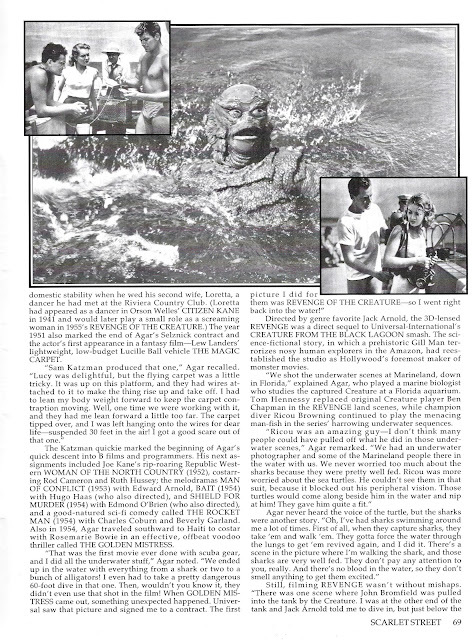 I'm so happy to have had that moment to meet with Mr. Agar and shake his hand during the Son of FM Con in 1995. 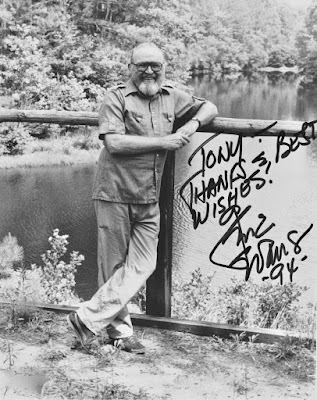 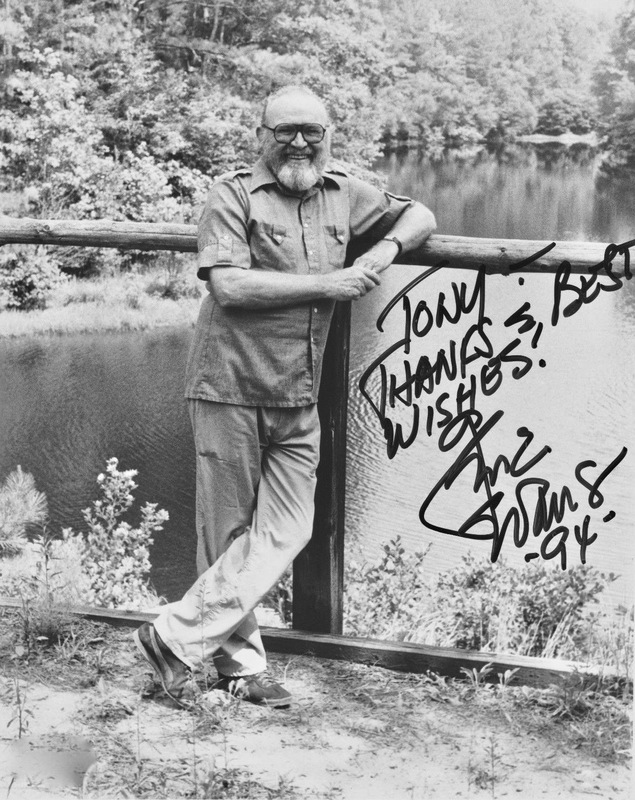 He was a joy to watch and listen to because he seemed like such a grateful human being for everything that he had in life, and that positive energy was very refreshing to be around. 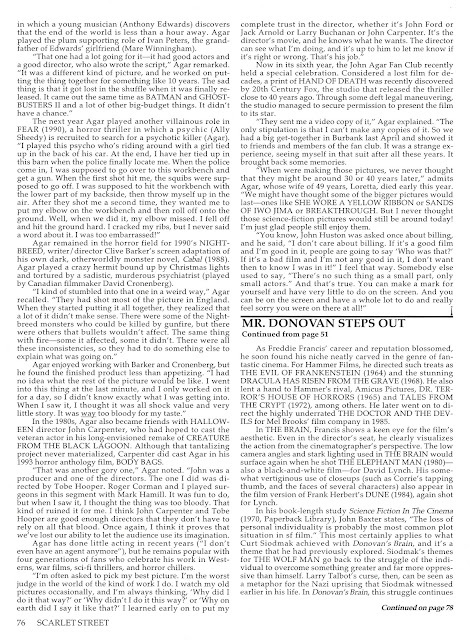 Speaking of being grateful, I do have an update on myself and my mother's further exploration into a meatless menu future. 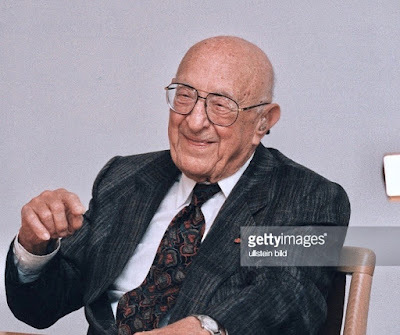 We tried two variations of vegan chicken for Father's Day (I had bought three different kinds) and after some trials (fortunately I overbought the one brand) I figured out a way to make it which was quite satisfactory. The second brand we tried, however, I fell in love with! It was in strips, which didn't at first endear me so much because I never really got into chicken strips, but these smelled just like the real thing when cooking and honestly I'm wondering if any chicken lover would be able to tell the difference when served, they were that good. 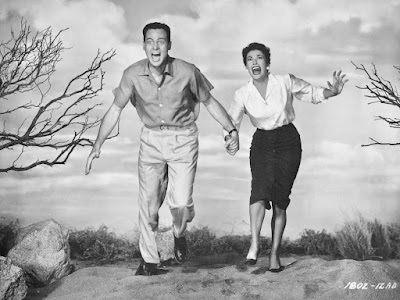 As the American Independence Day approaches, Mom talked me into trying vegan hot dogs. 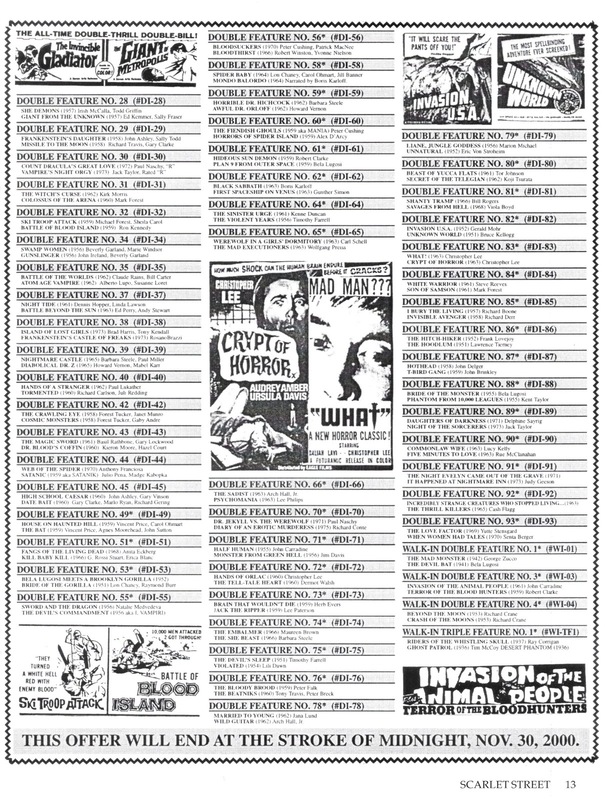 I really don't need hot dogs myself, but we're going for it. 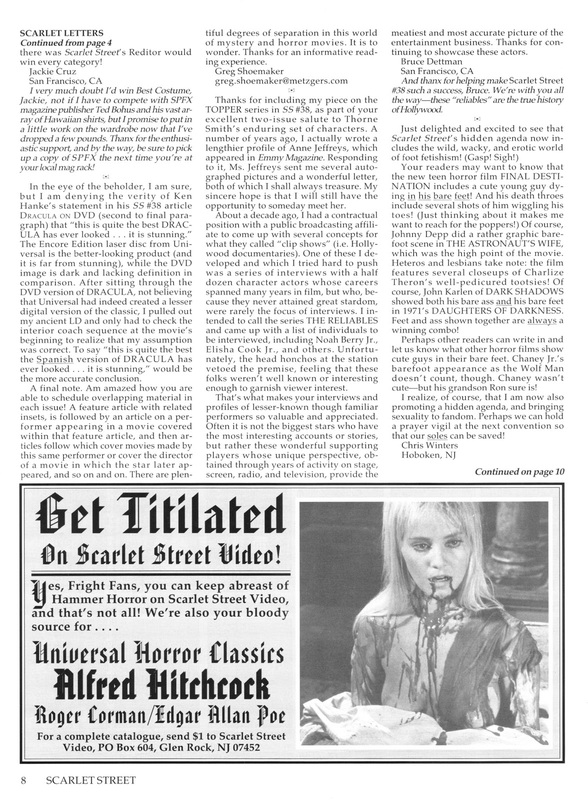 It seems that eating meatless is here to stay for us. 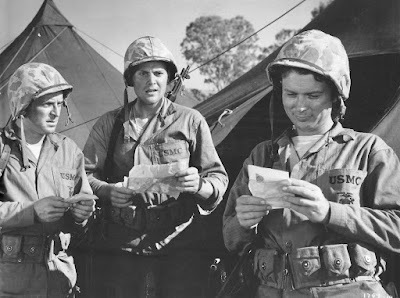 We still have not quite fully given up dairy yet as cheese occasionally graces our plates (I made an eggplant parmesan recently) nor eggs as I plan on bringing back Mom's potato salad for the upcoming 4th of July, but I still am happy with the progress we've made so far. 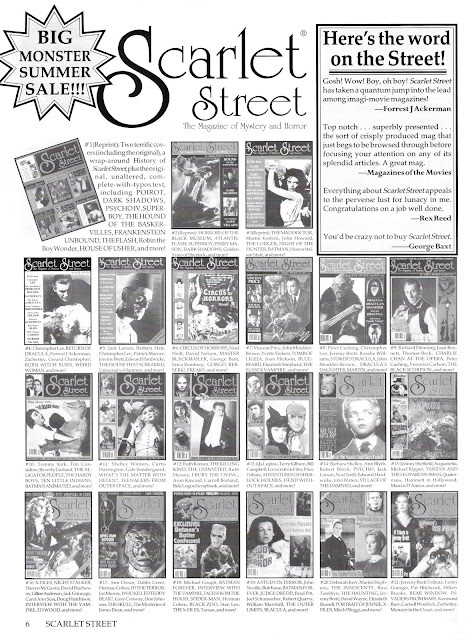 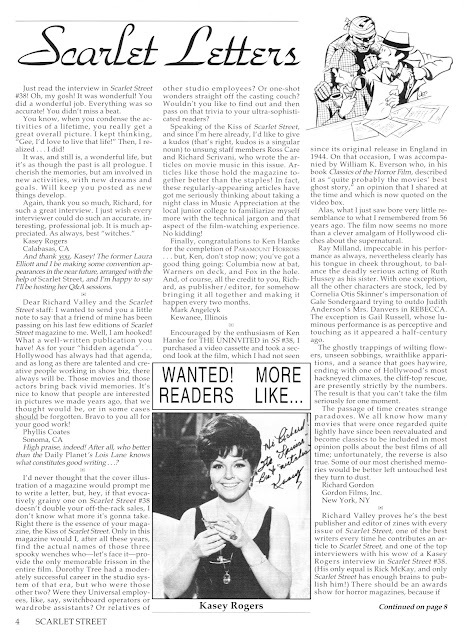 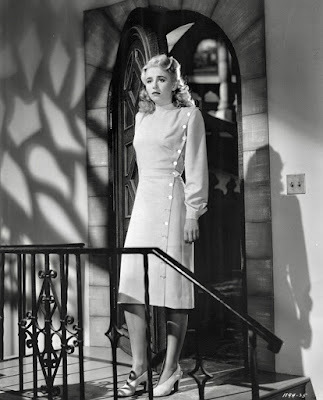 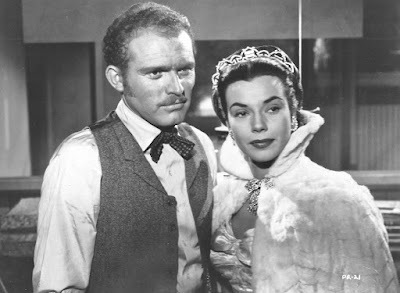 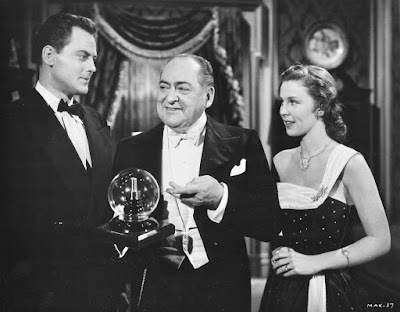 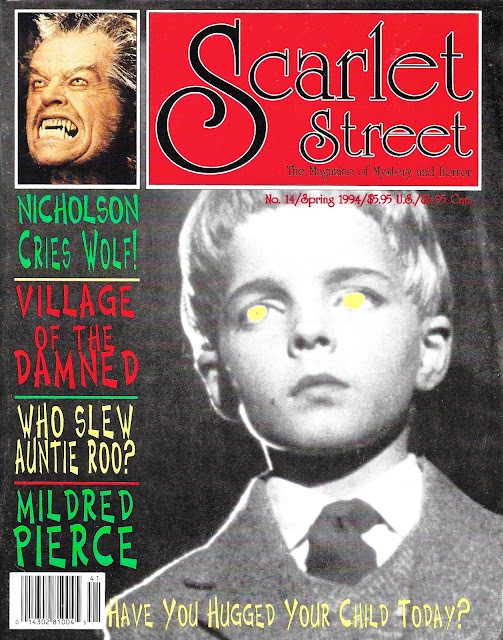 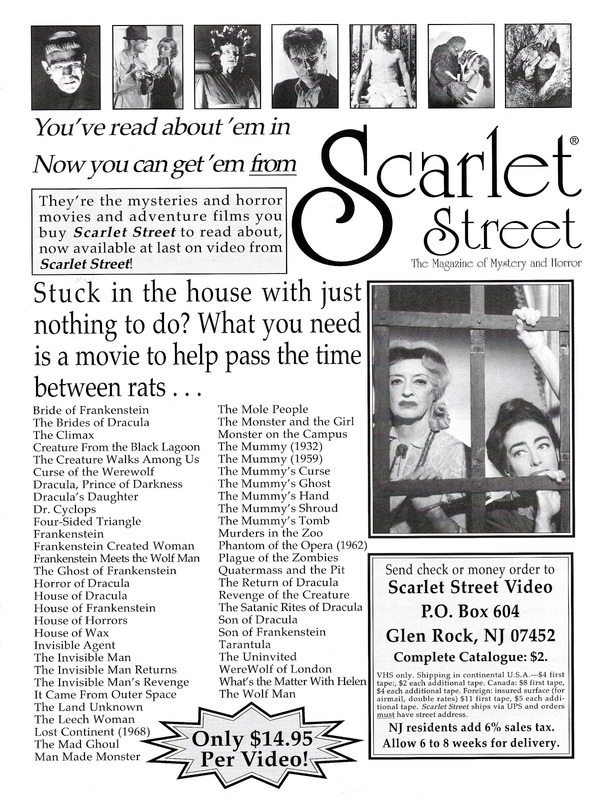 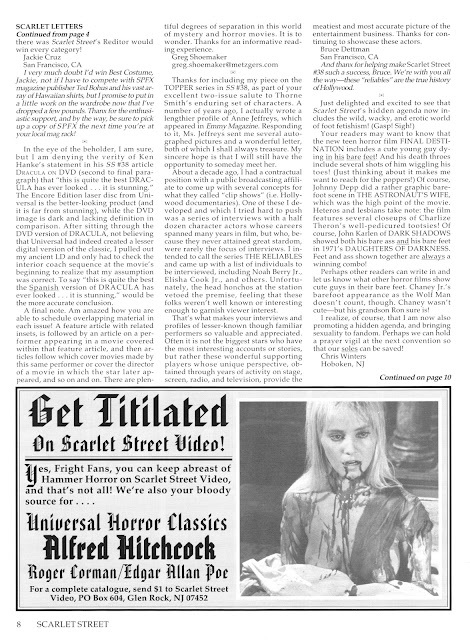 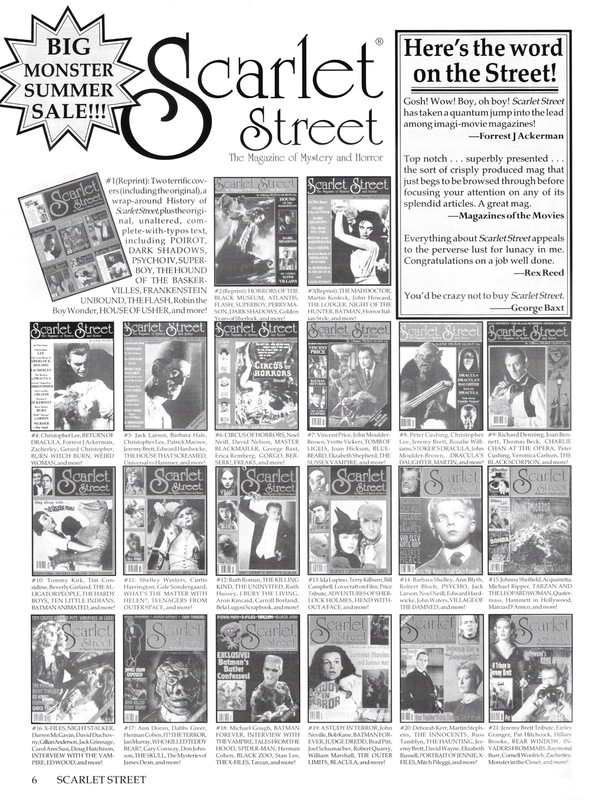 Wishing you all once more another Happy Holiday ahead, and we'll be seeing you at the end of July for my (personal) birthday SS post, which is a milestone in itself as that will be Scarlet Street #40! 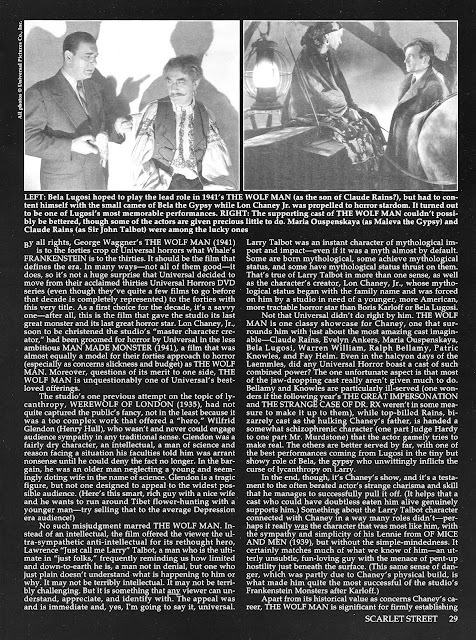 *"The Wolf Man"  with Lon Chaney and Evelyn Ankers. 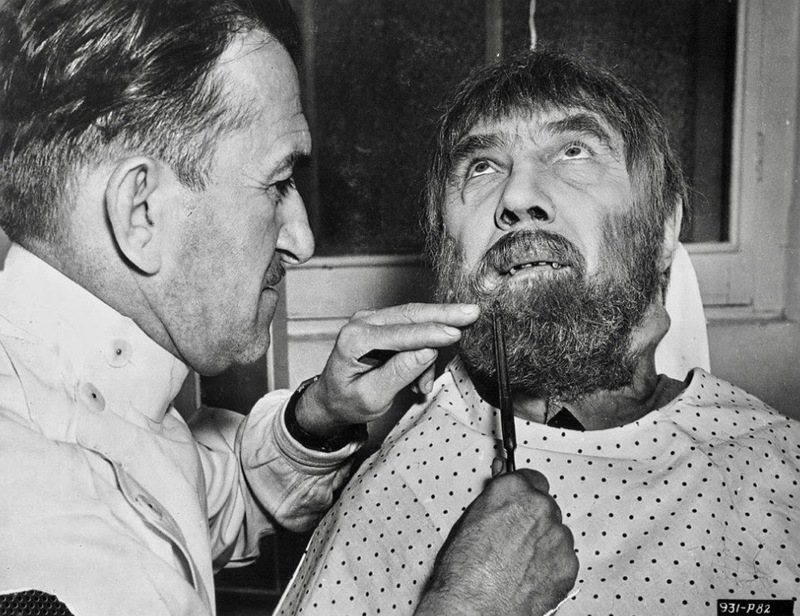 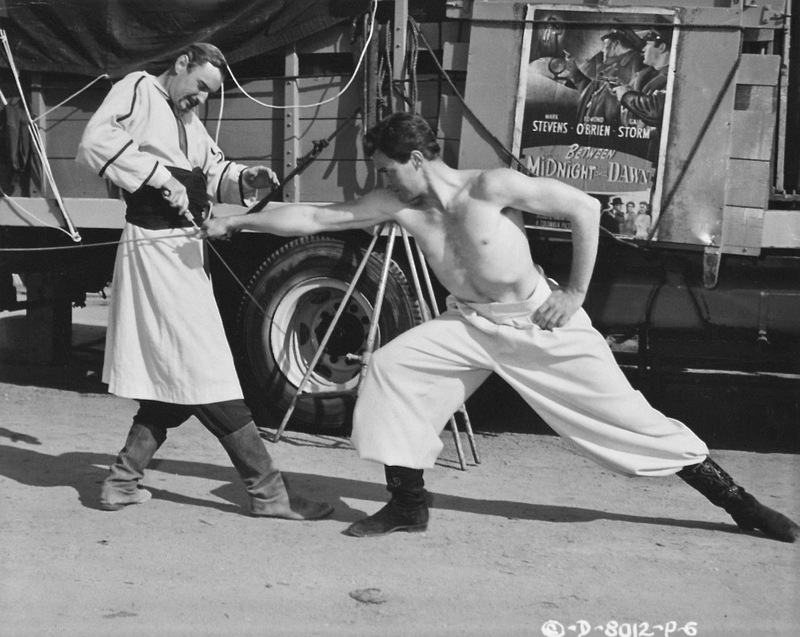 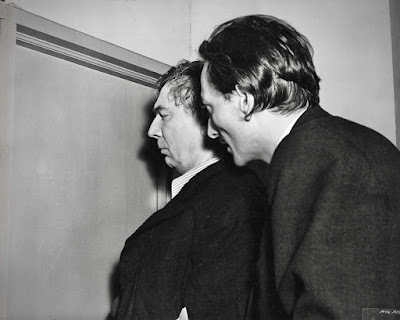 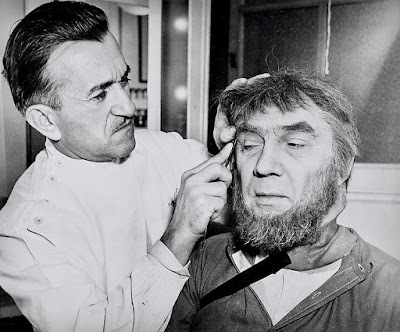 *Master make-up man, Jack Pierce prepares Bela Lugosi for his character. 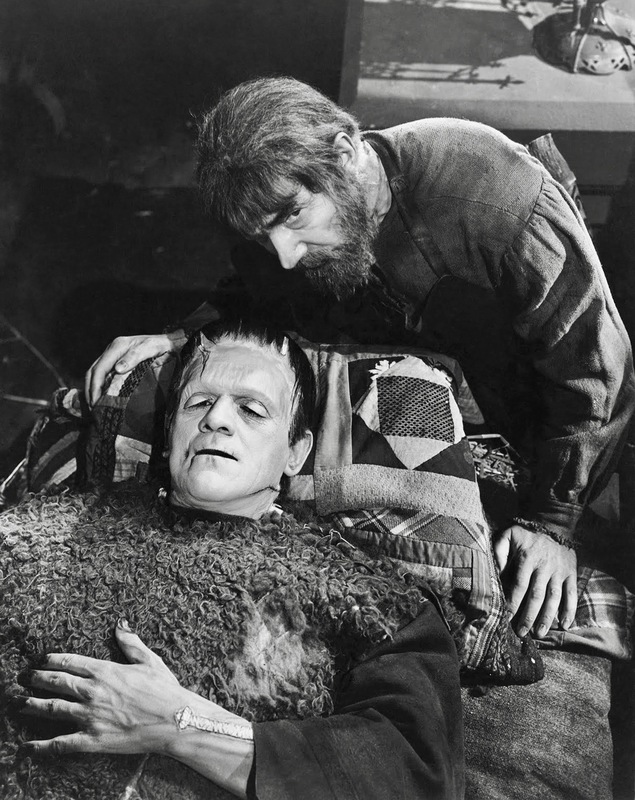 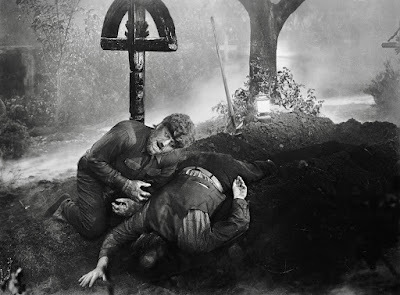 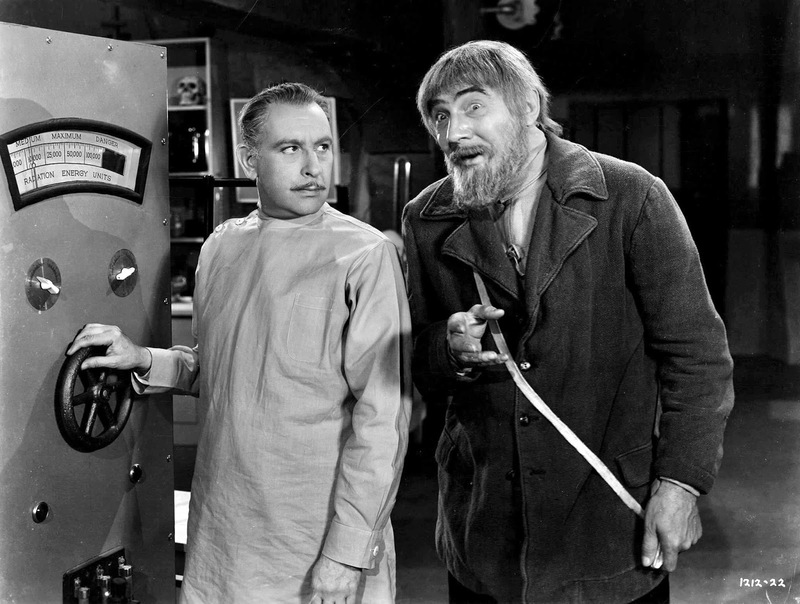 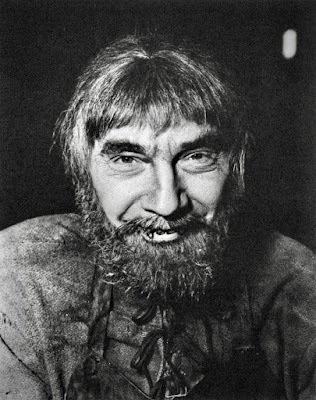 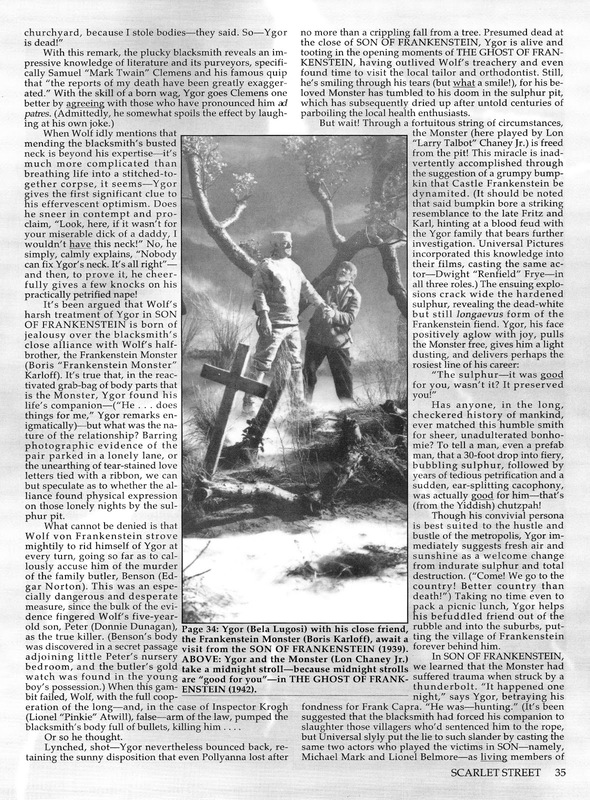 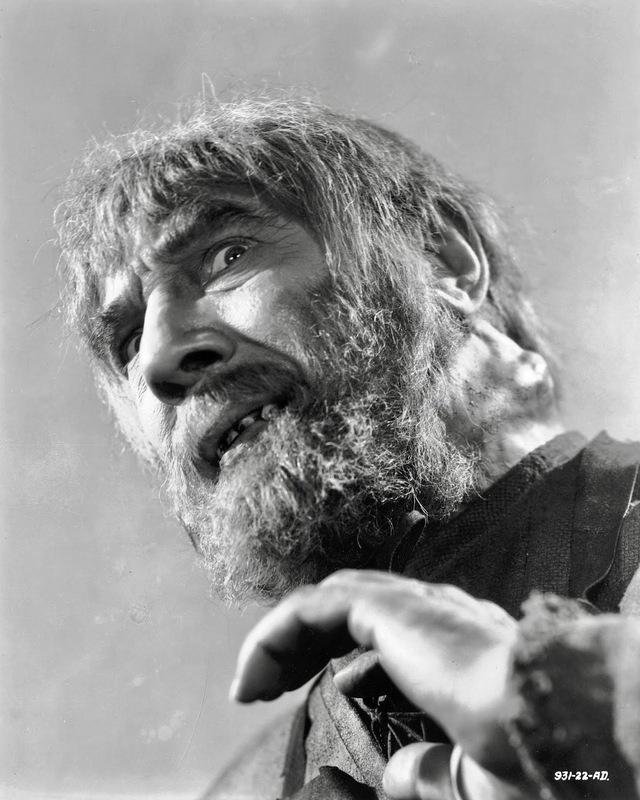 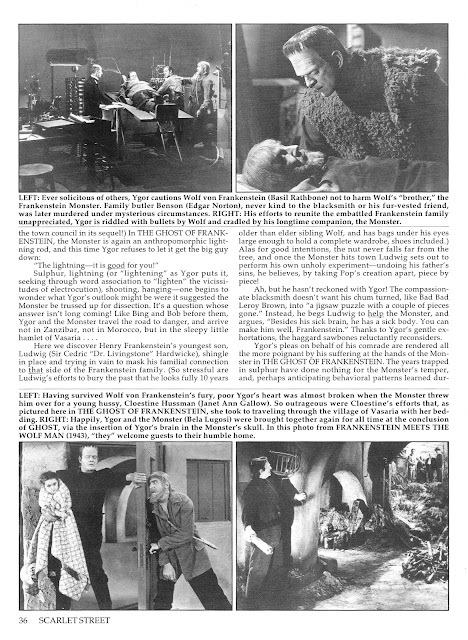 *Bela Lugosi's performance was good enough for him to be brought back as Ygor with Cedric Hardwicke in "The Ghost of Frankenstein" of 1942. 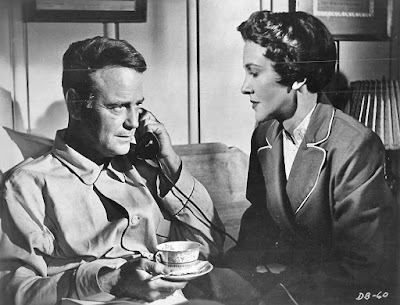 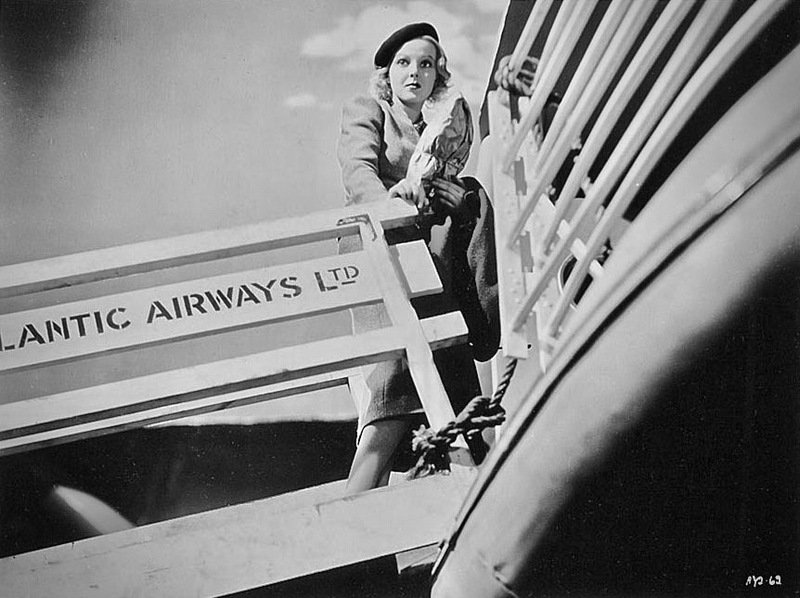 *Curt Siodmak wrote the screenplay for the German film, "F.P.1 Doesn't Answer"  shown here and above. 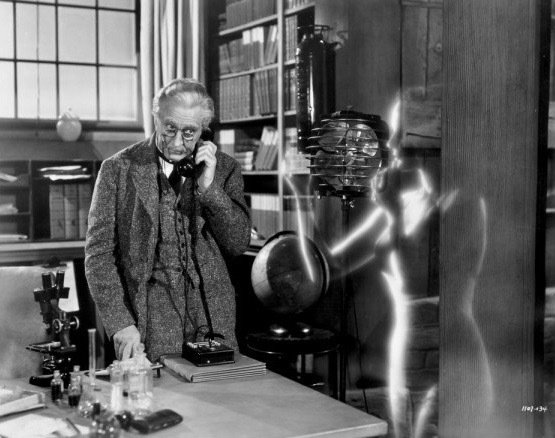 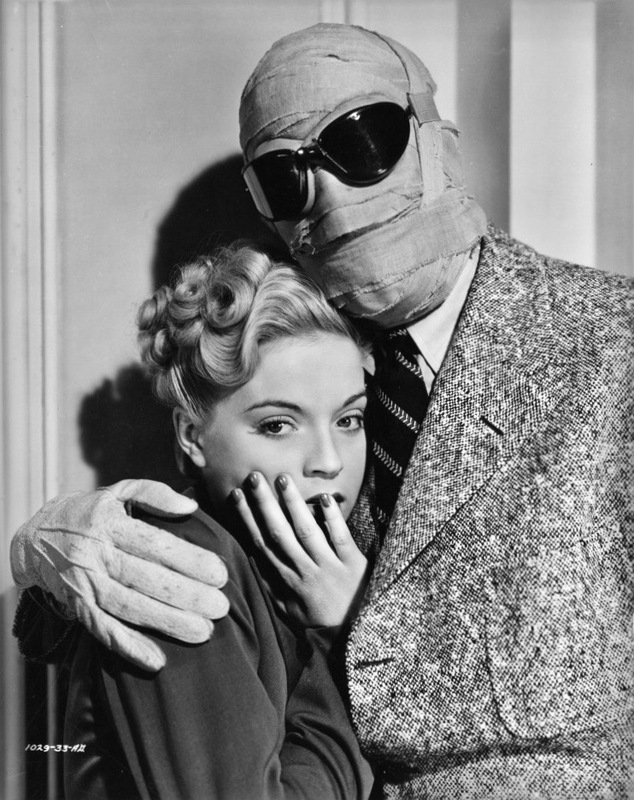 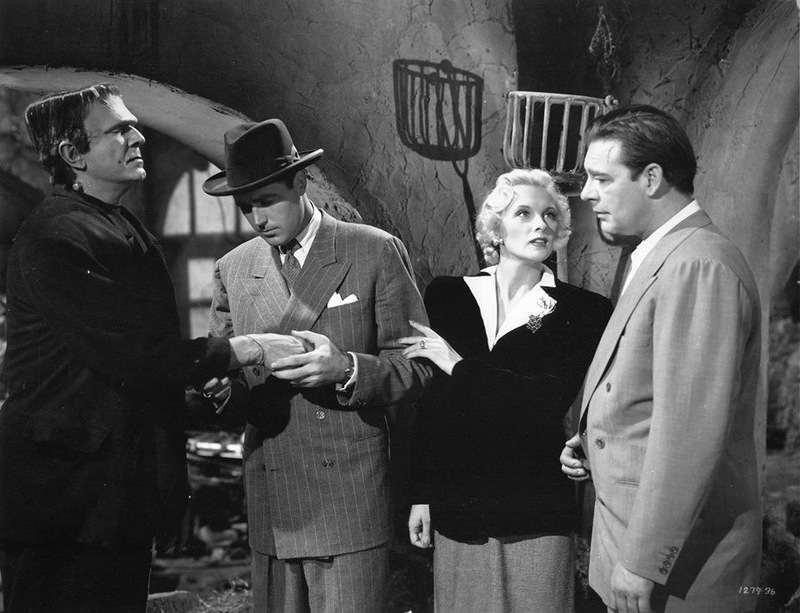 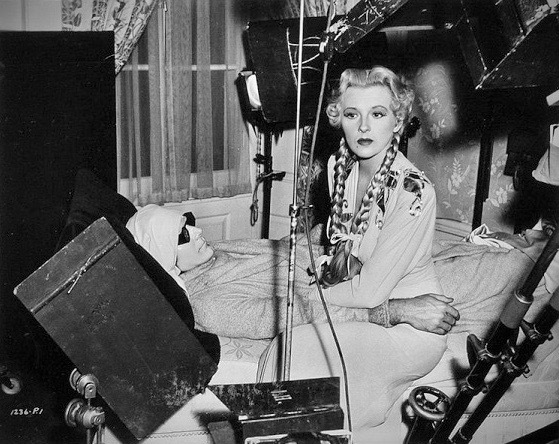 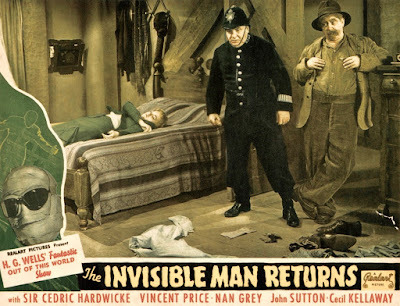 *Curt Siodmak wrote the story and screenplay for "The Invisible Man Returns"  shown here and above. 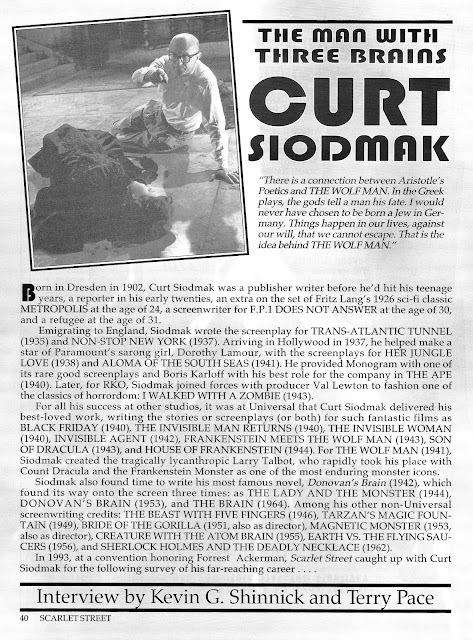 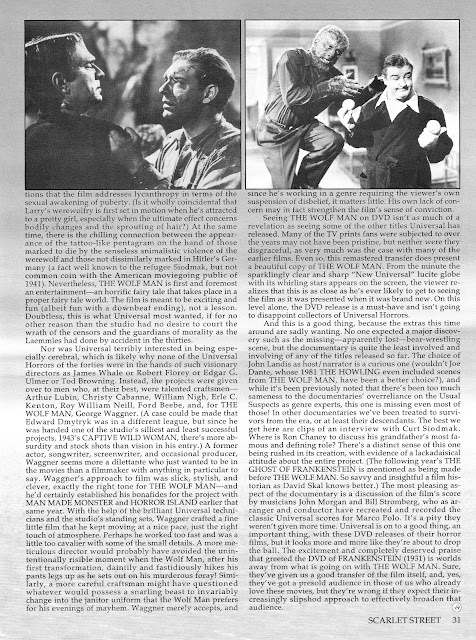 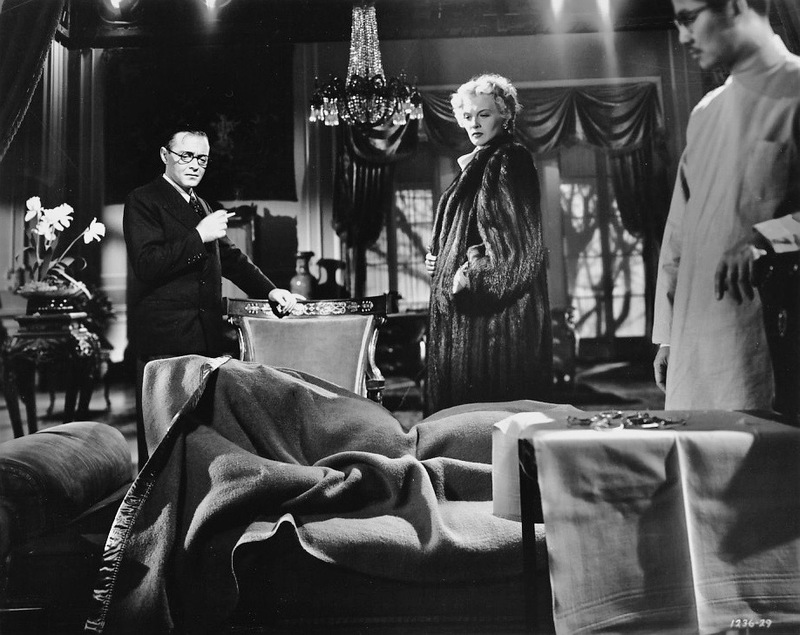 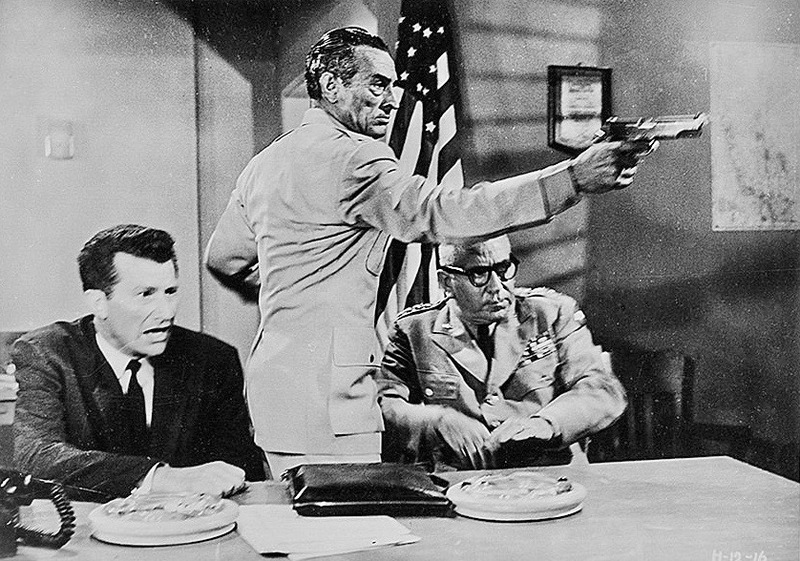 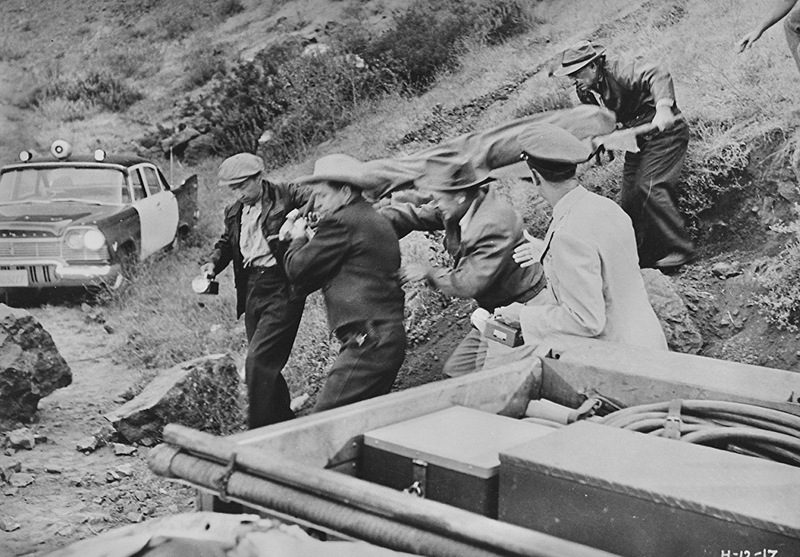 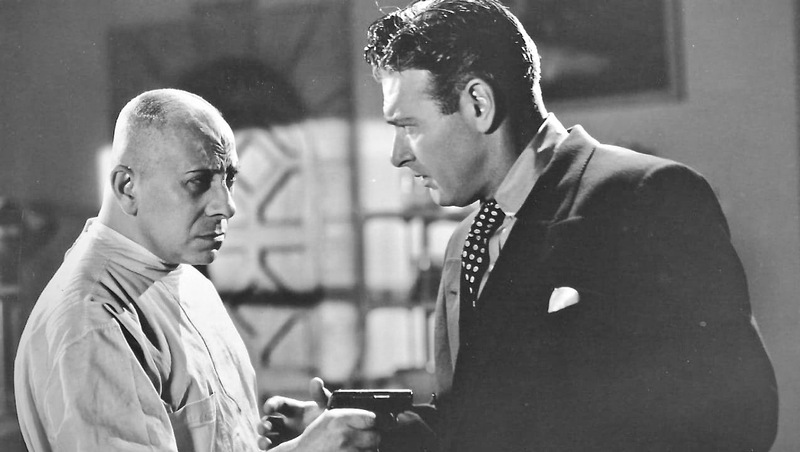 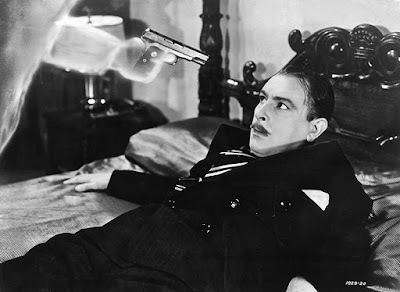 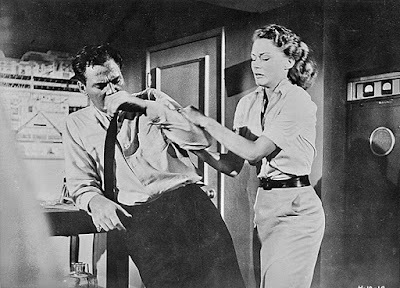 *Curt Siodmak wrote "The Invisible Agent"  shown here and above. 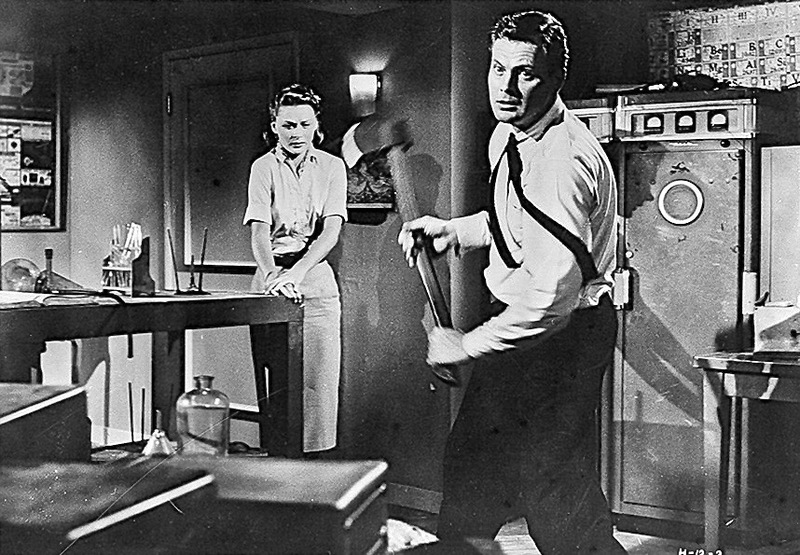 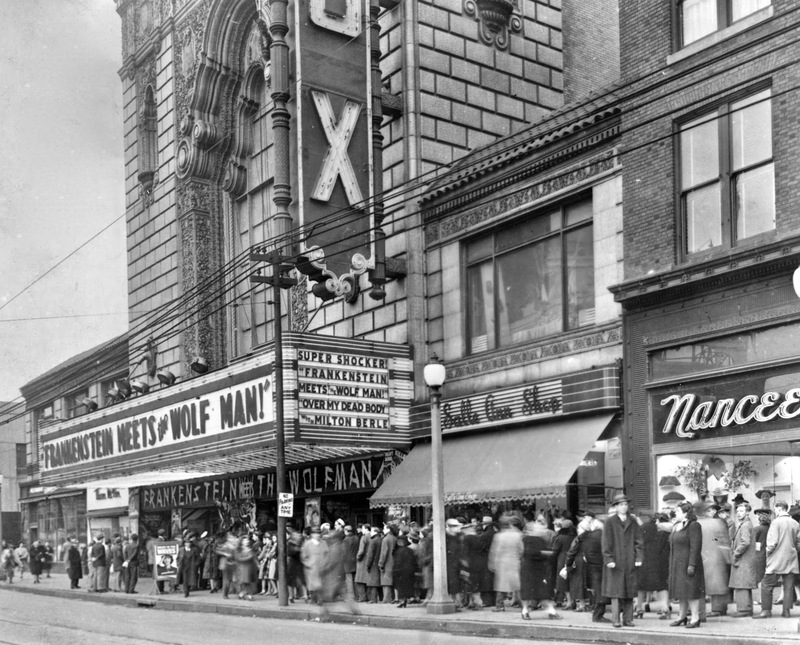 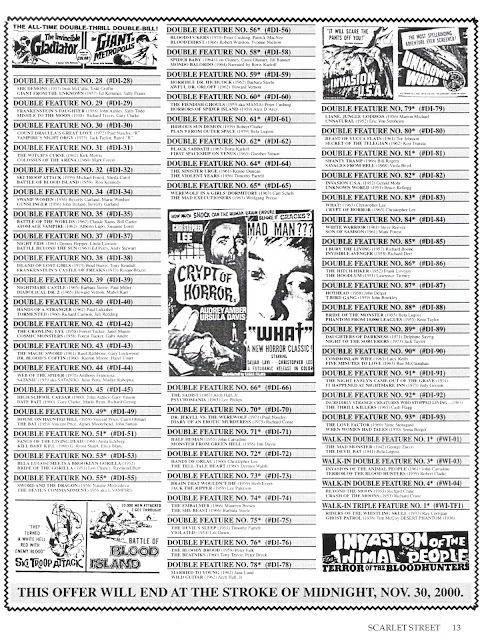 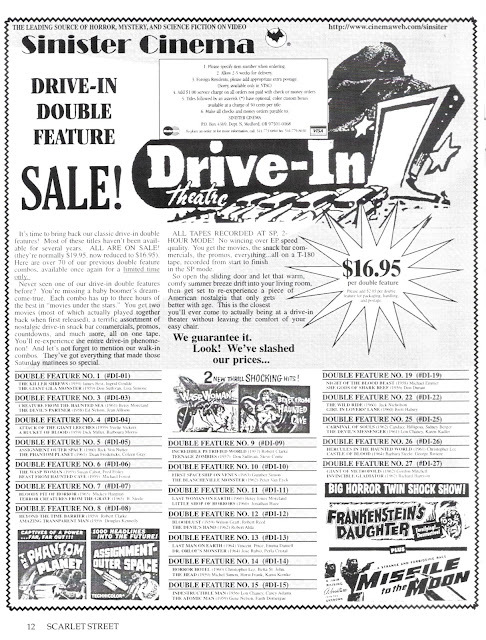 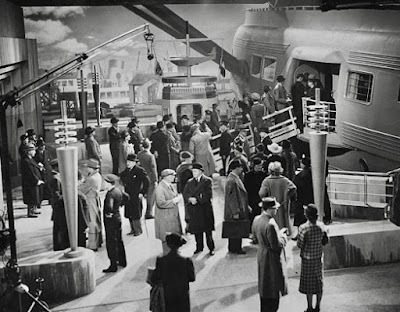 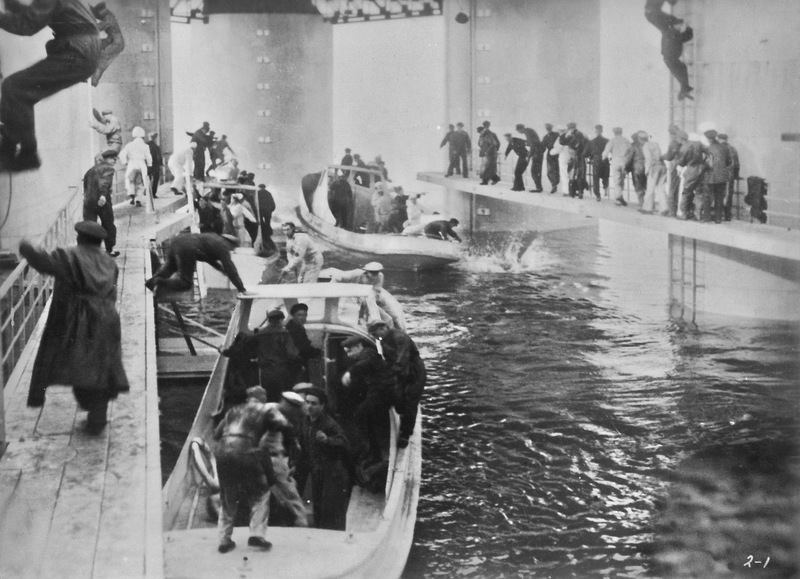 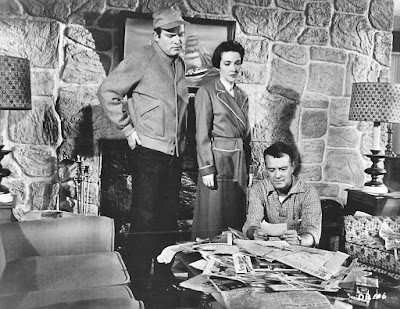 *Curt Siodmak wrote the screenplay for "Black Friday"  shown here and above. 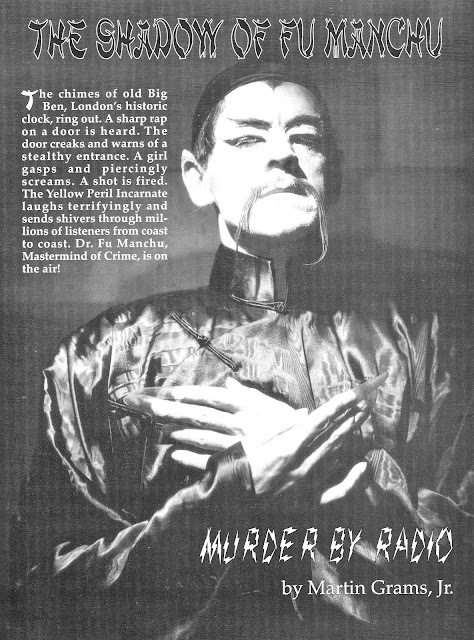 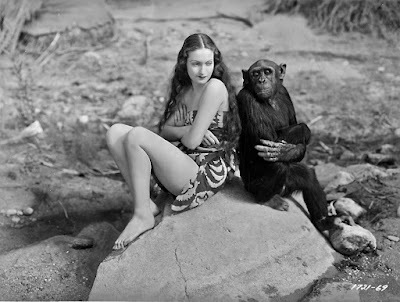 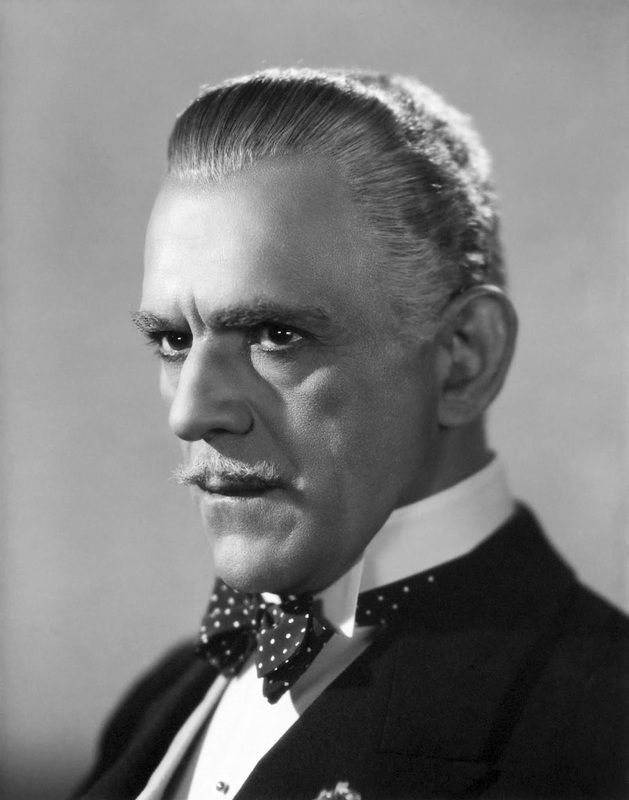 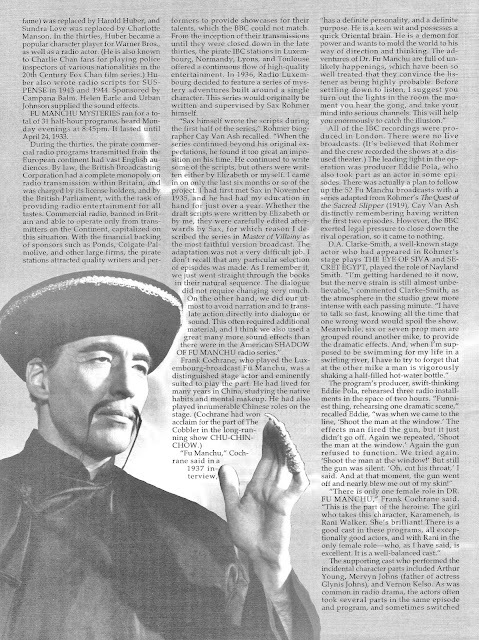 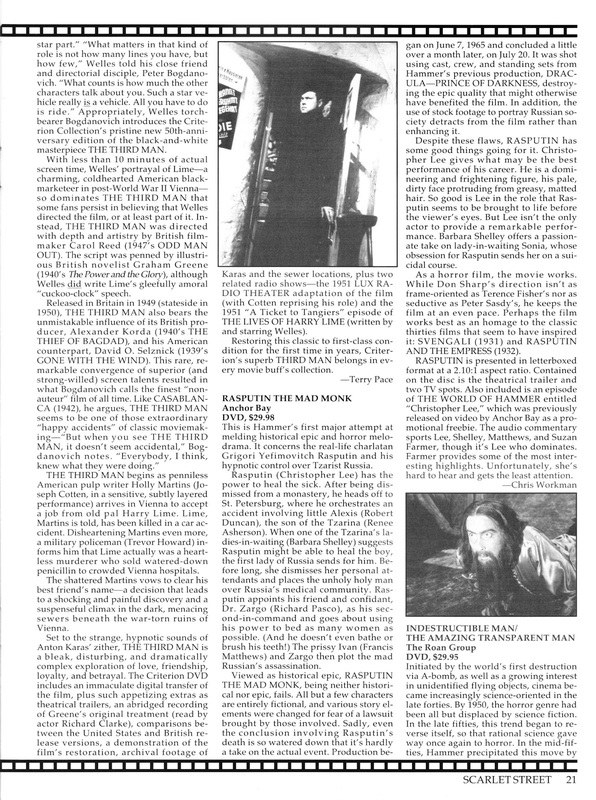 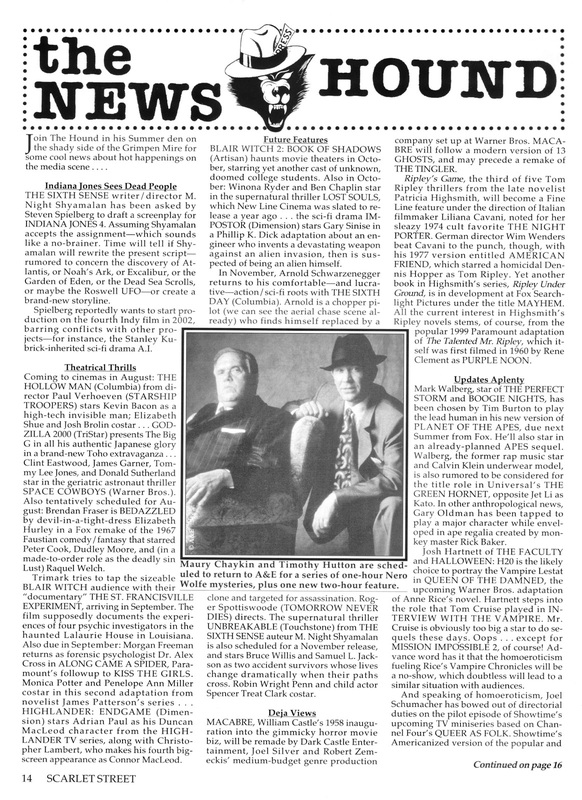 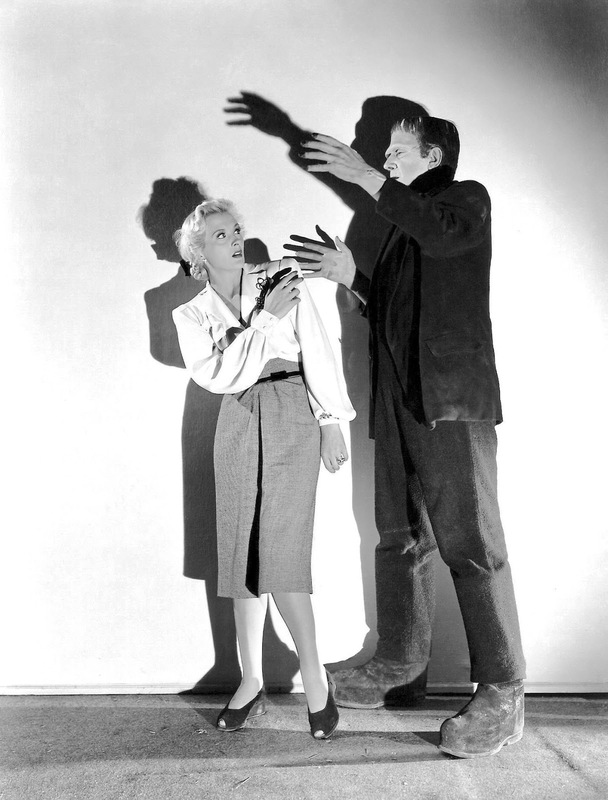 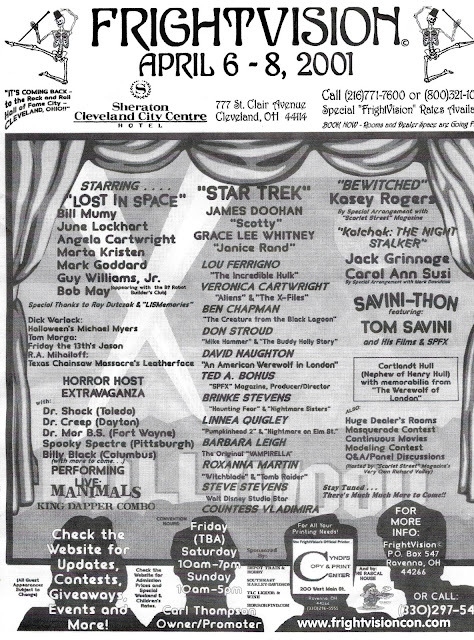 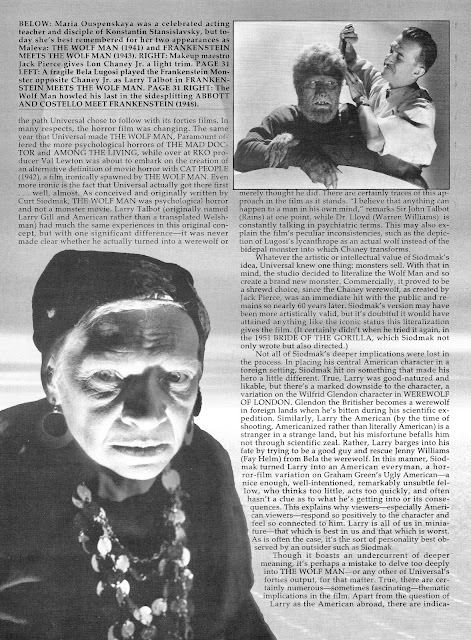 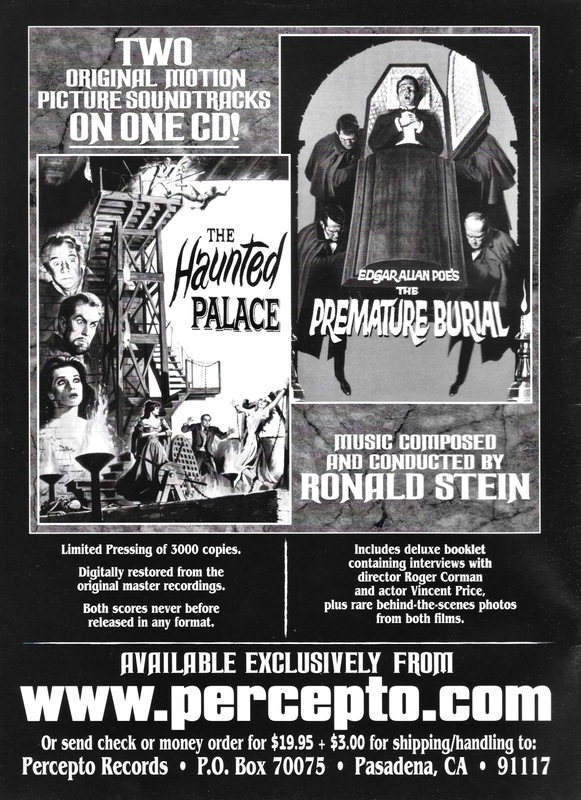 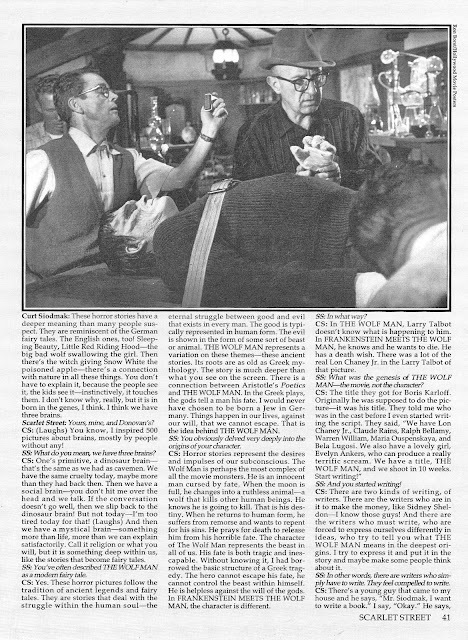 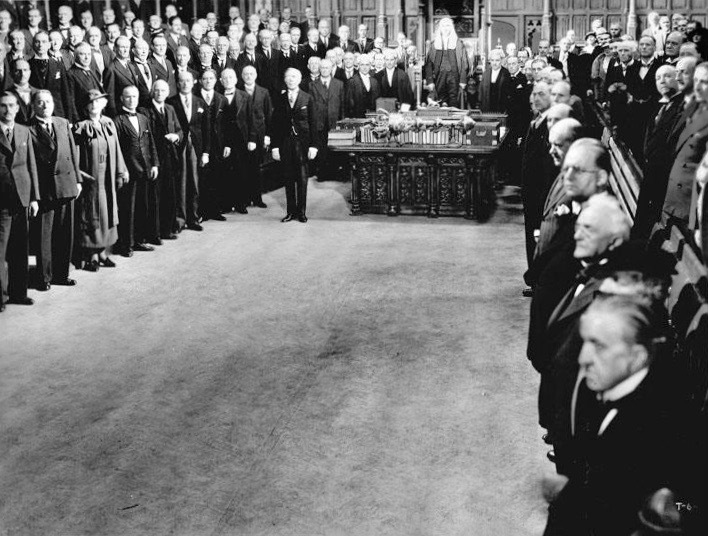 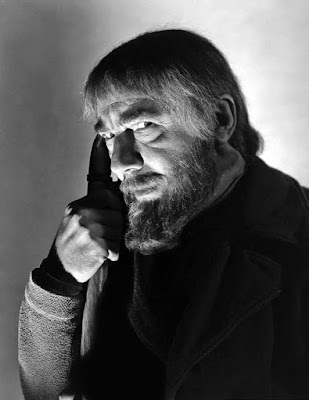 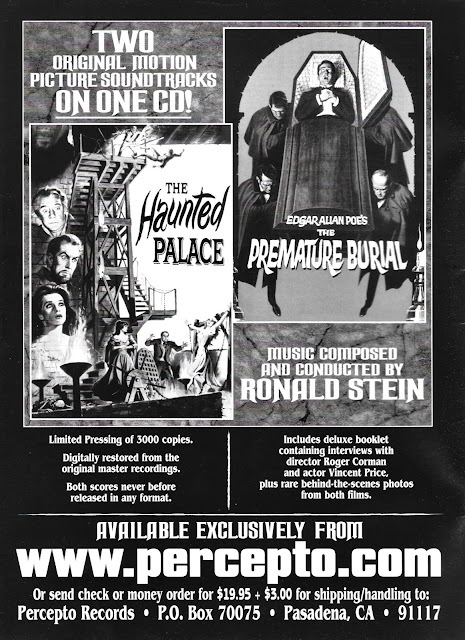 Note: Bela Lugosi is with Manley P. Hall supposedly putting the actor under hypnosis for a scene in the film. 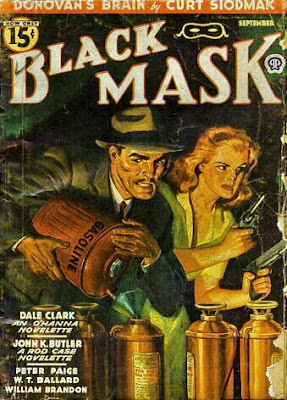 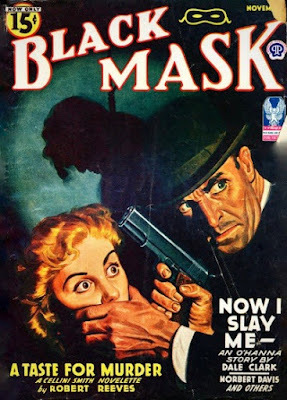 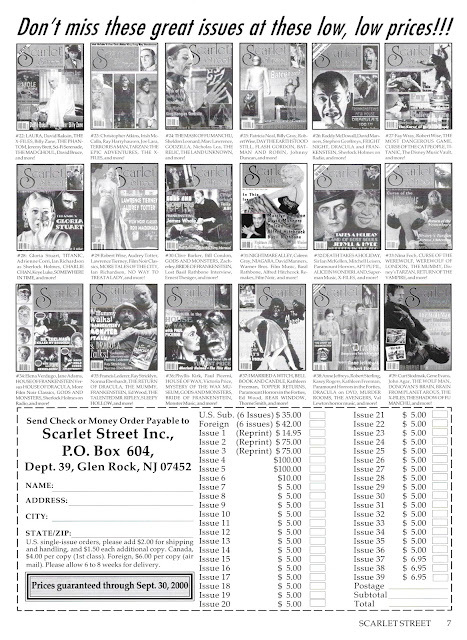 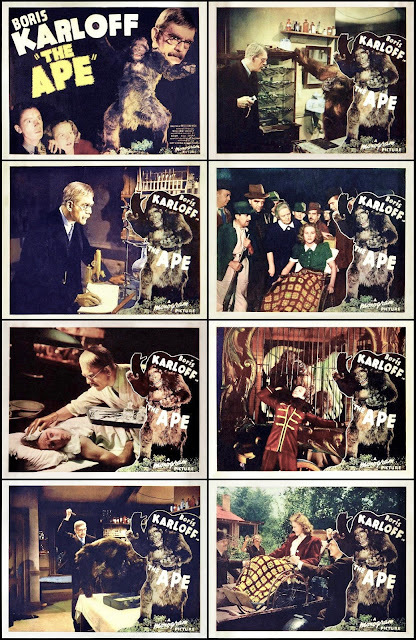 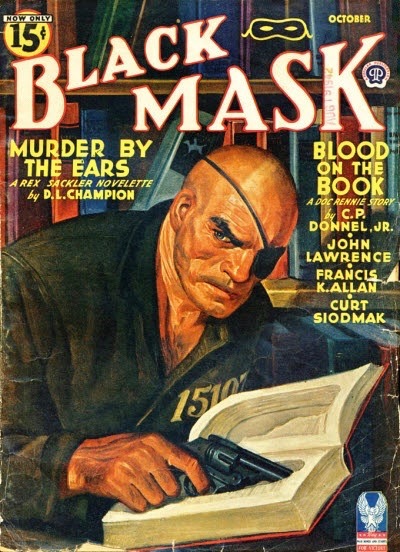 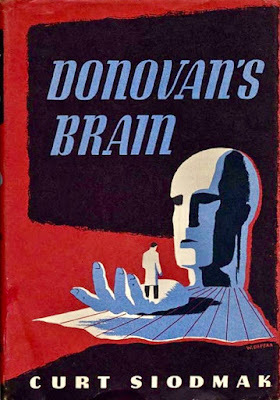 *Curt Siodmak's novel, "Donovan's Brain" was first serialized in the magazine "Black Mask" Issues #5 (September 1942) through #7 (November 1942) and then published in its entirety as a novel in 1943, as shown above. 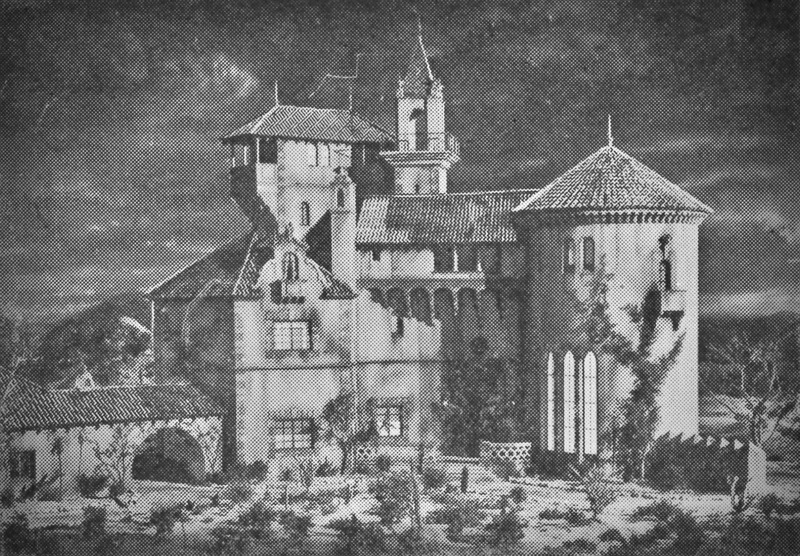 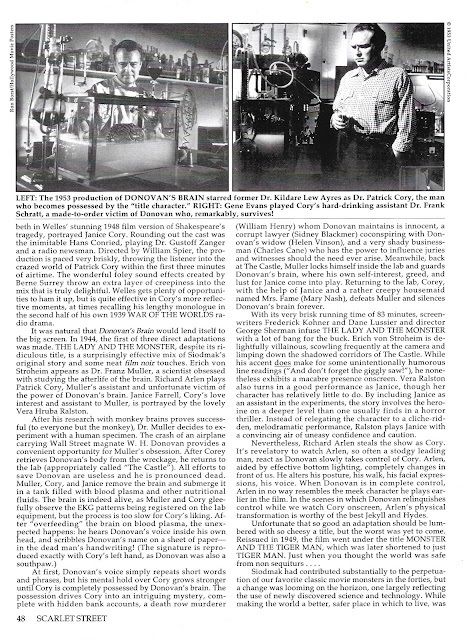 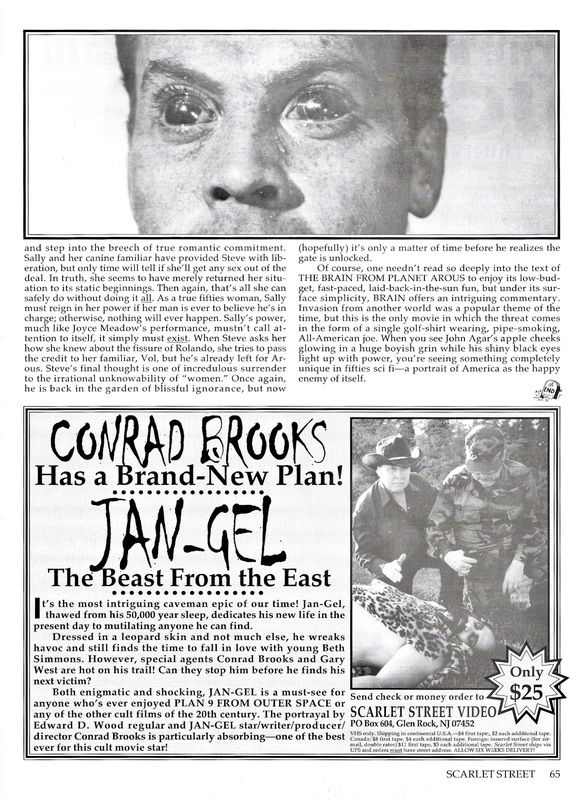 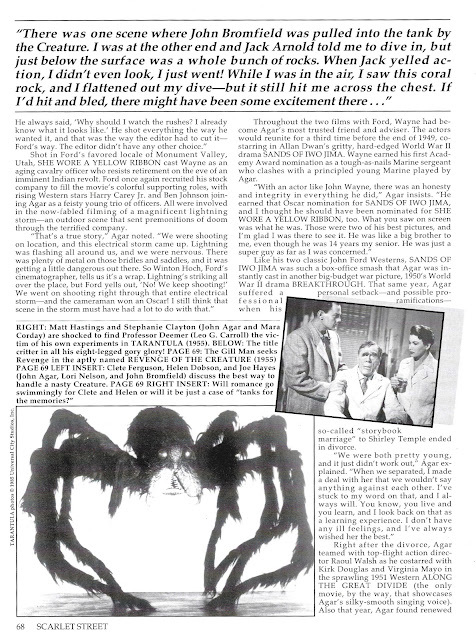 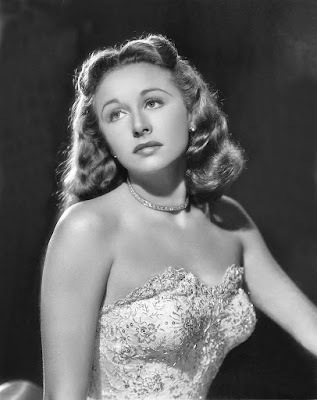 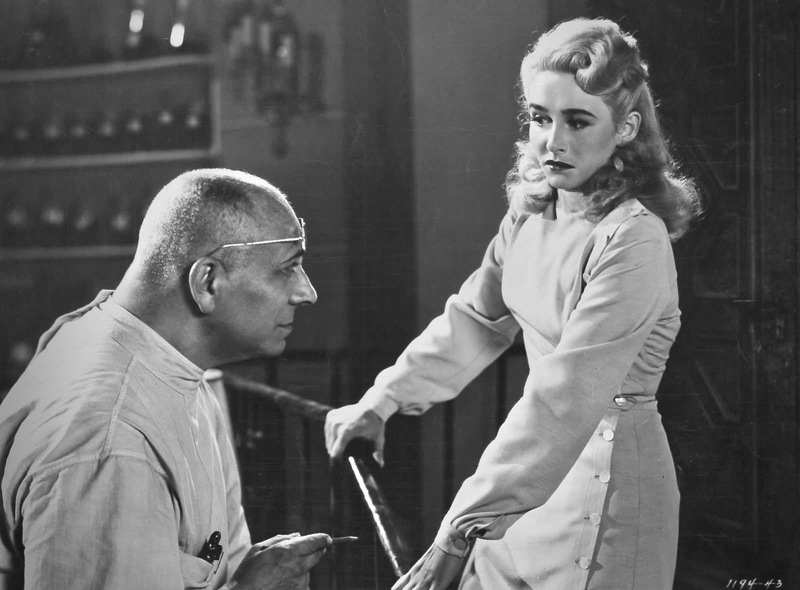 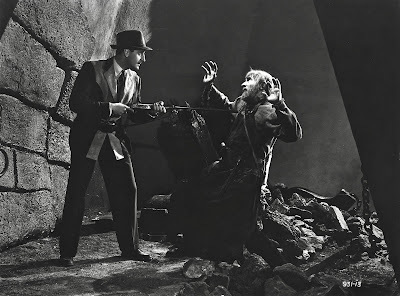 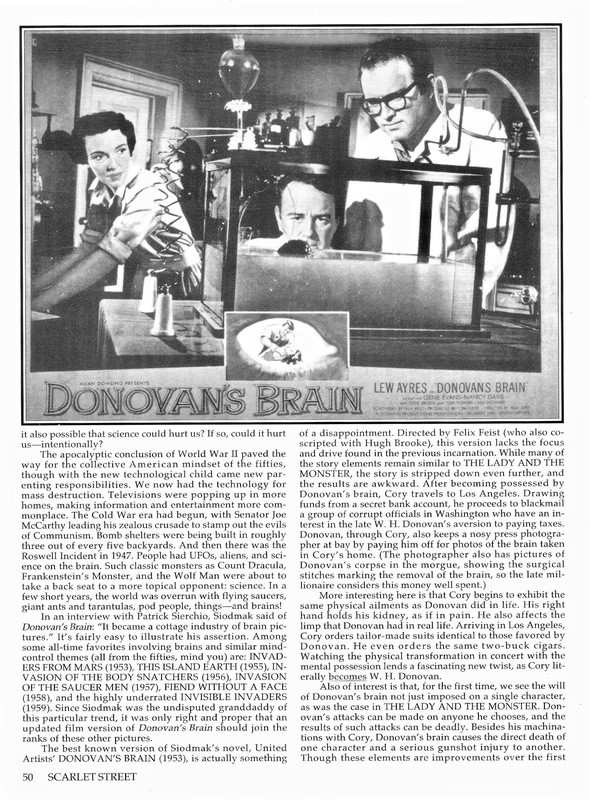 *"Donovan's Brain" first saw a Hollywood adaptation with "The Lady and the Monster"  with Eric Von Stroheim and Vera Ralston. 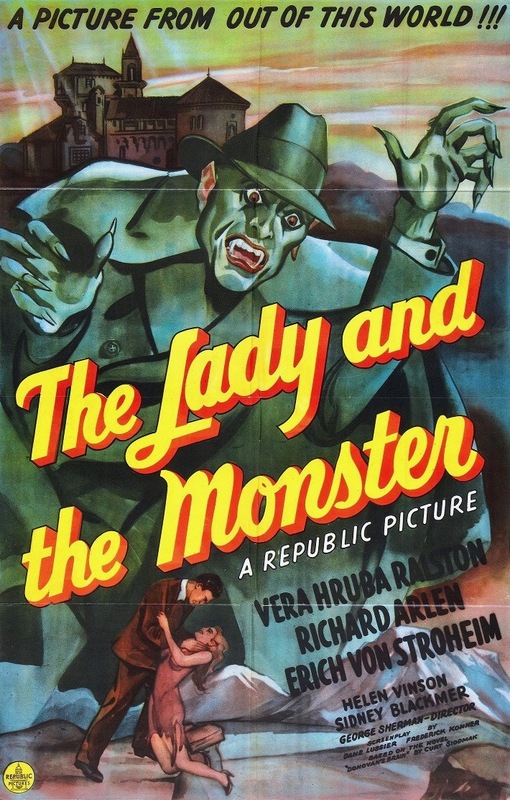 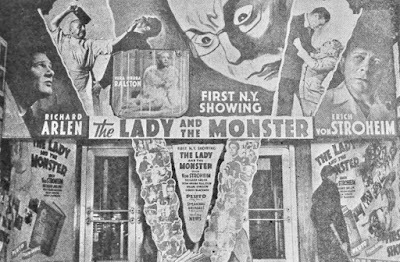 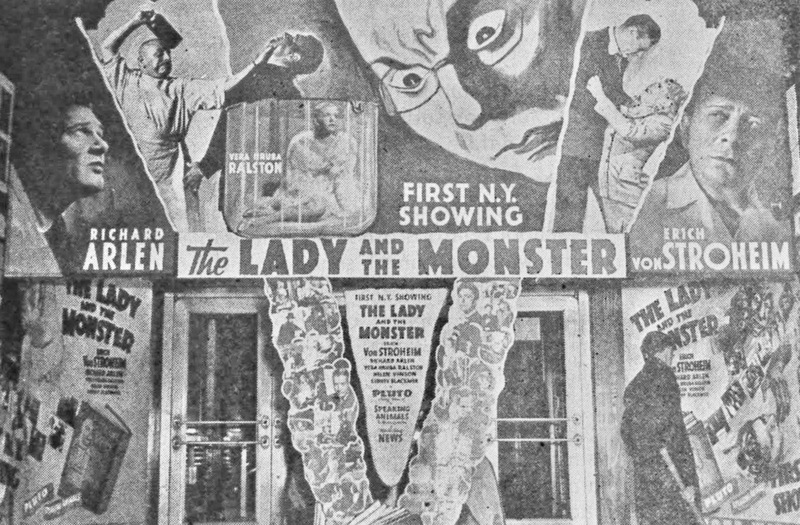 *"The Lady and the Monster"  with Richard Arlen, Vera Ralston and Eric Von Stroheim. 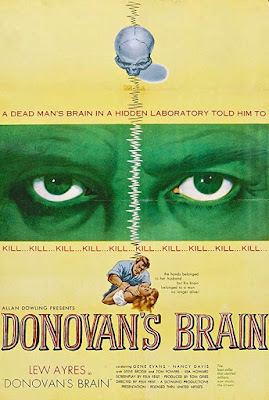 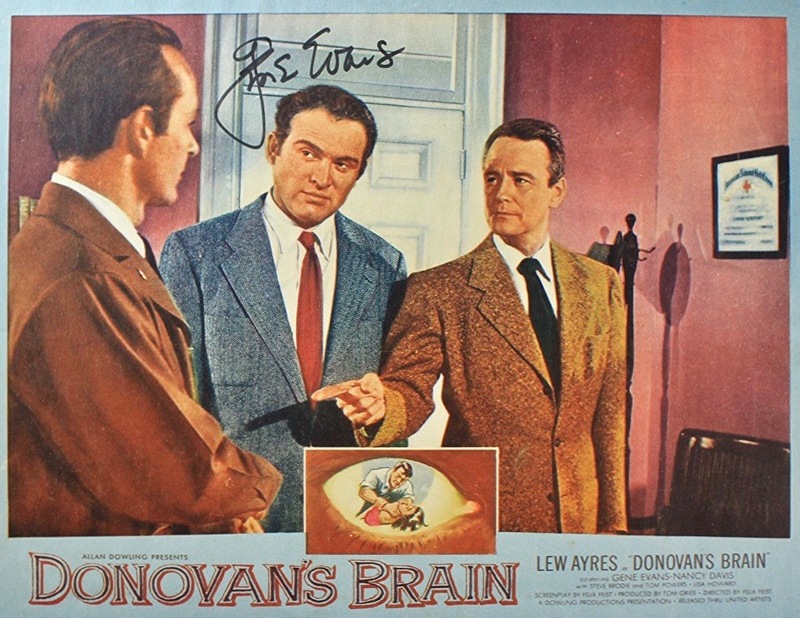 *The title "Donovan's Brain" was finally used in the 1953 motion picture adaptation starring Lew Ayres, Gene Evans and Nancy Davis. 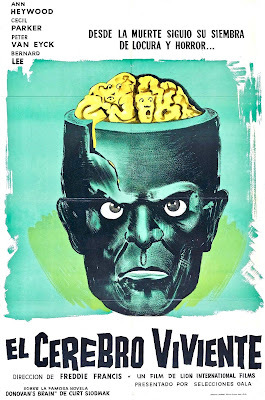 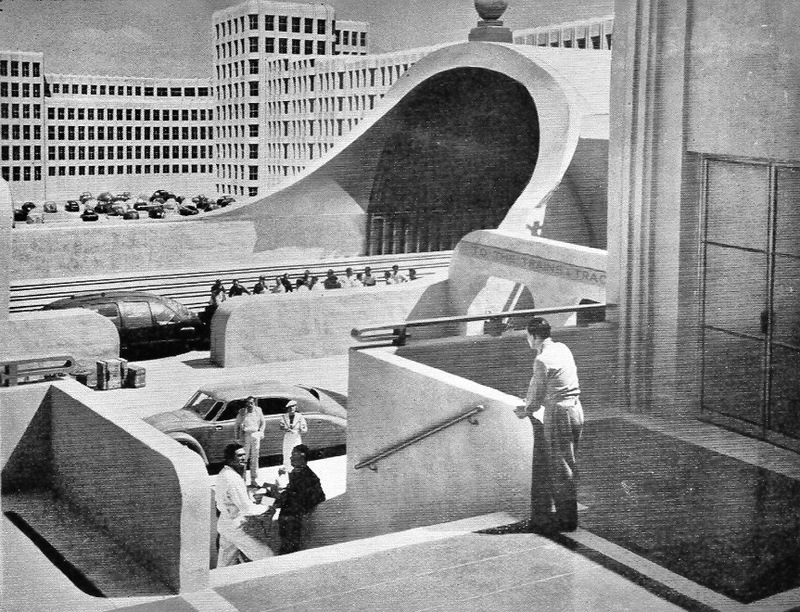 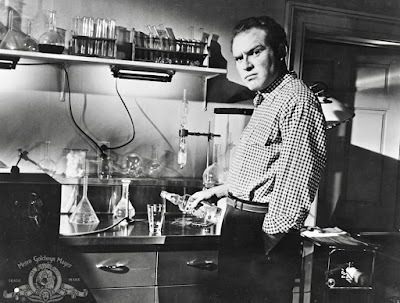 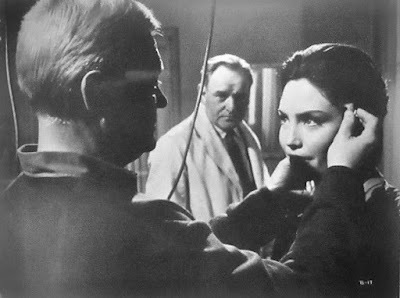 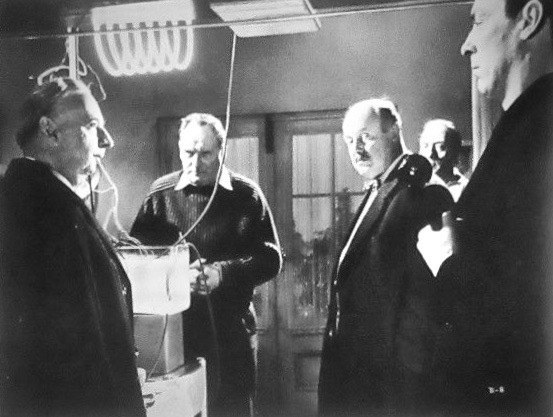 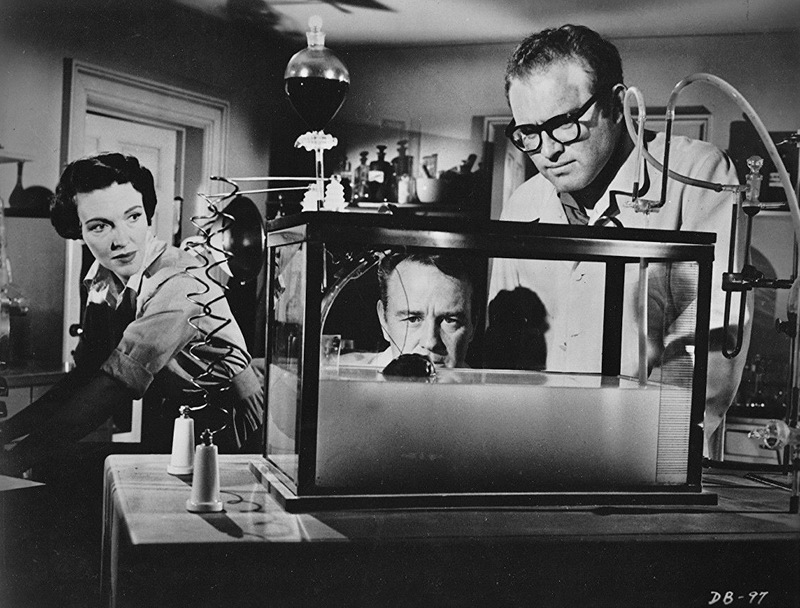 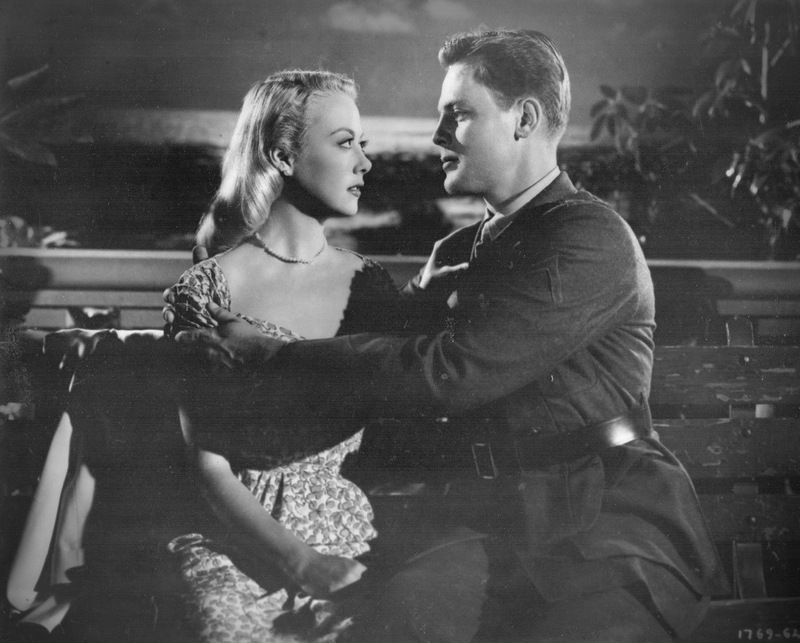 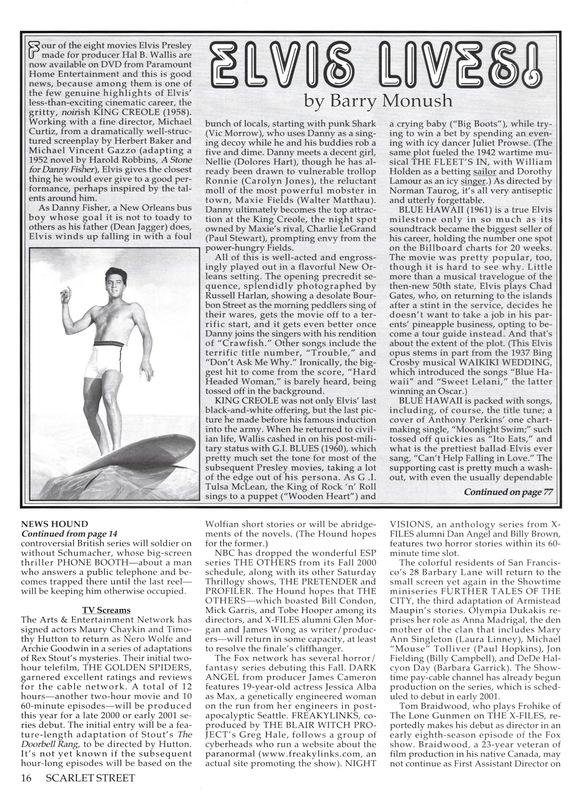 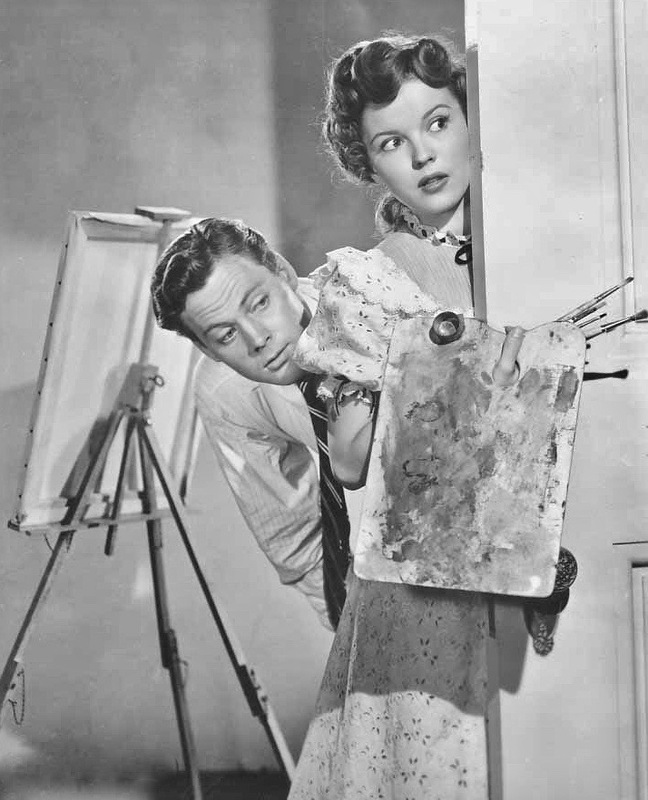 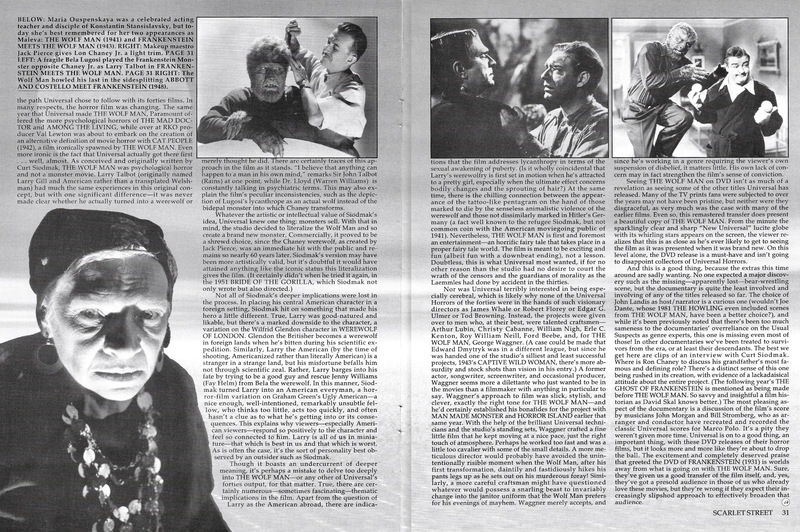 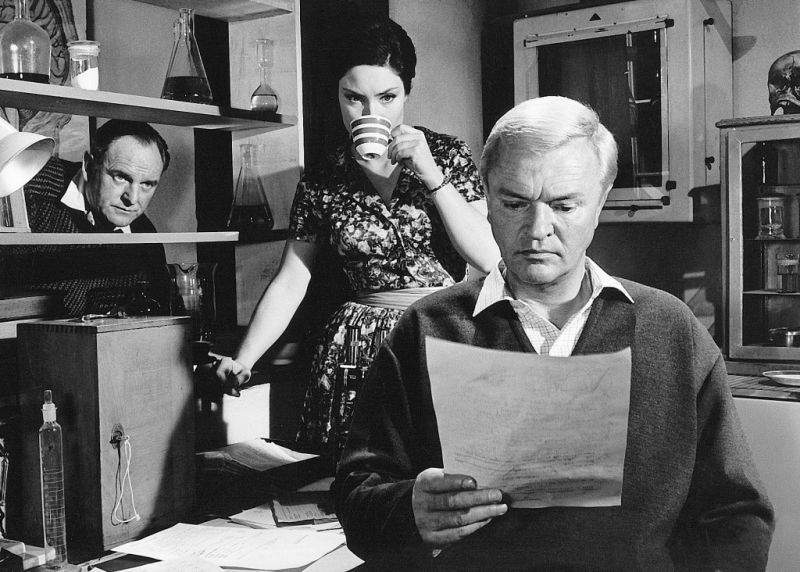 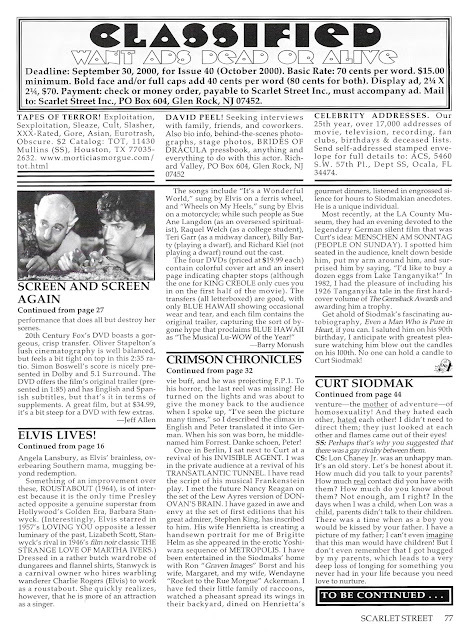 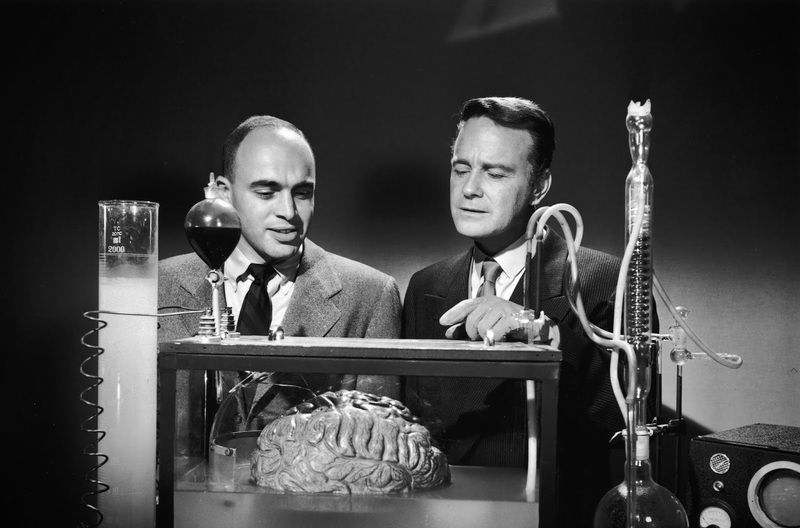 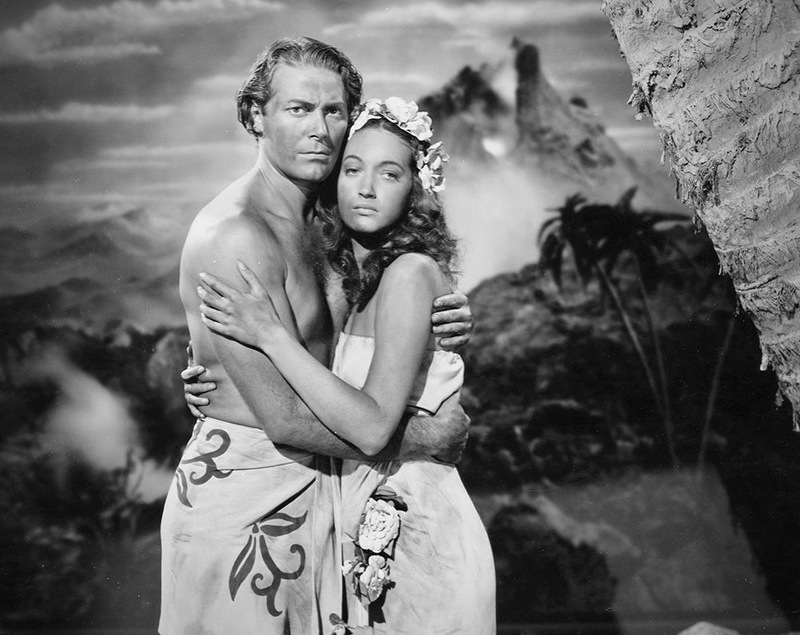 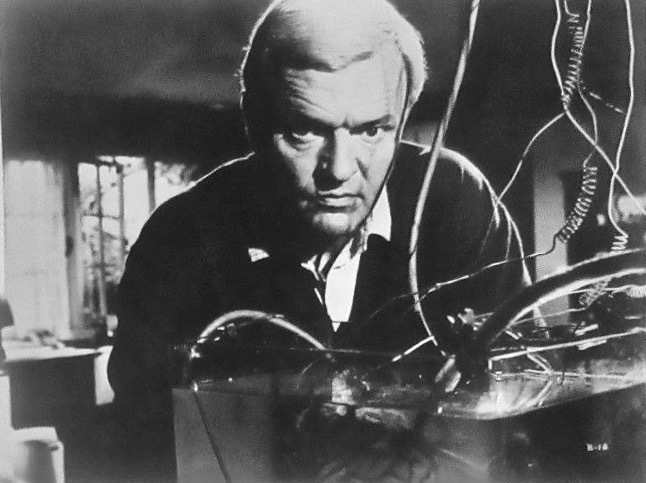 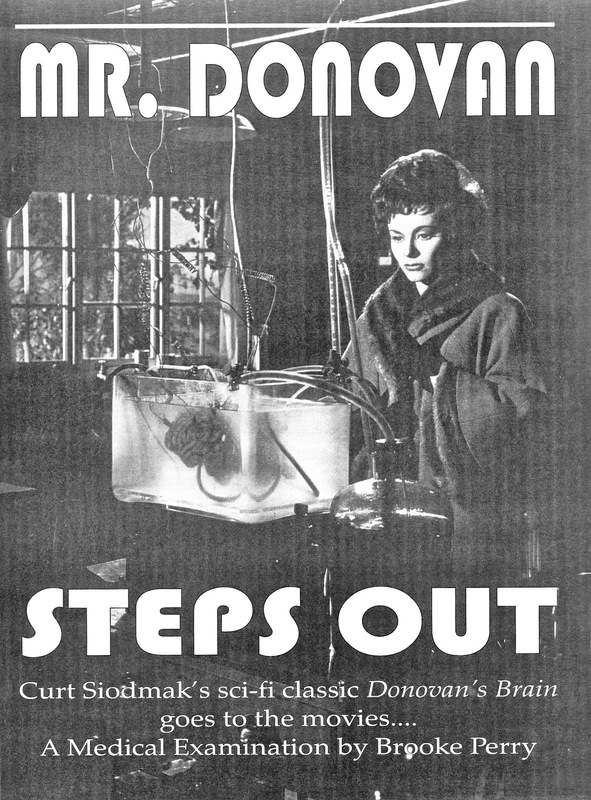 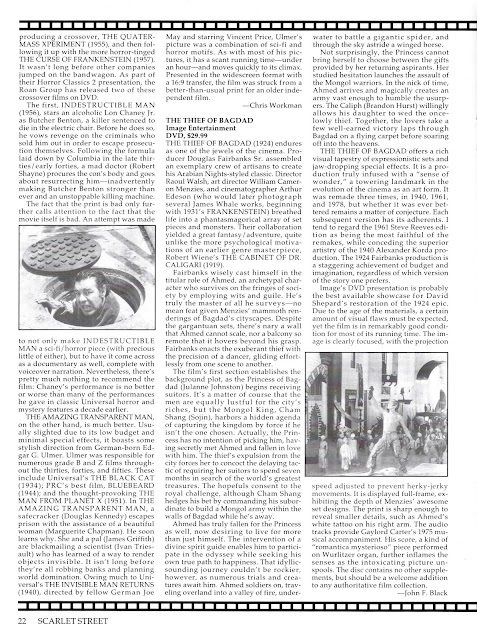 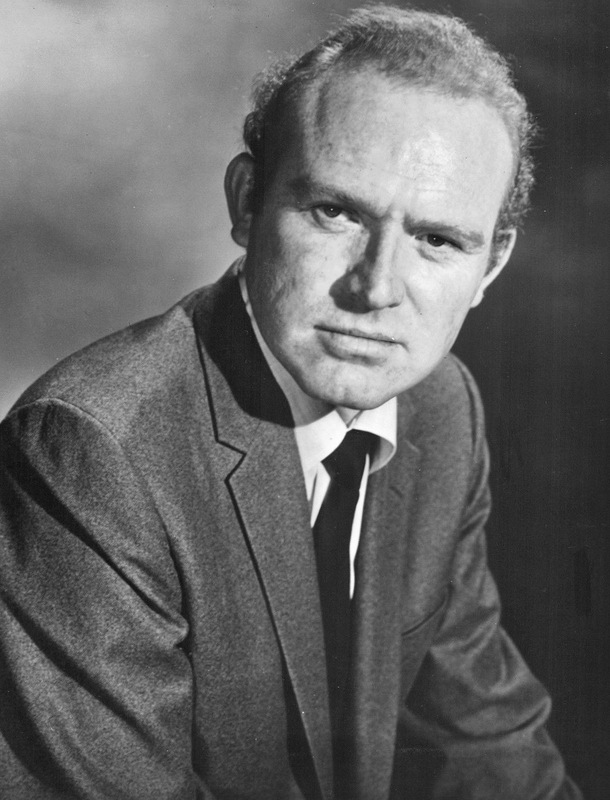 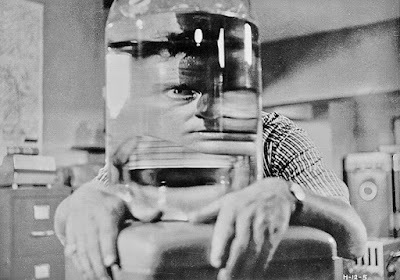 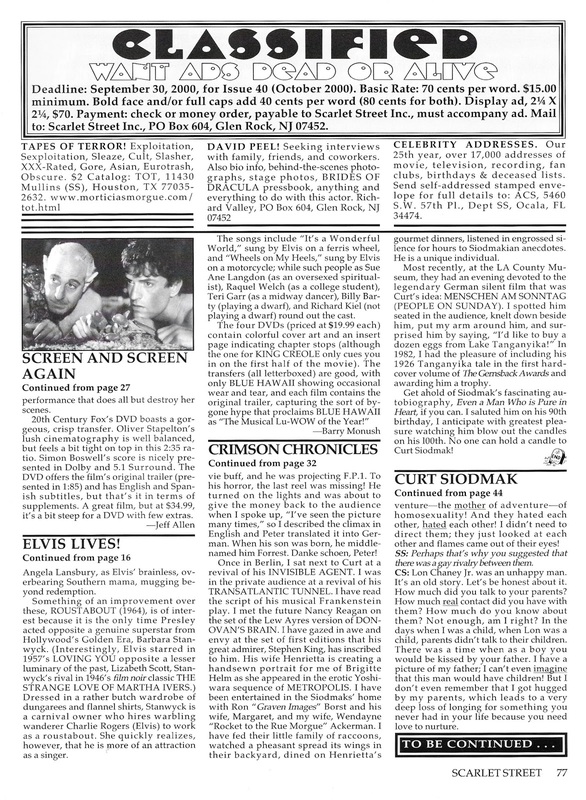 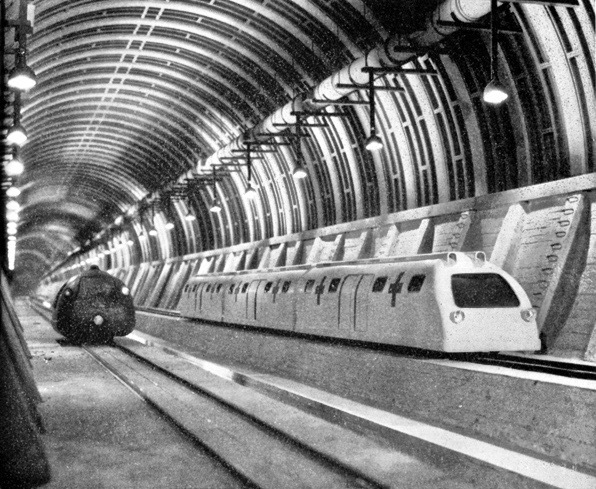 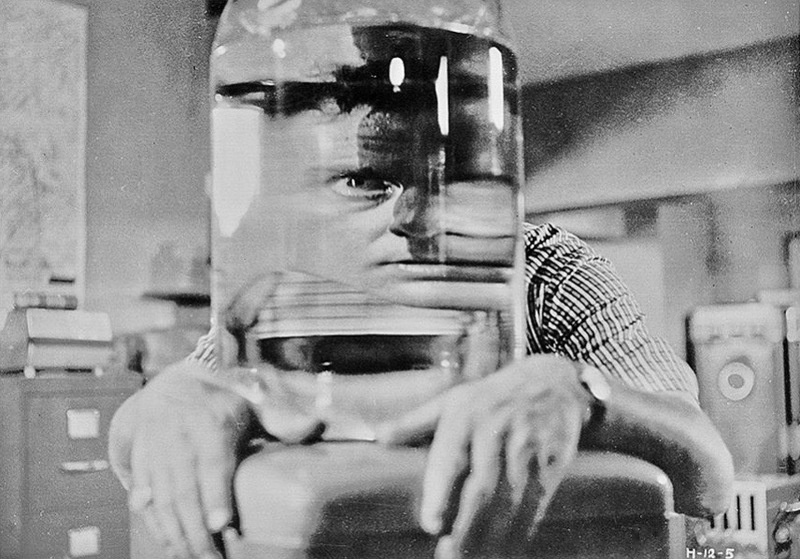 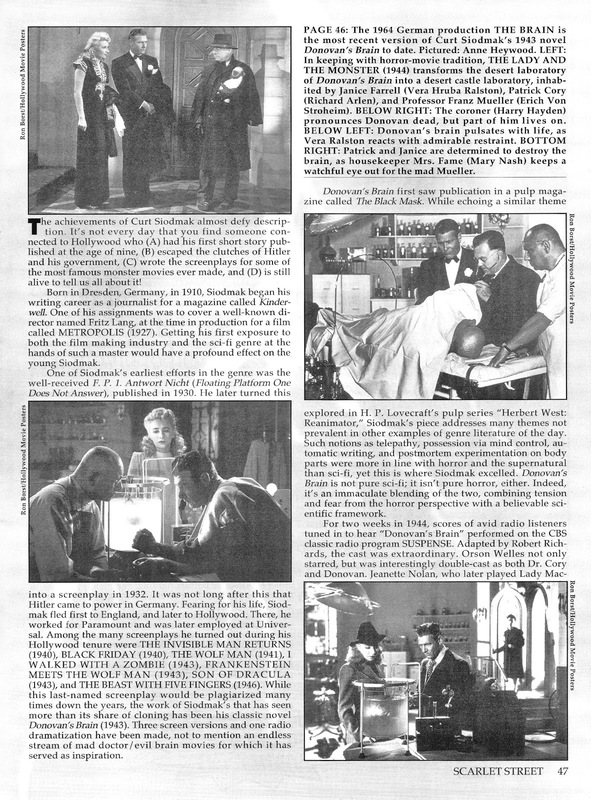 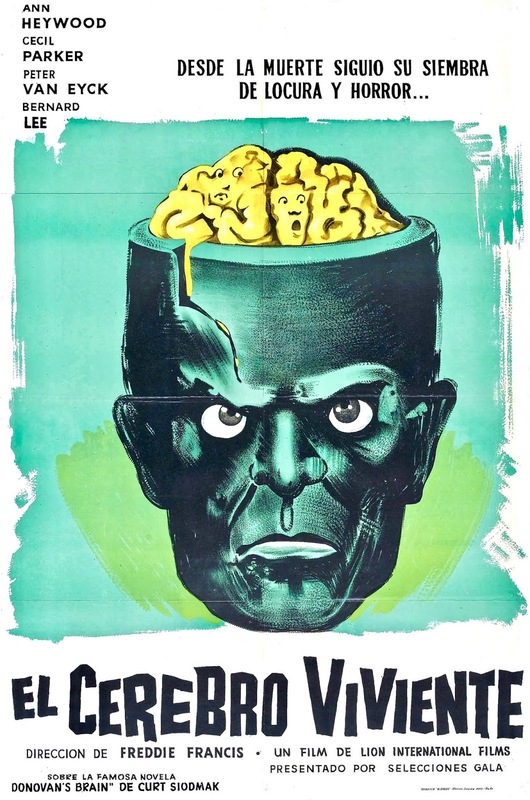 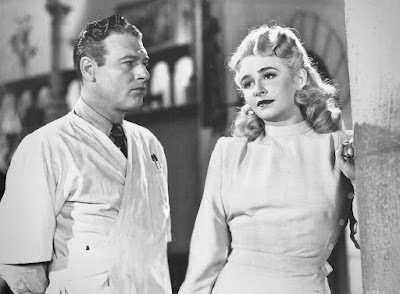 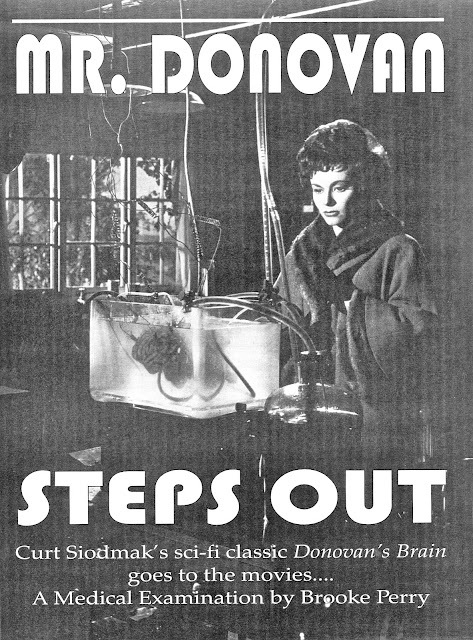 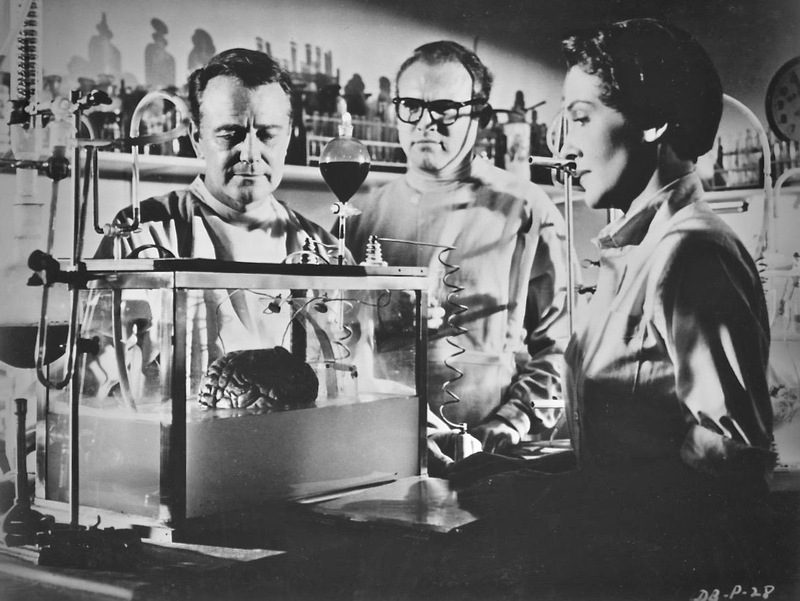 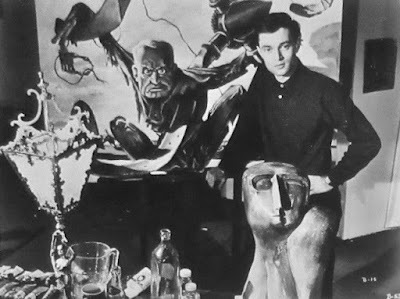 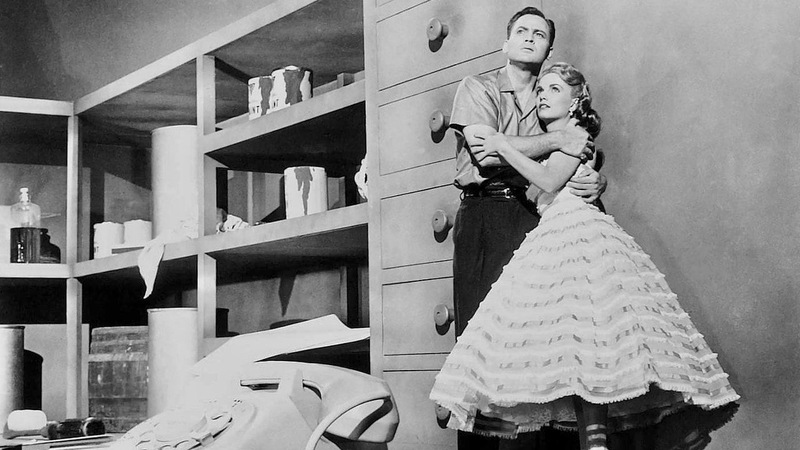 *"The Brain"  became the third film to use Curt Siodmak's story for inspiration. 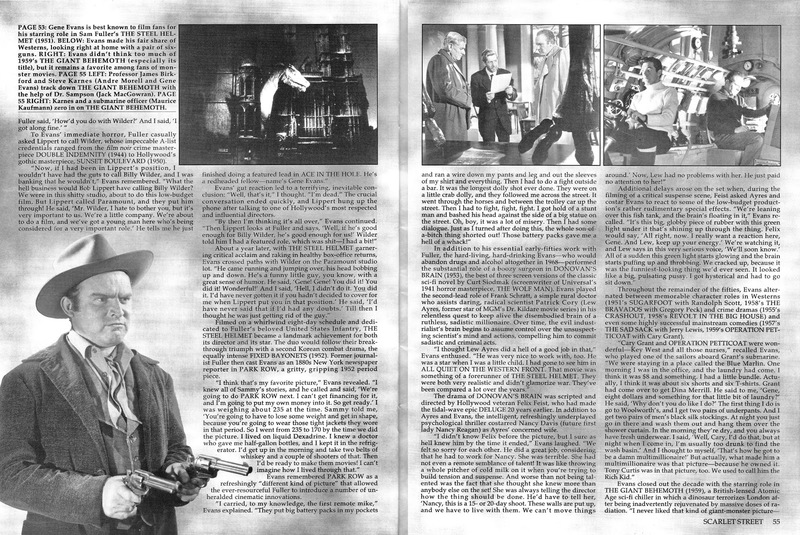 *Gene Evans in "A Knife for the Ladies"  middle photo, and "Gold of the Seven Saints'  with Roger Moore below. 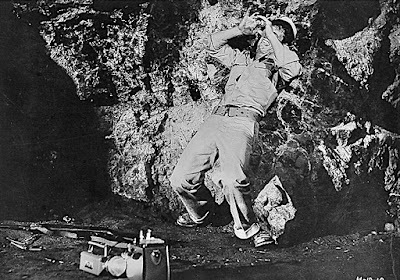 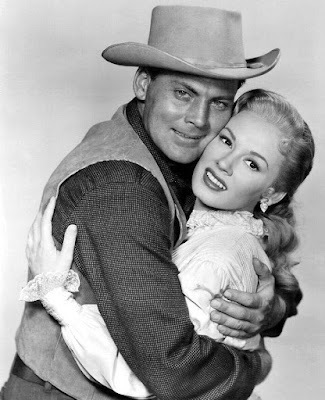 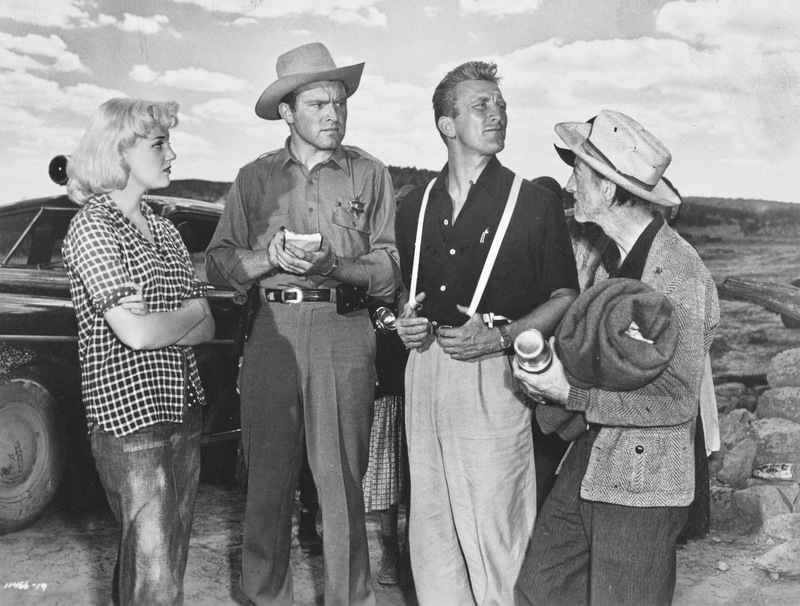 *Gene Evans in "Ace in the Hole"  with Jan Sterling and Kirk Douglas. 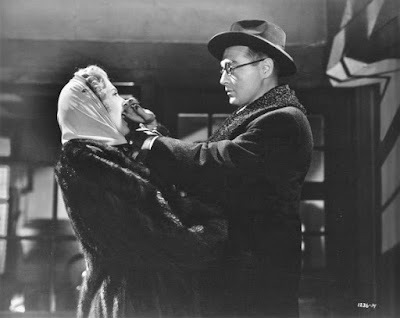 *Gene Evans in "I Was an American Spy"  with Ann Dvorak. 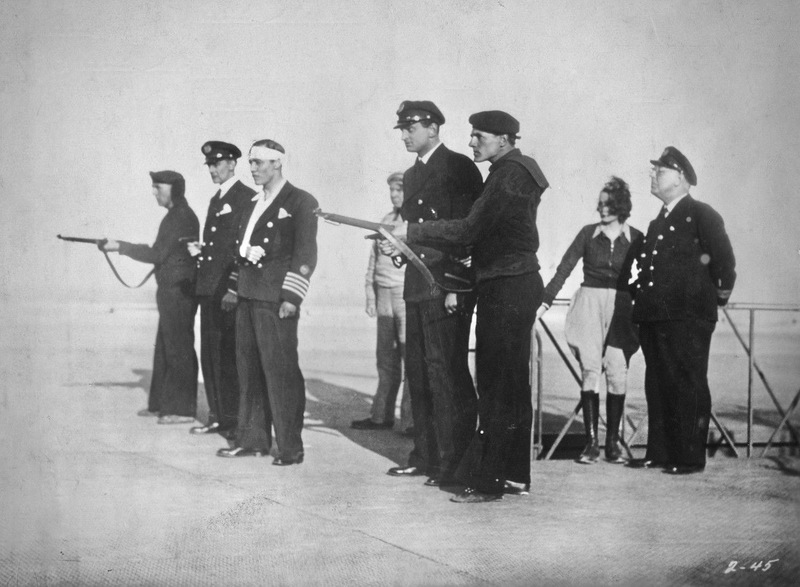 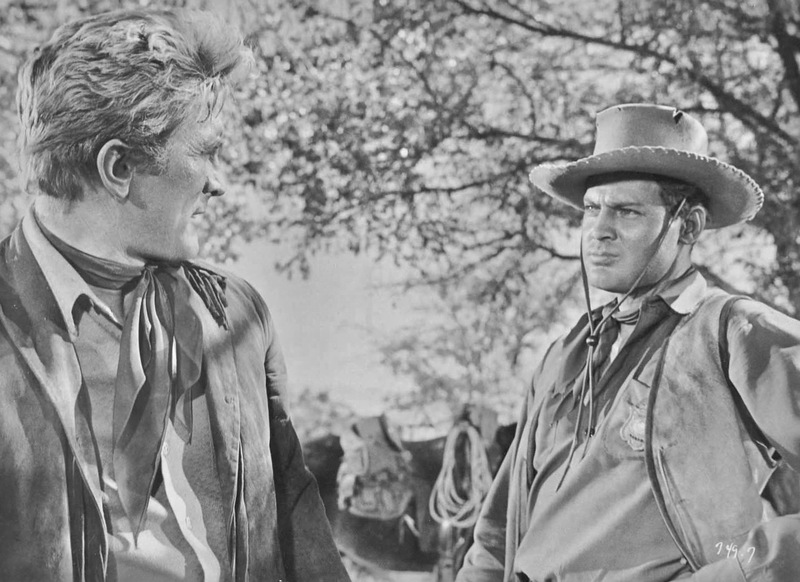 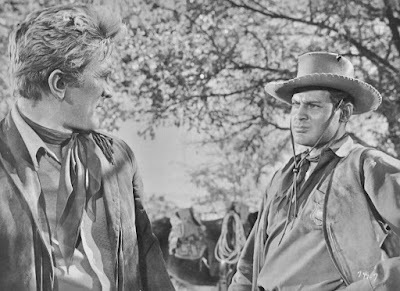 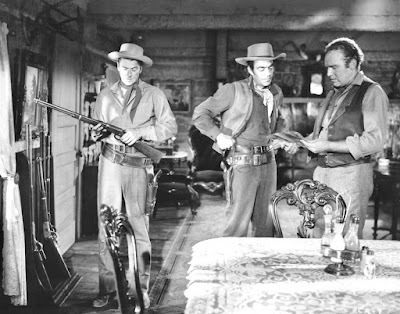 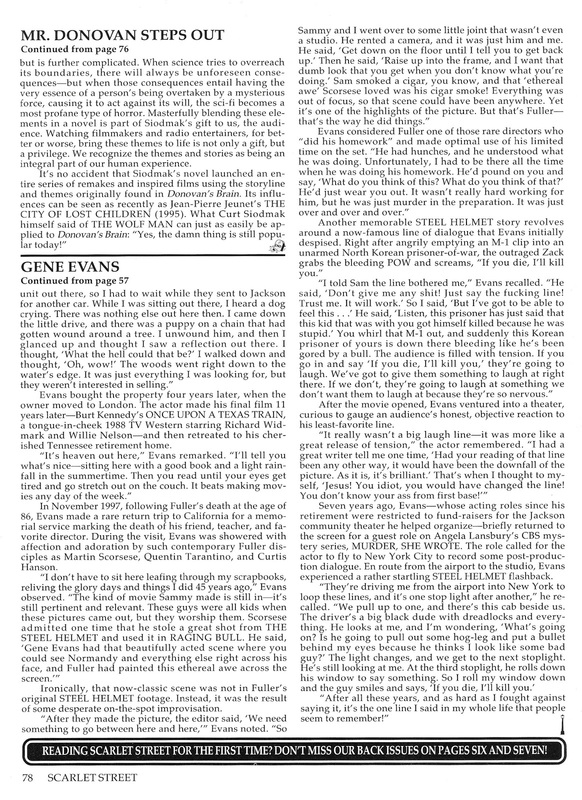 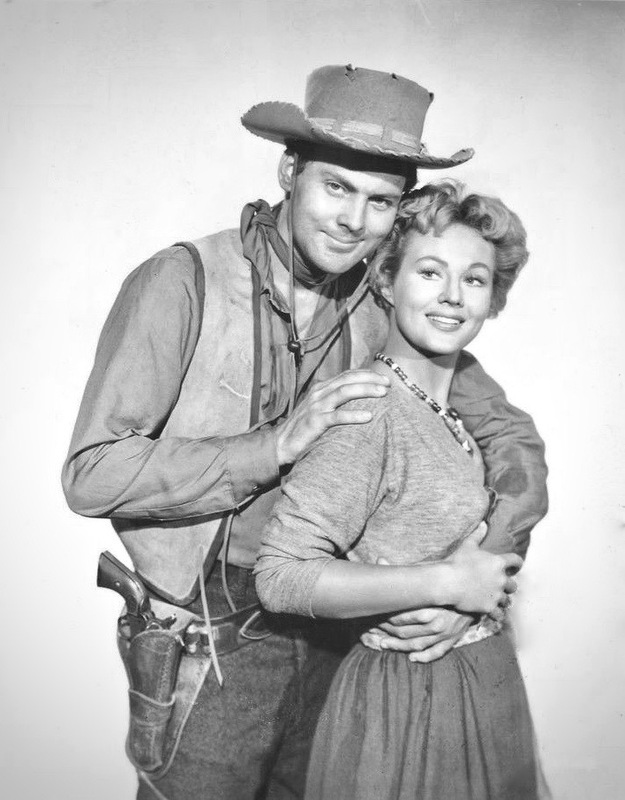 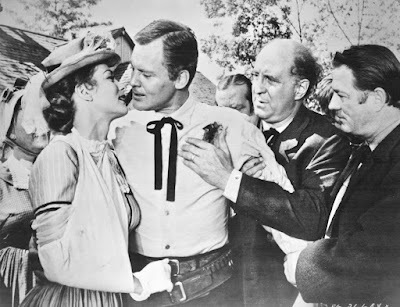 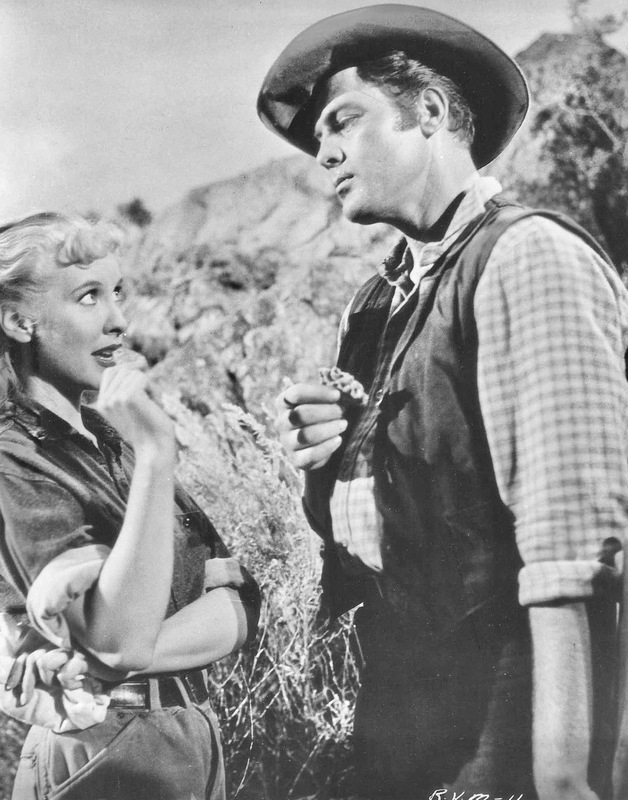 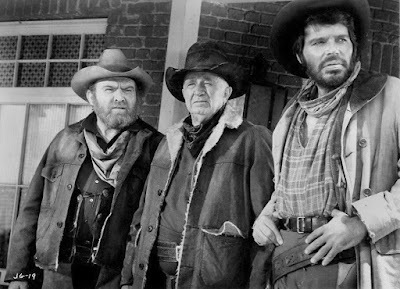 *Gene Evans in "Cattle Queen of Montana"  with Ronald Reagan (middle photo), and "The Hangman"  with Robert Taylor (below). 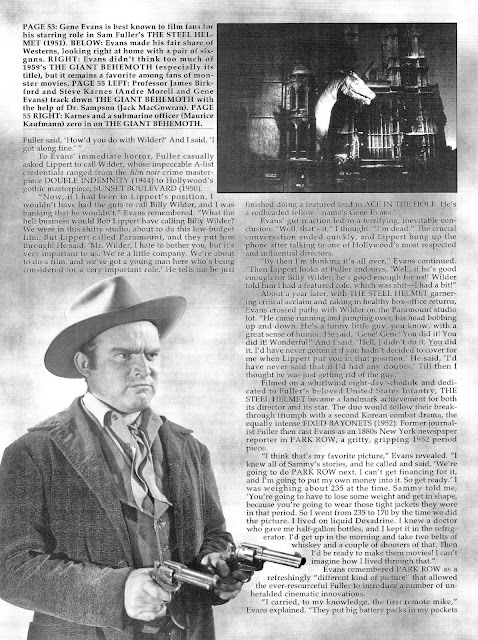 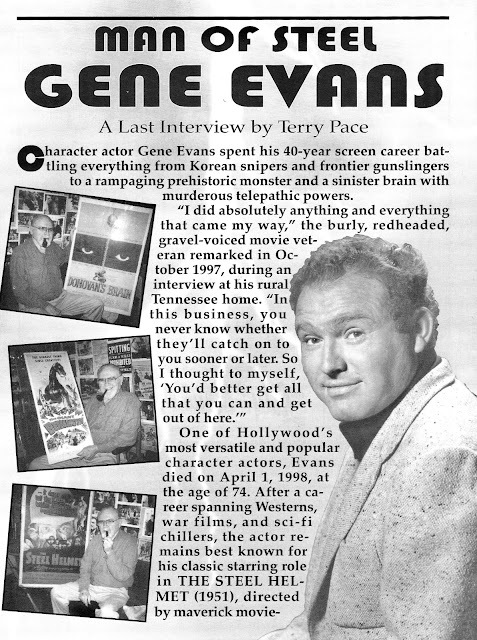 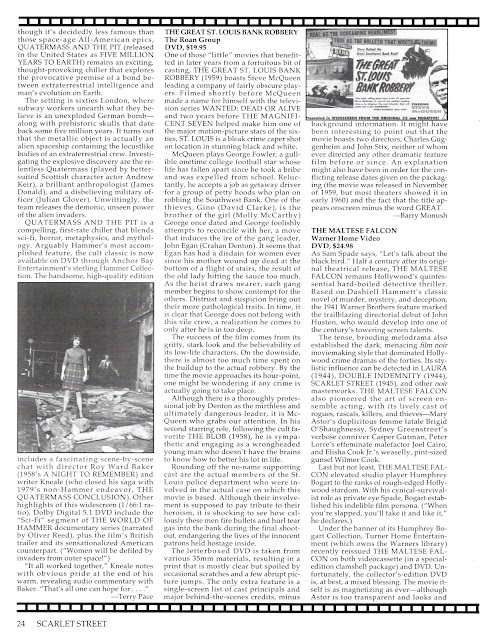 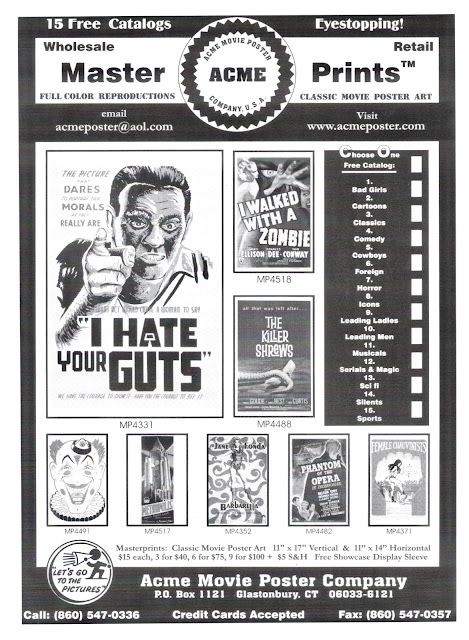 *Gene Evans in "Hell and High Water"  above, and "Park Row"  with Mary Welch below. 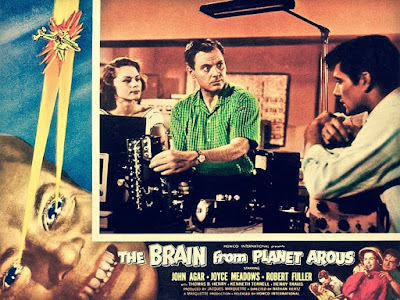 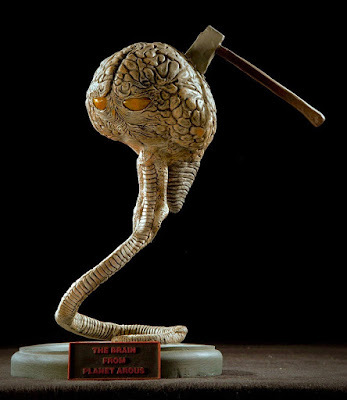 *To this day "The Brain From Planet Arous"  inspires creative artists. 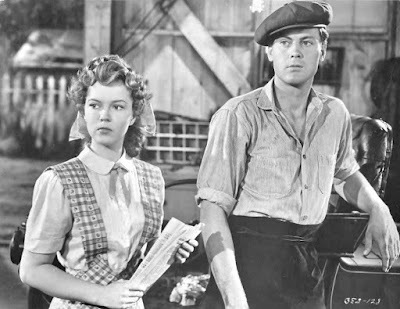 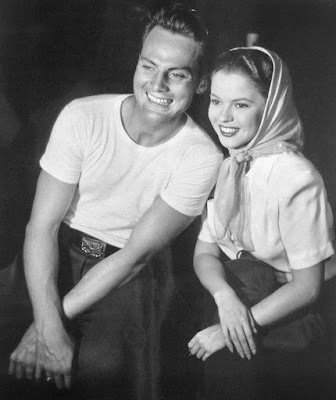 *John Agar with first leading lady (and first wife) Shirley Temple, together in "Adventure in Baltimore"  shown in the two middle photos. 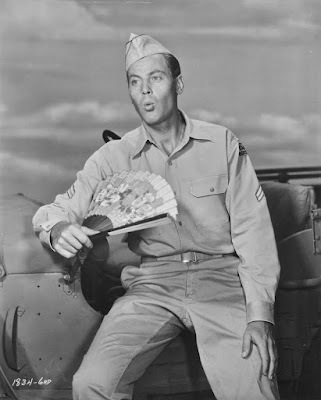 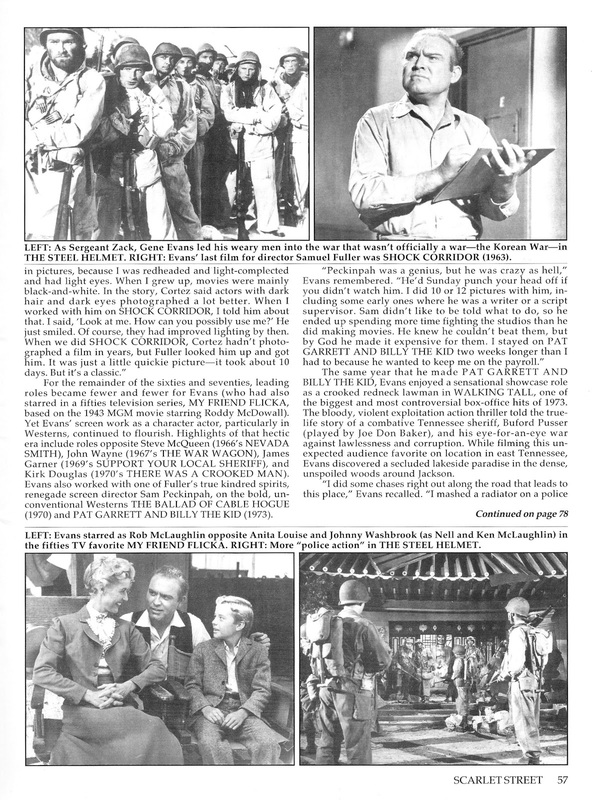 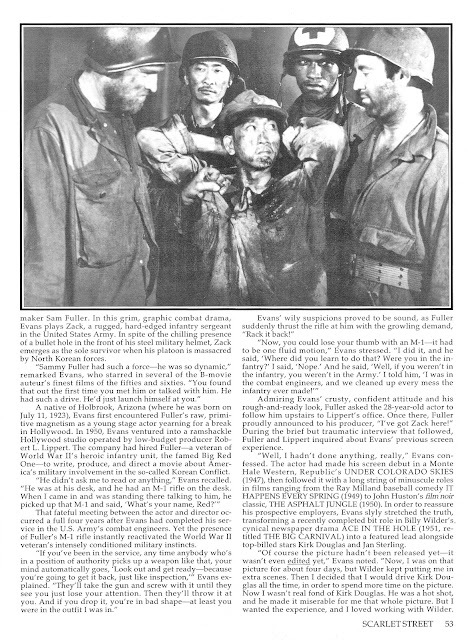 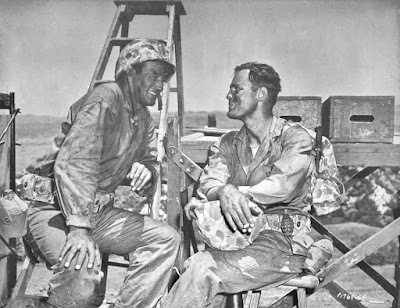 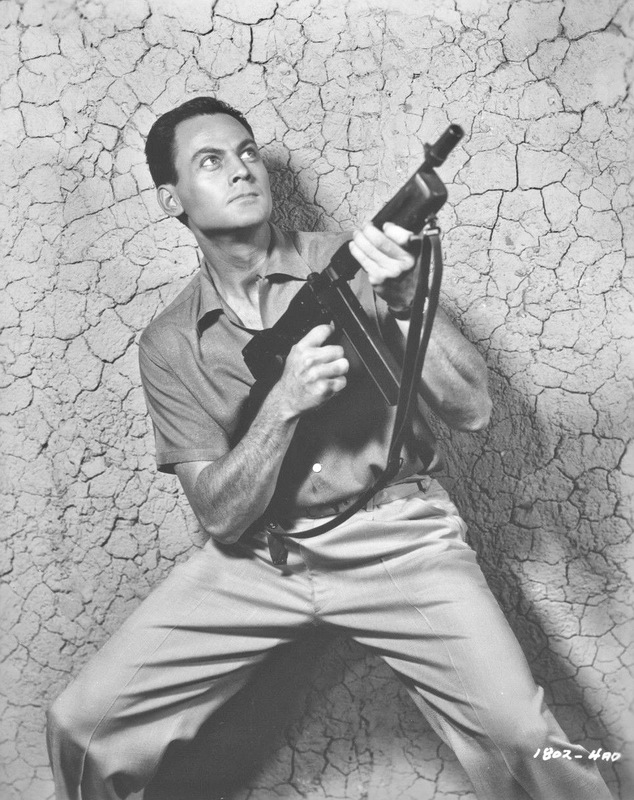 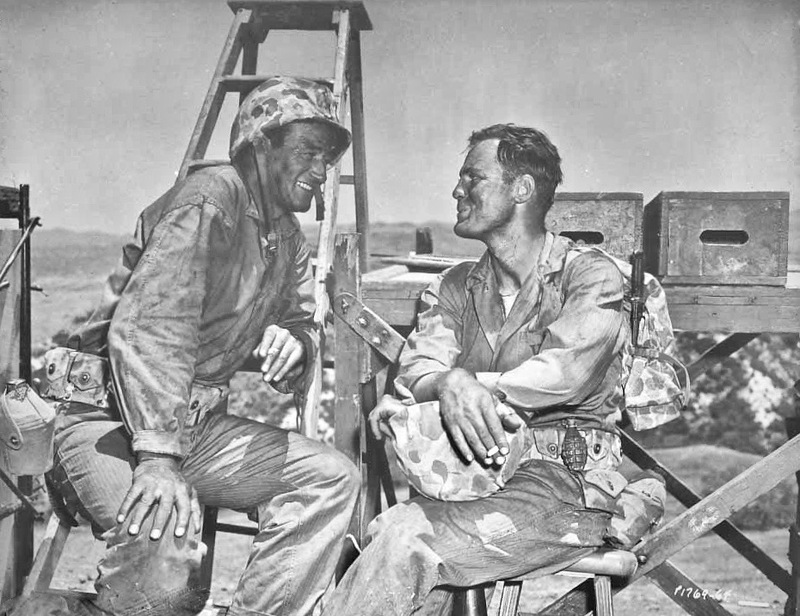 *John Agar in "Joe Butterfly"  top photo and with John Wayne and Adele Mara in "Sands of Iwo Jima"  bottom three photos. 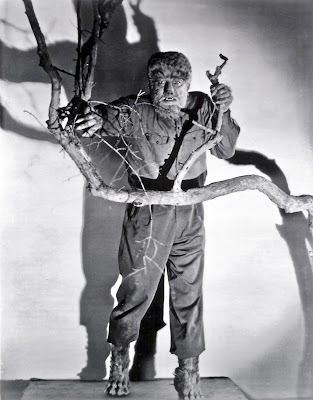 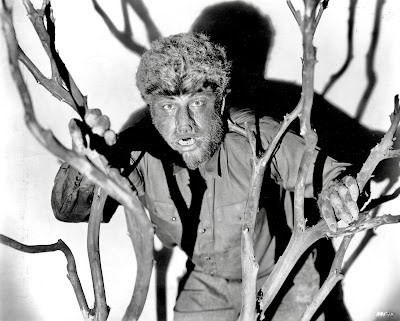 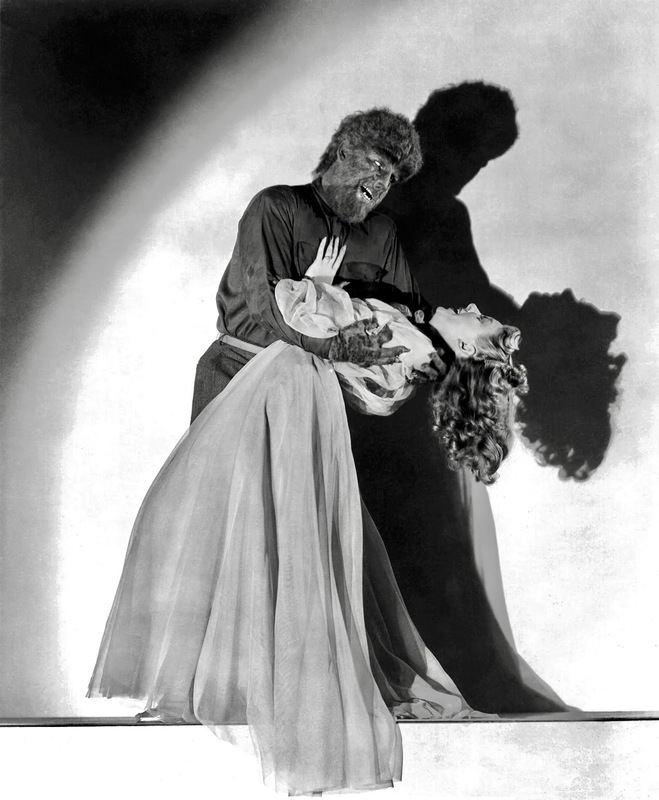 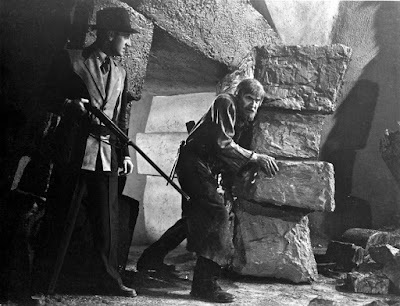 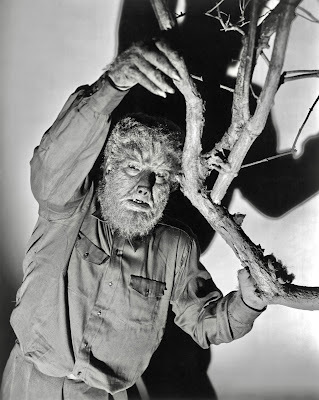 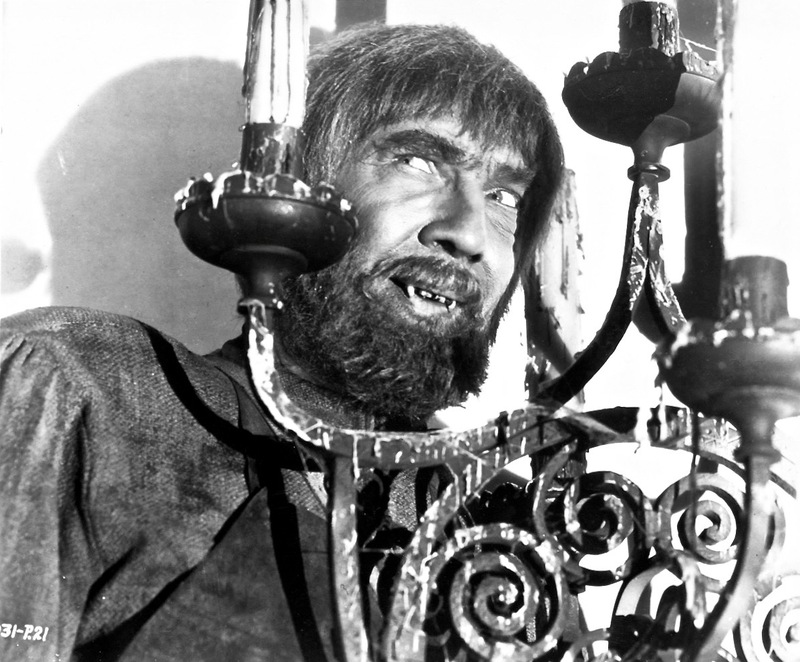 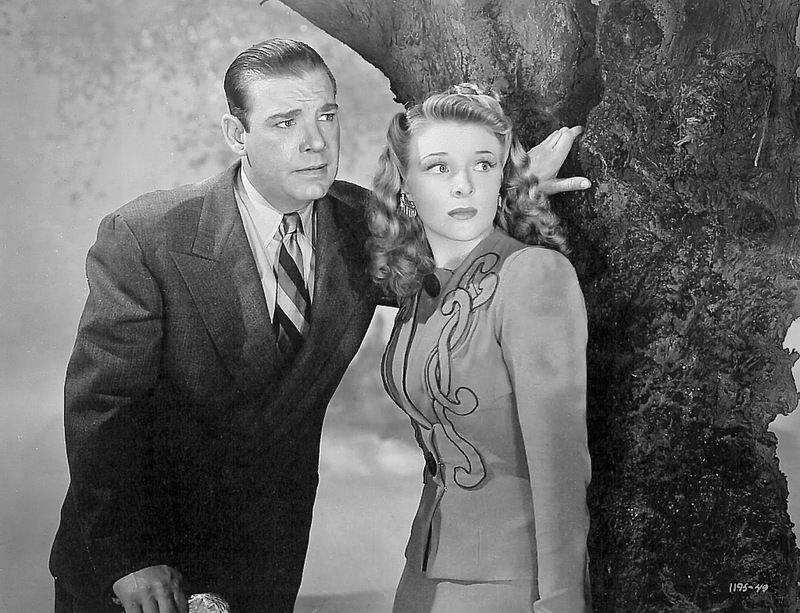 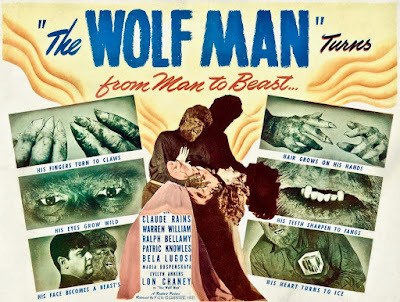 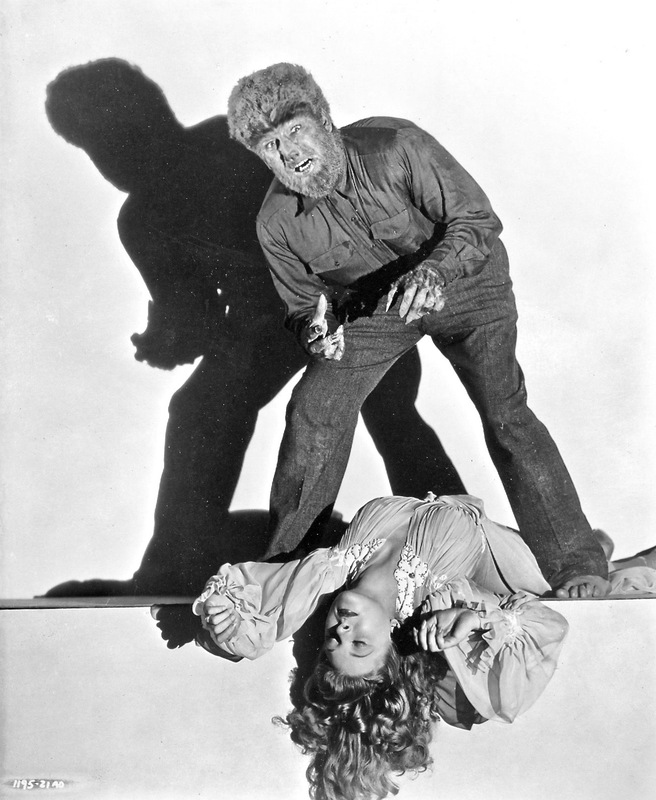 *Whether Curt Siodmak was happy or not about it, "Frankenstein Meets The Wolf Man" [shown above - 1943] was all his! 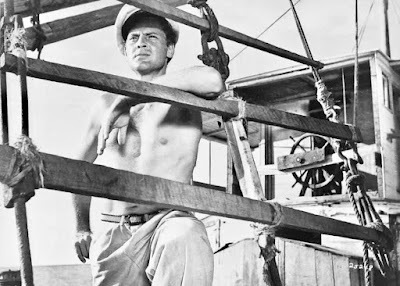 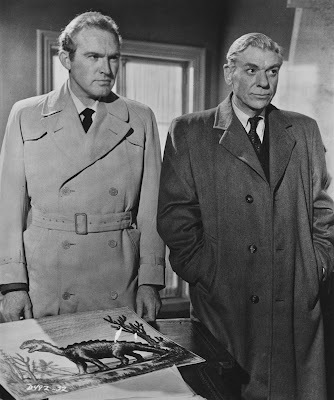 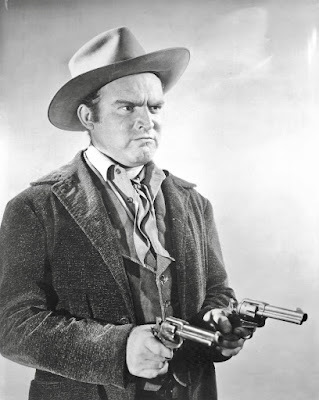 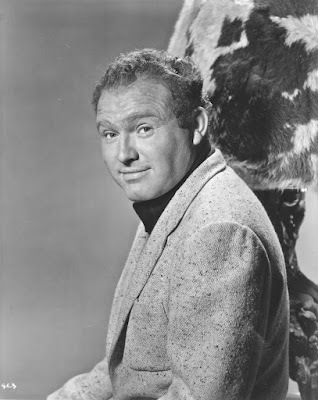 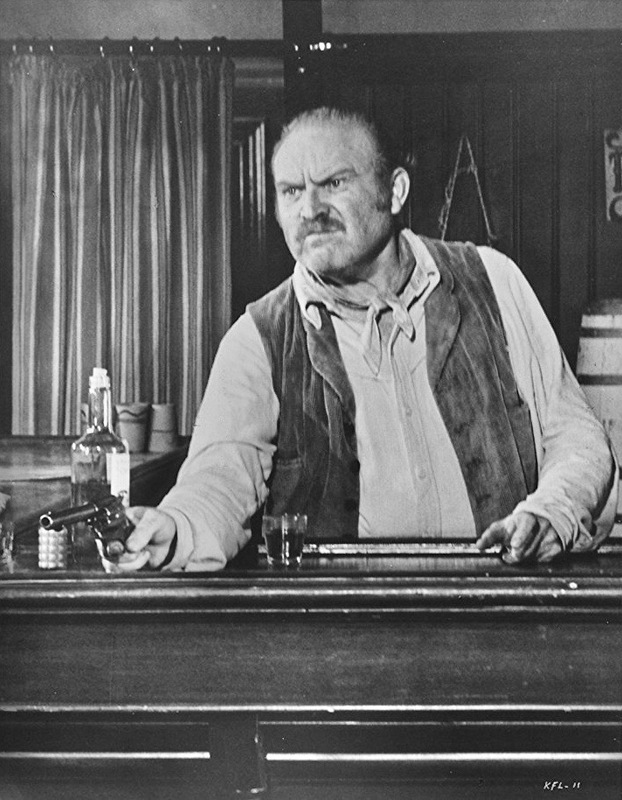 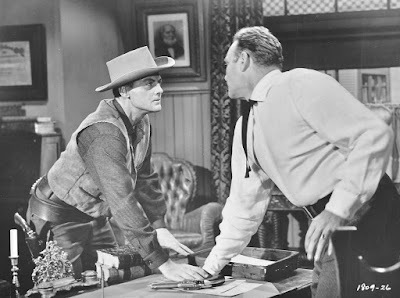 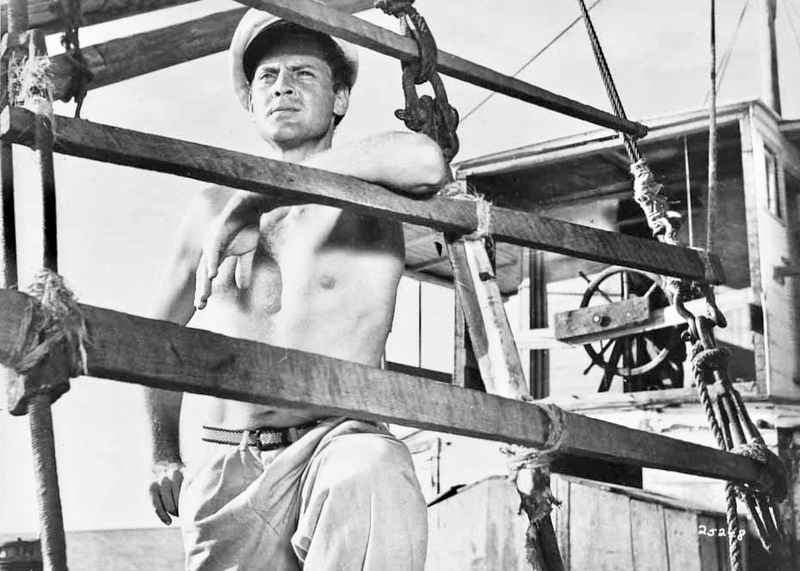 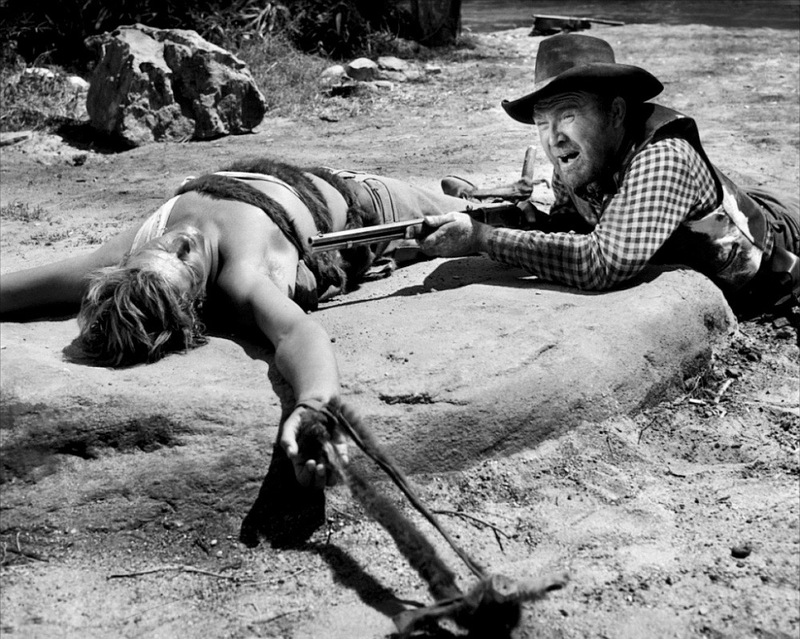 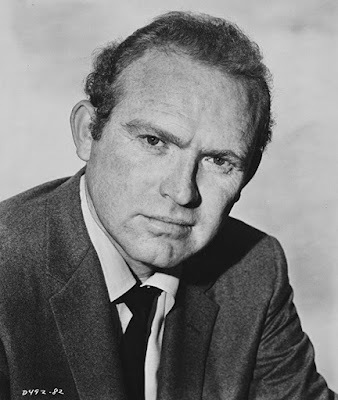 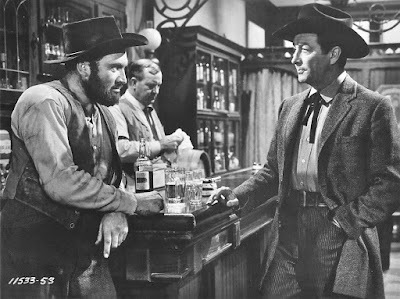 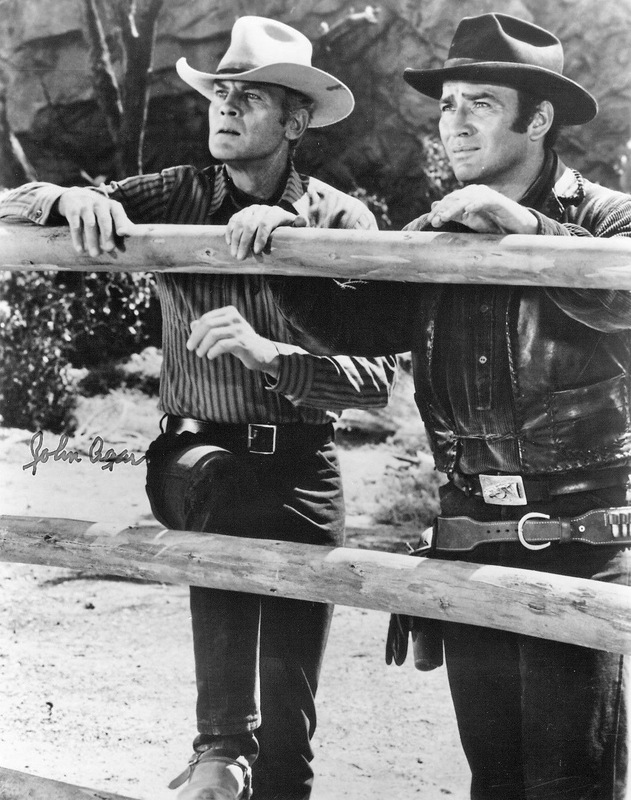 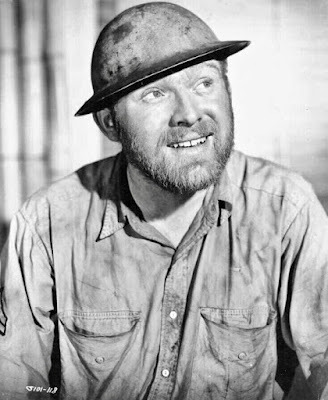 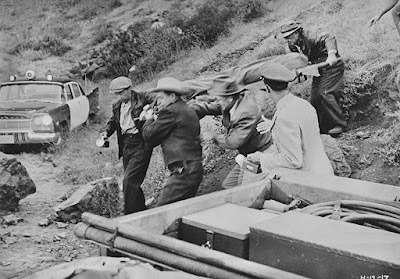 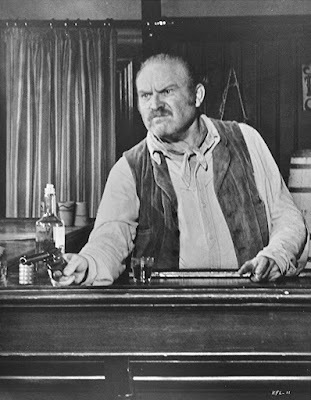 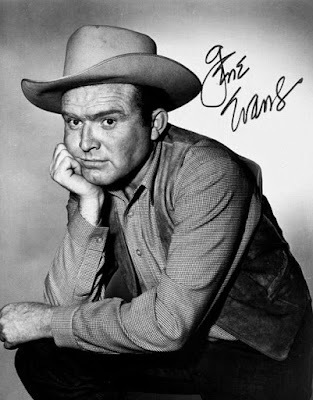 *Gene Evans in "Support Your Local Sheriff"  with Walter Brennan.